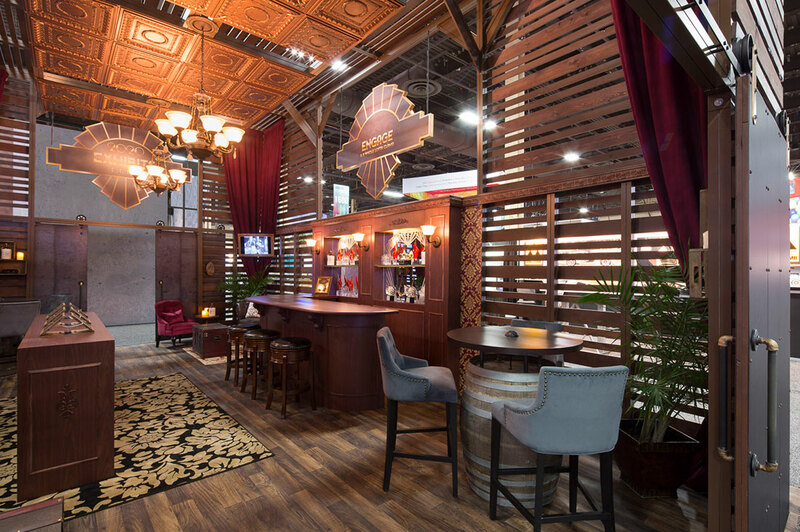 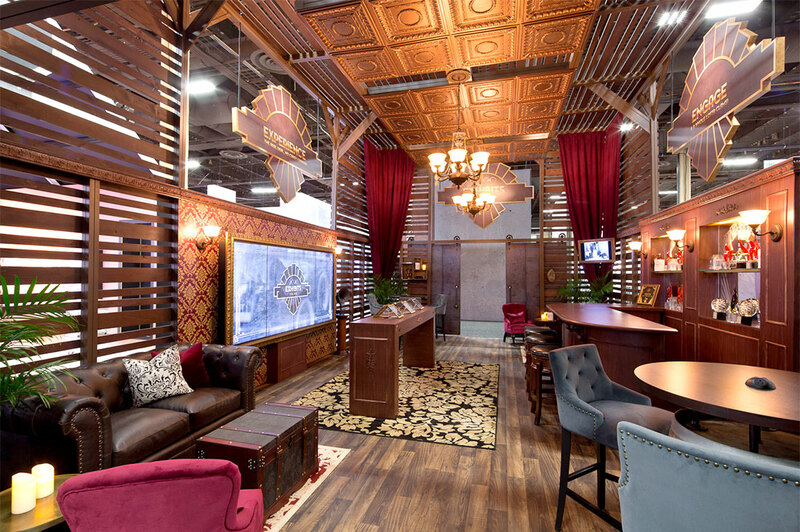 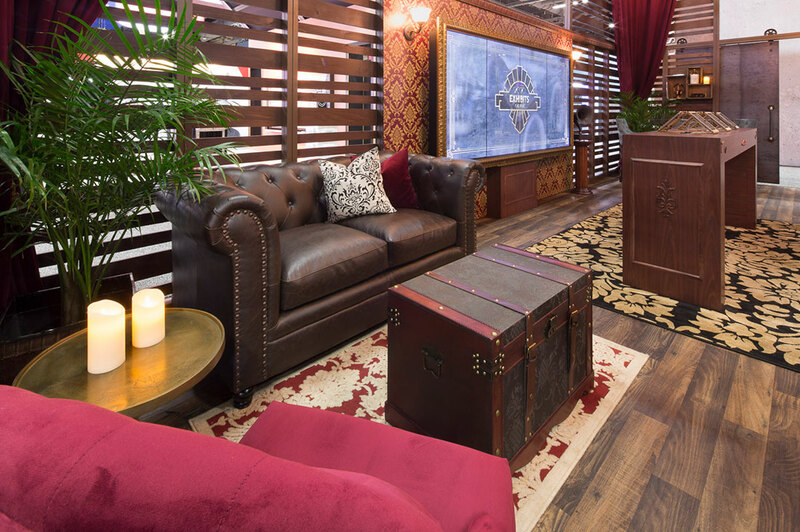 Bold arching structures with unique hanging lights border the island exhibit, inviting guests into the open layout. 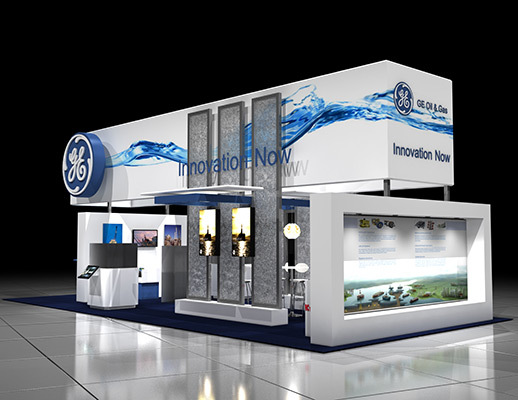 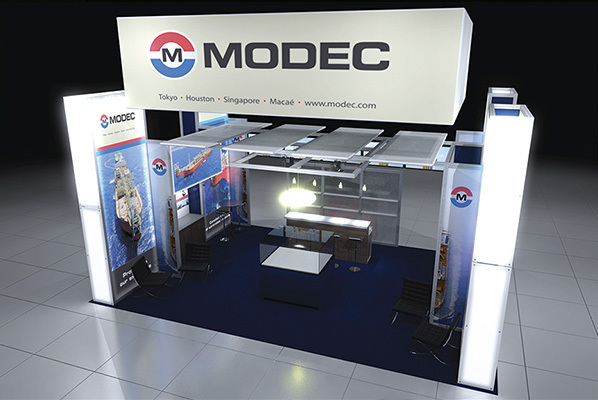 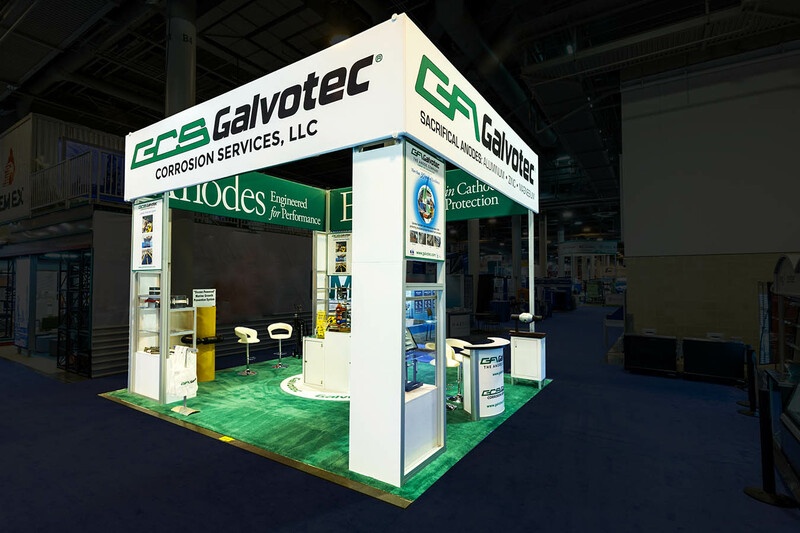 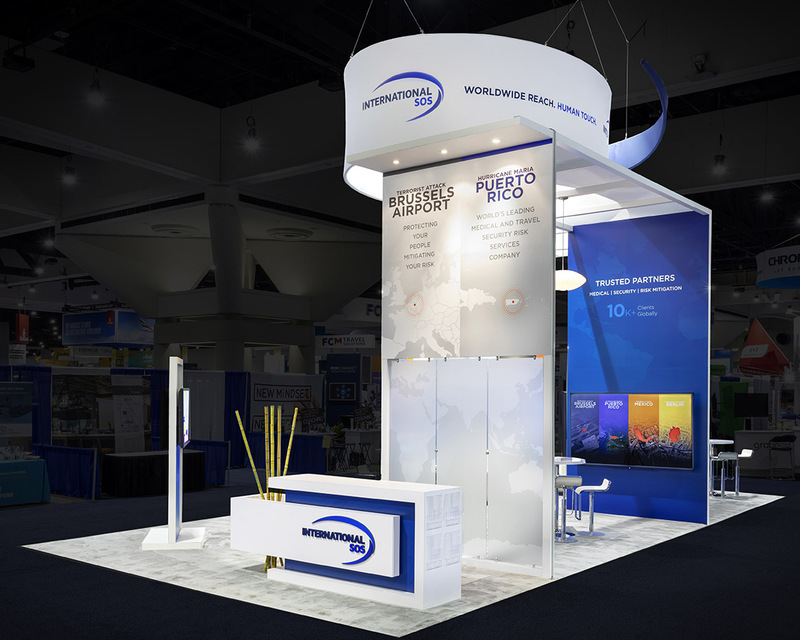 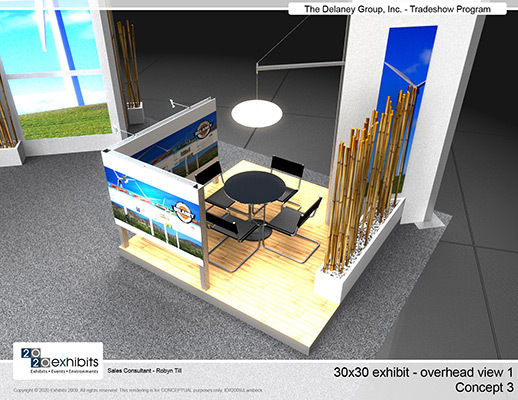 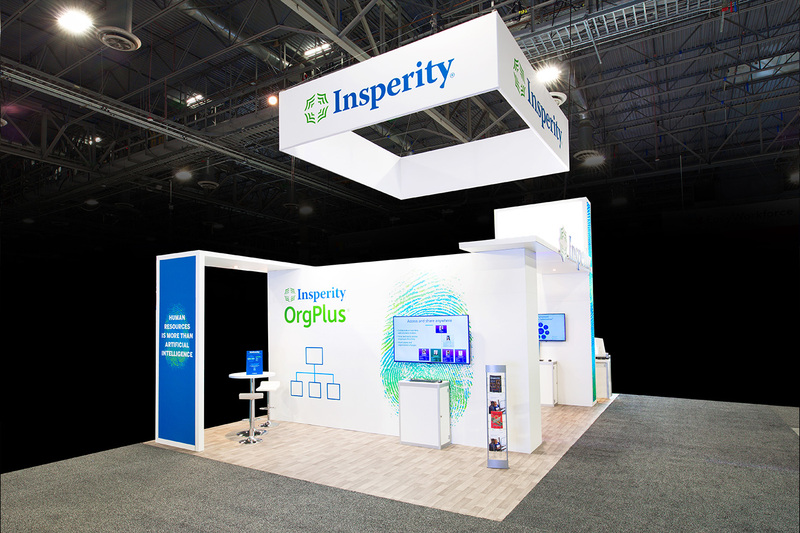 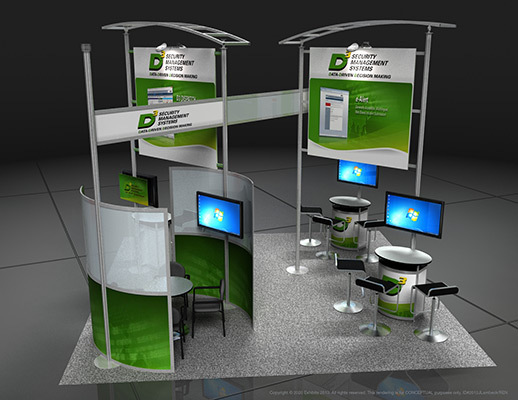 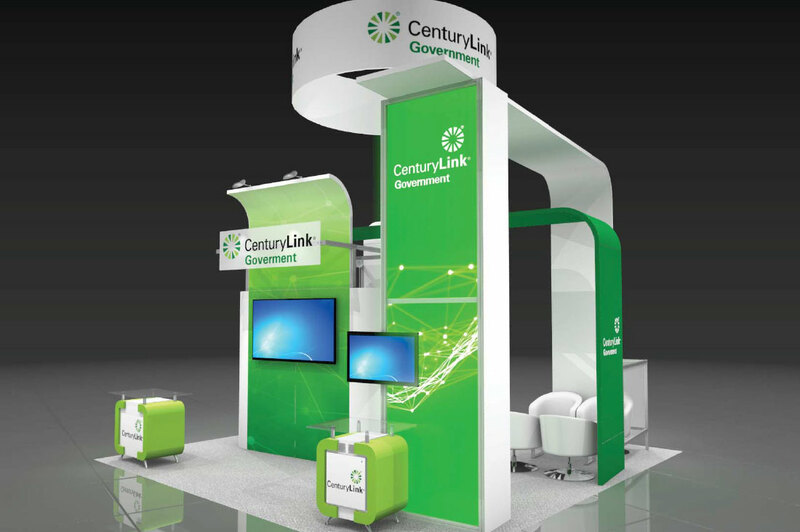 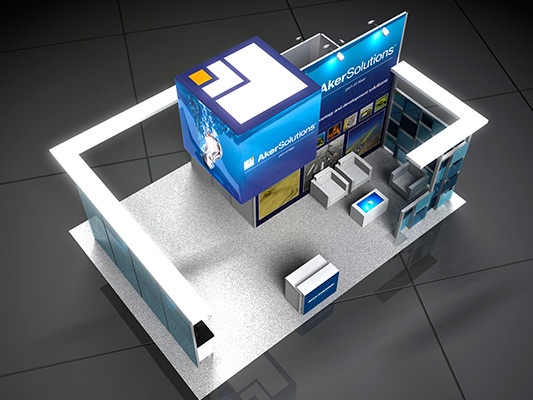 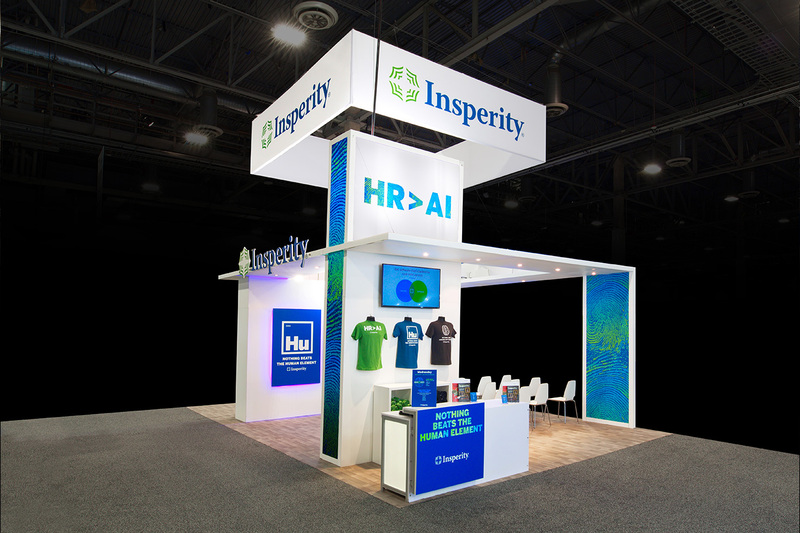 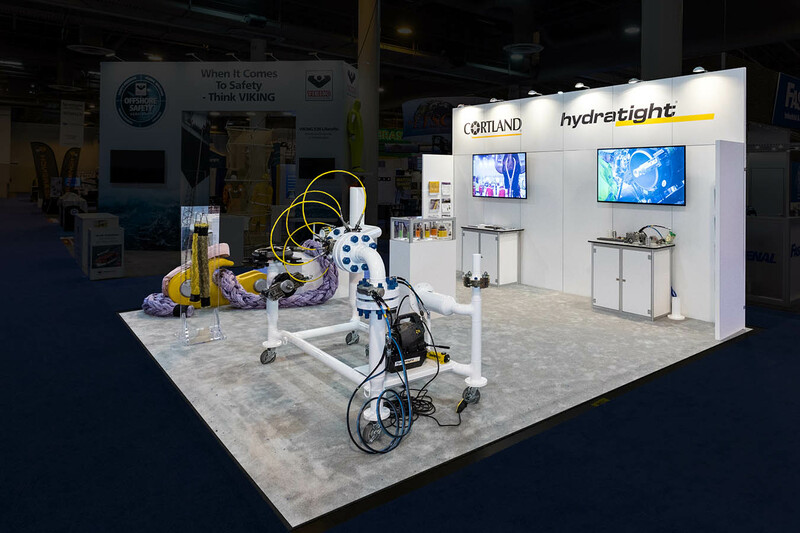 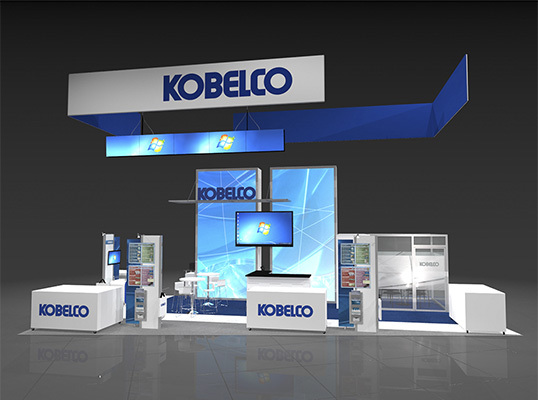 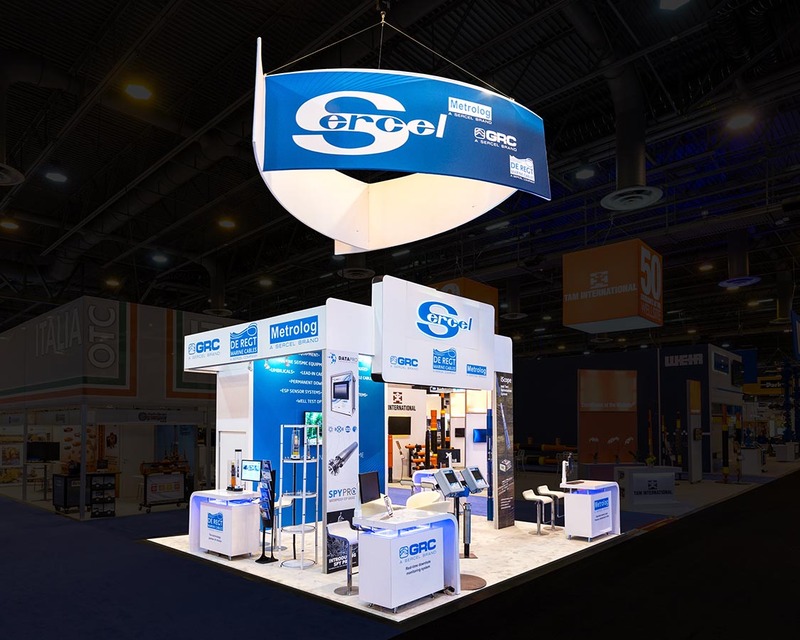 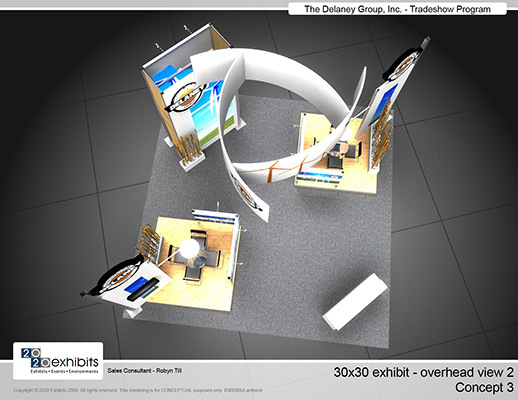 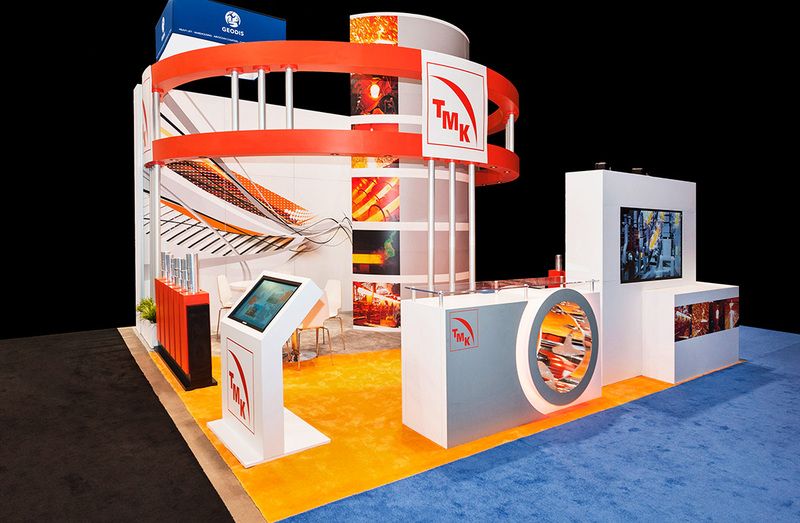 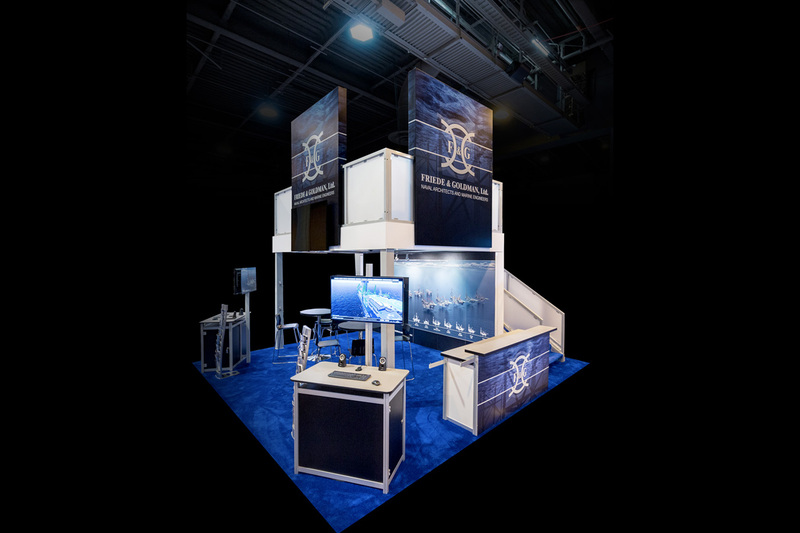 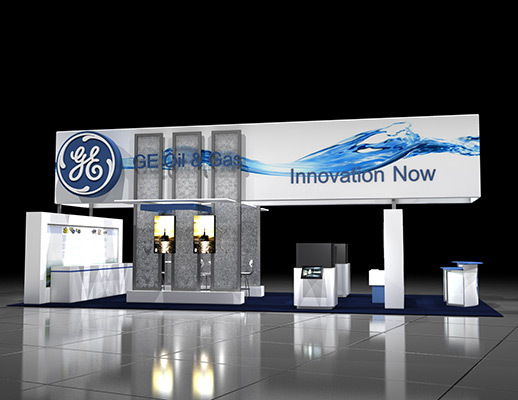 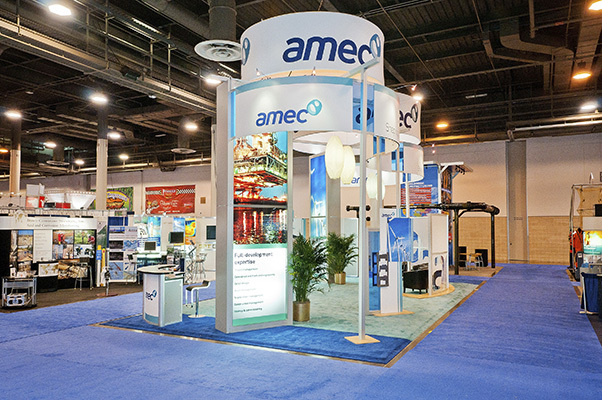 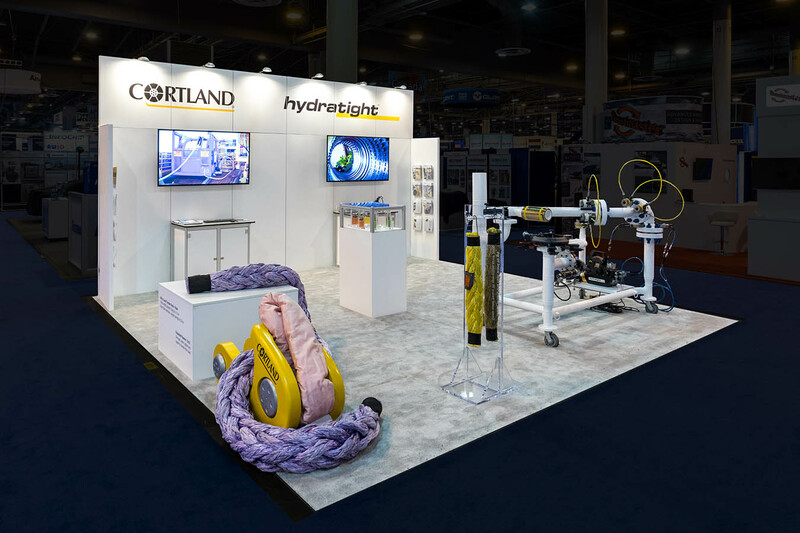 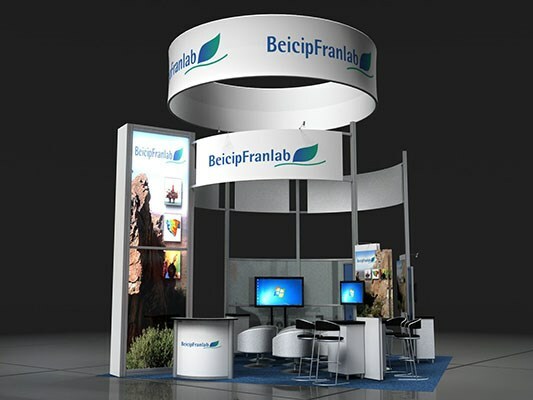 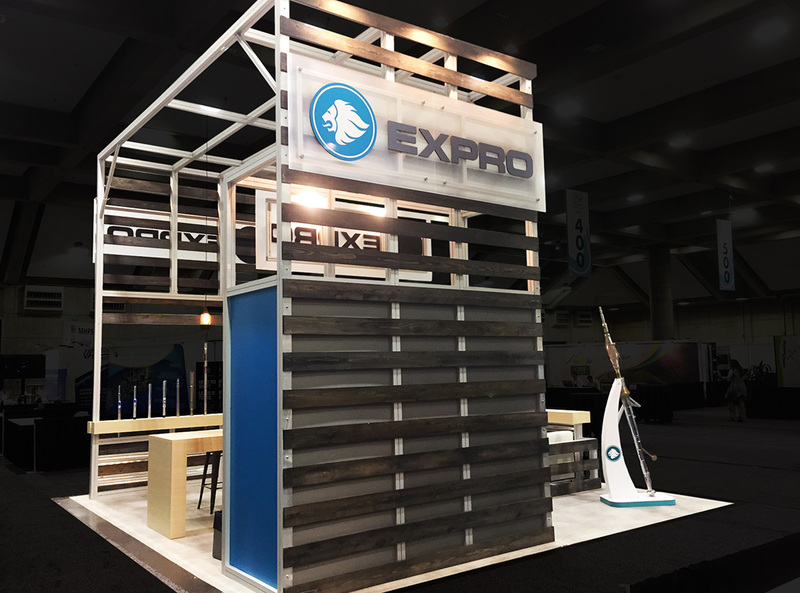 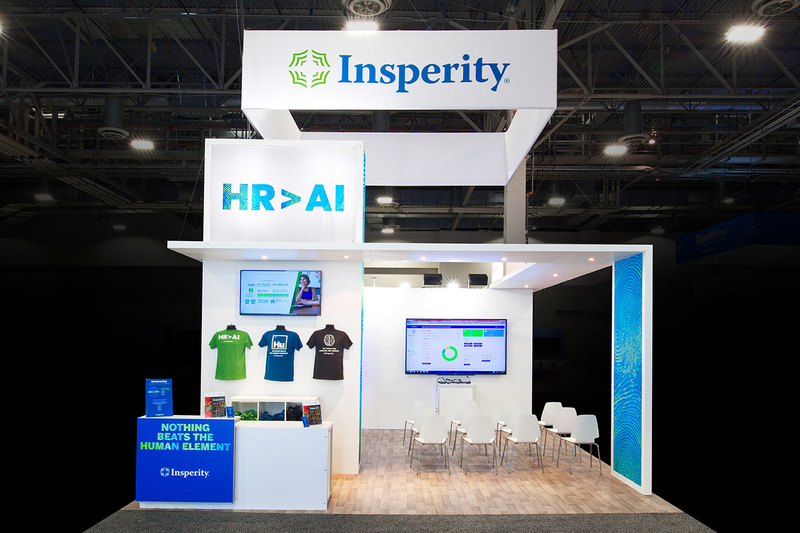 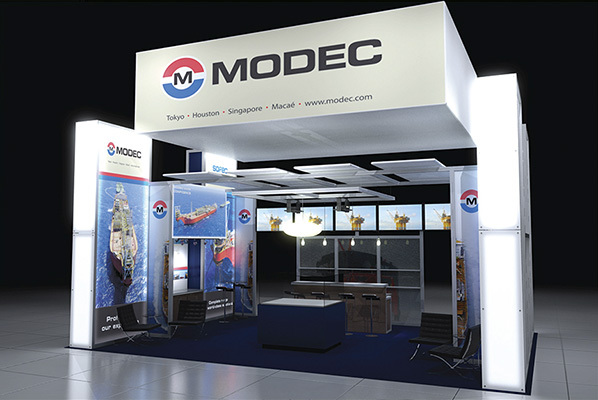 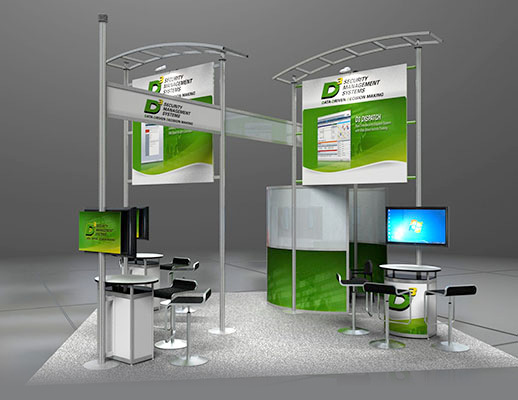 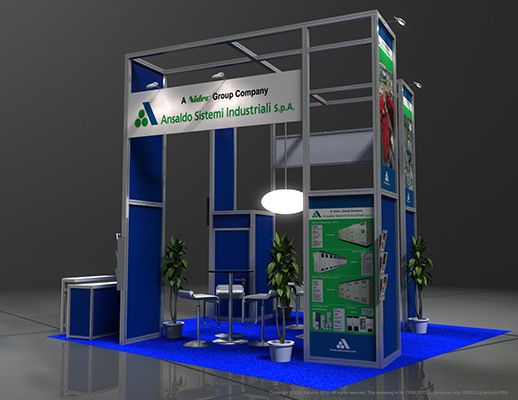 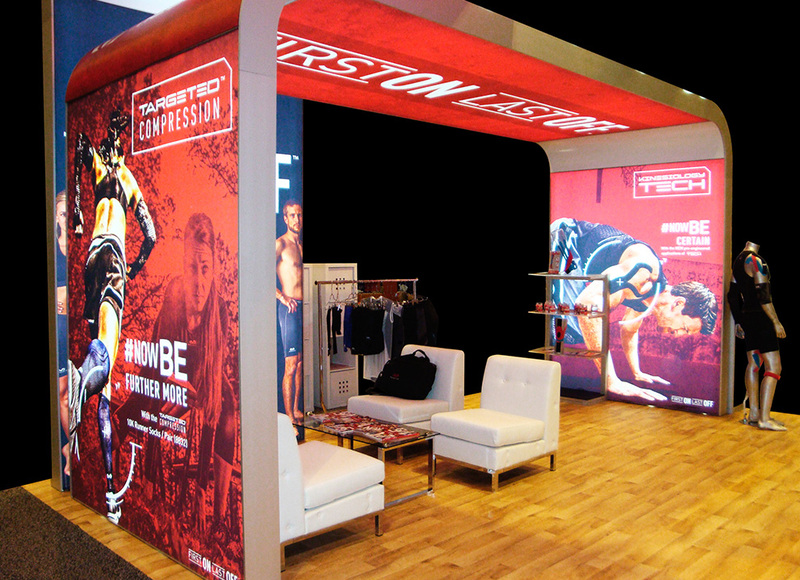 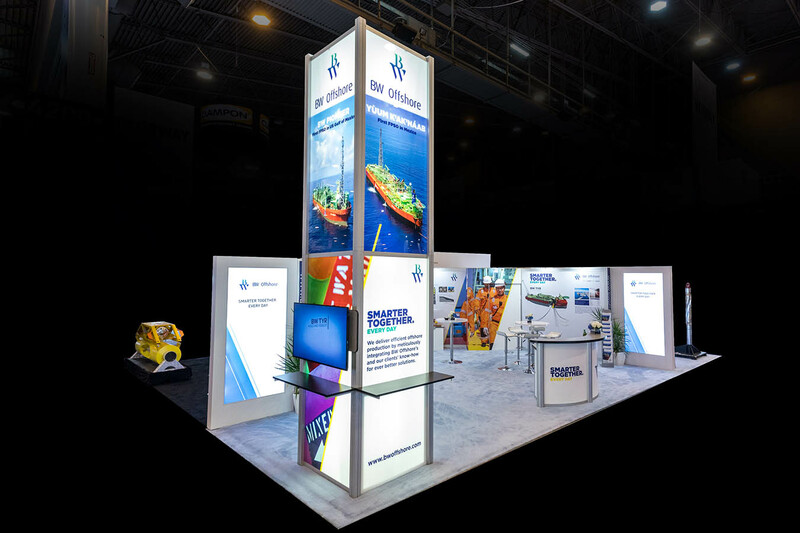 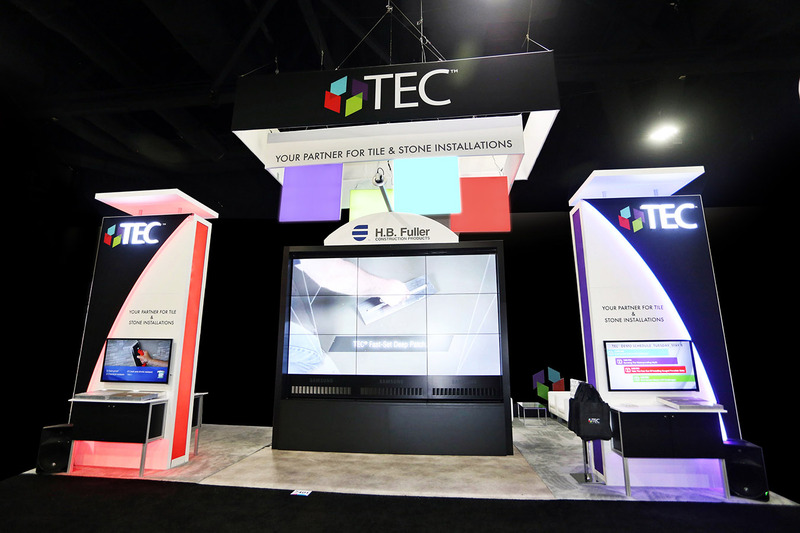 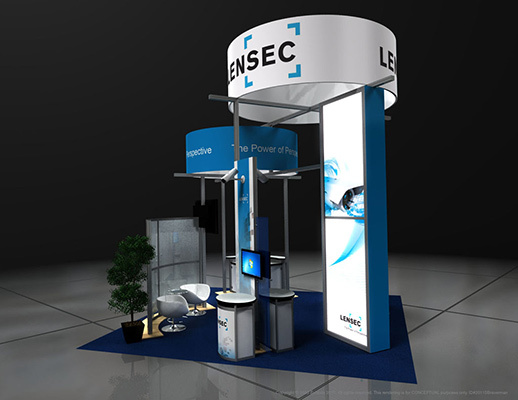 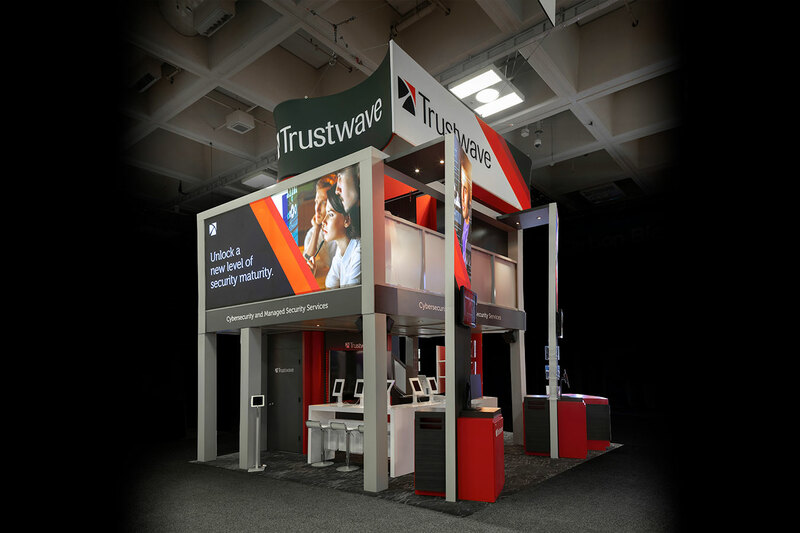 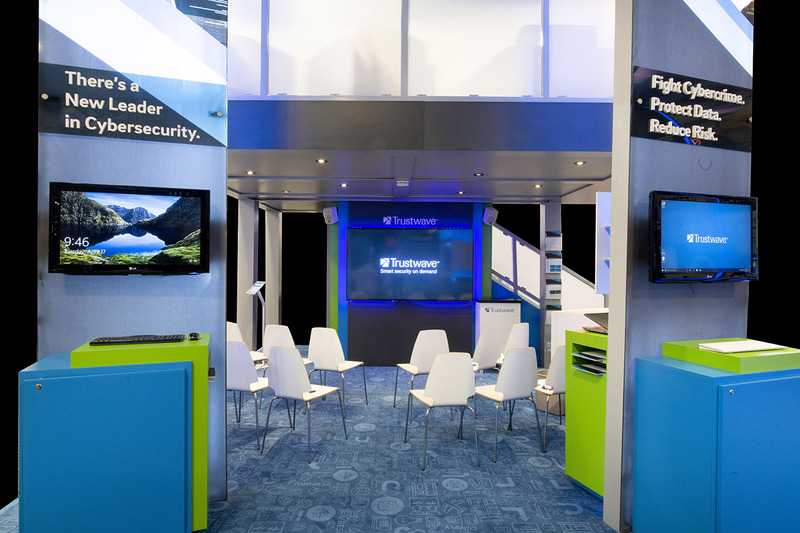 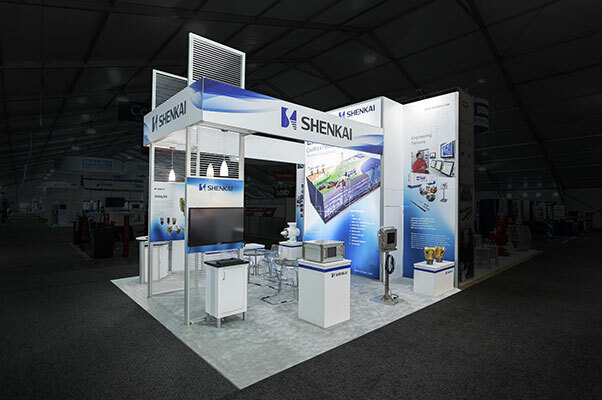 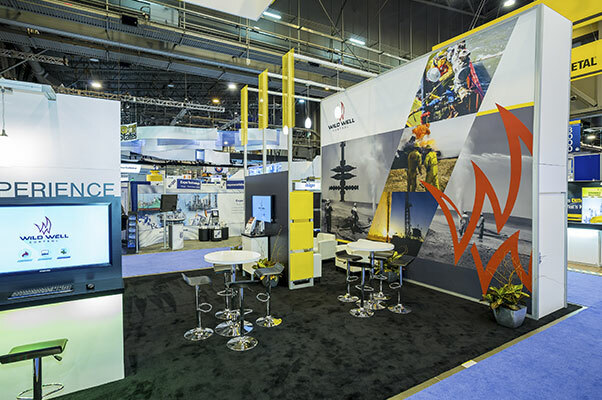 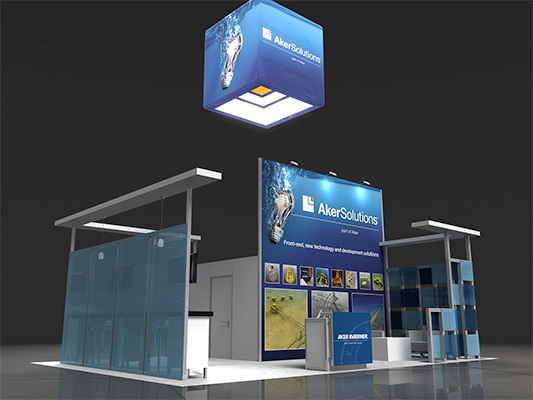 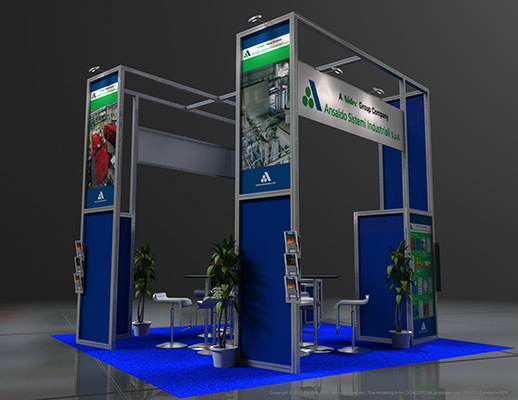 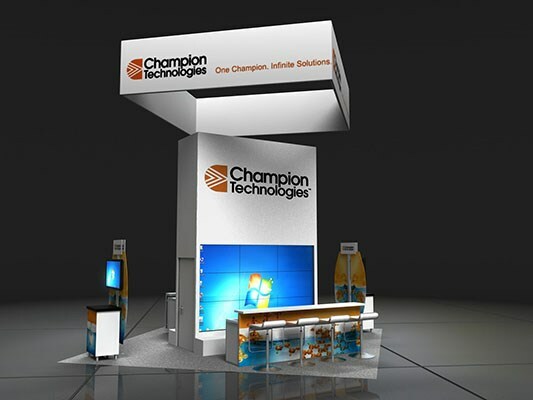 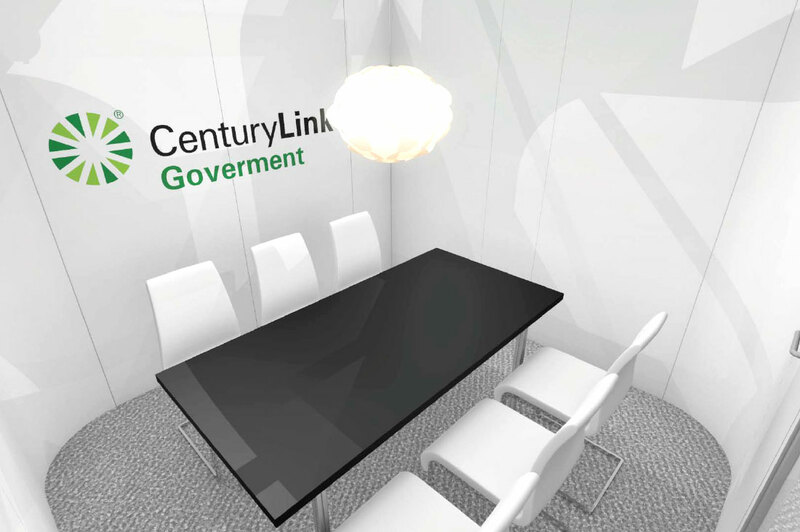 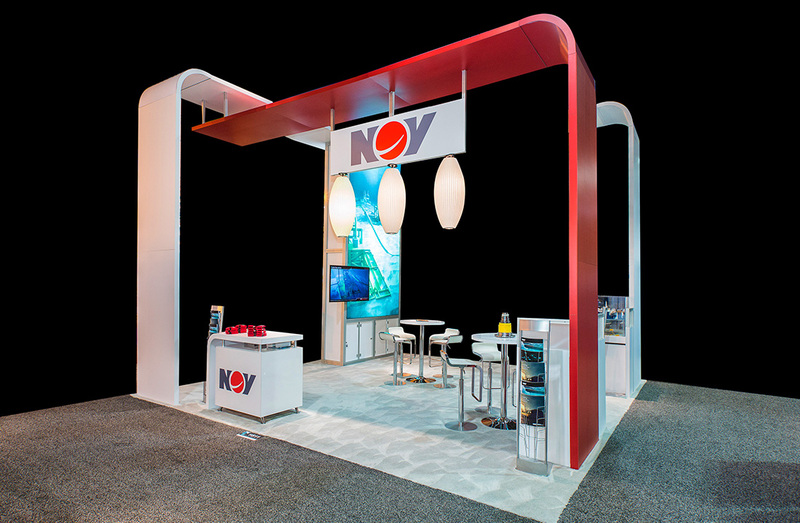 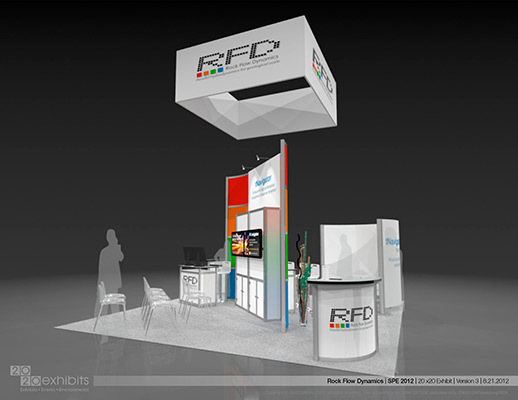 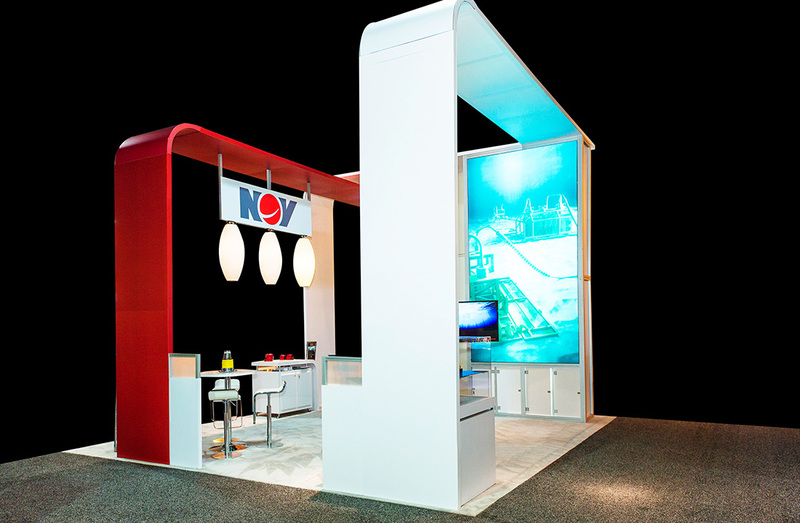 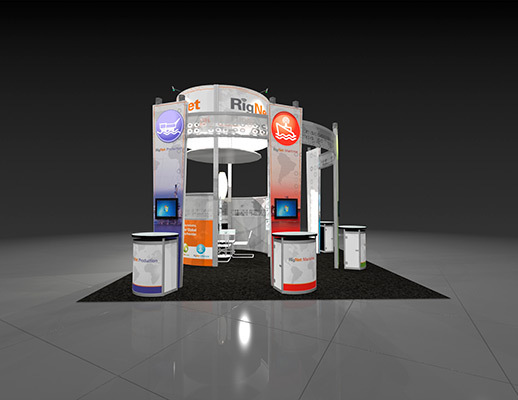 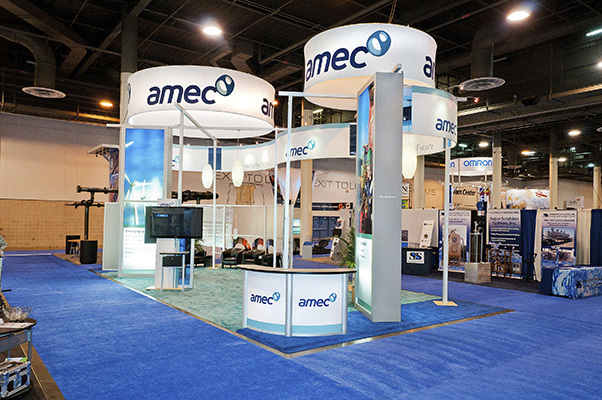 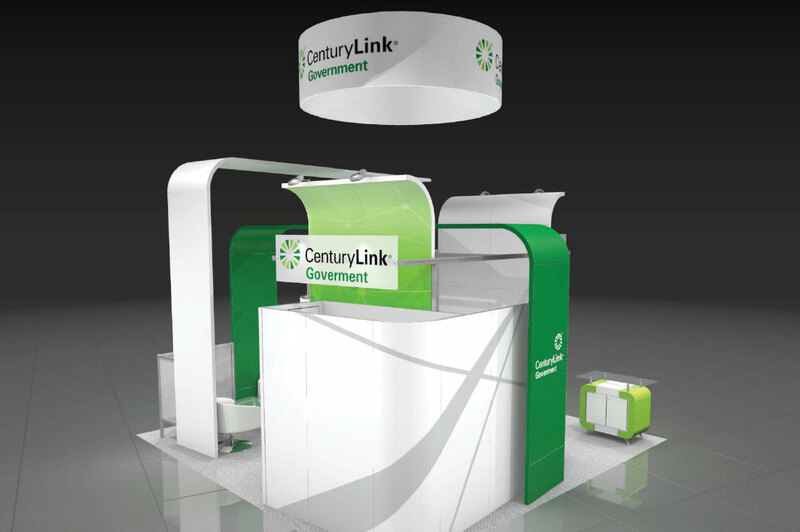 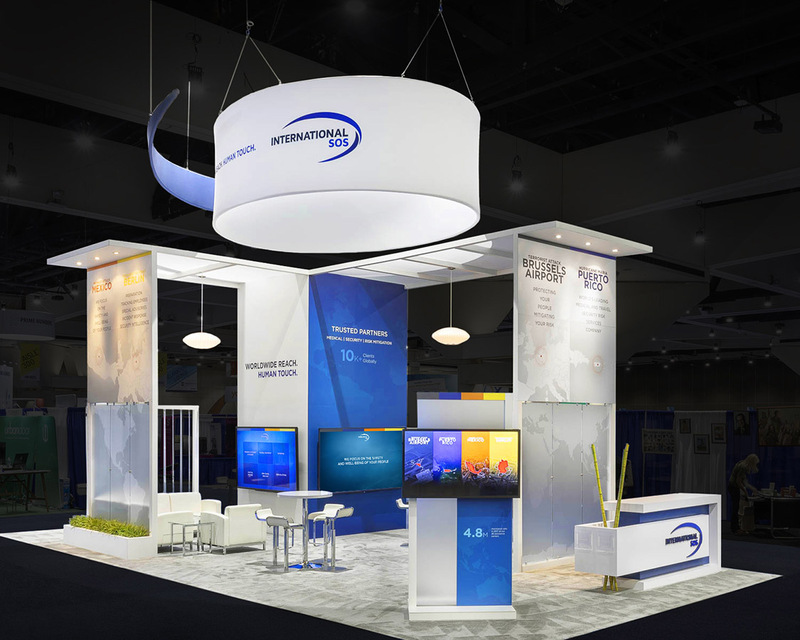 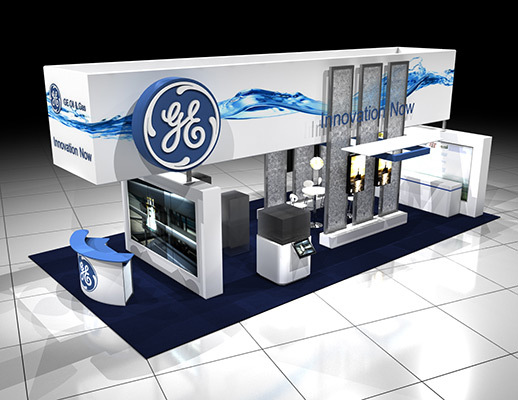 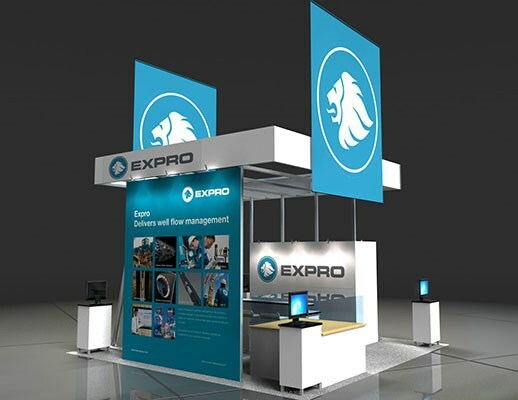 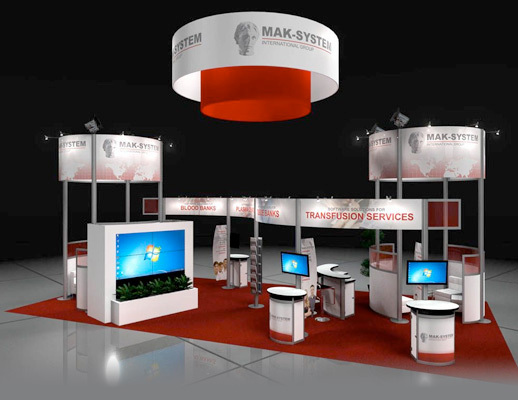 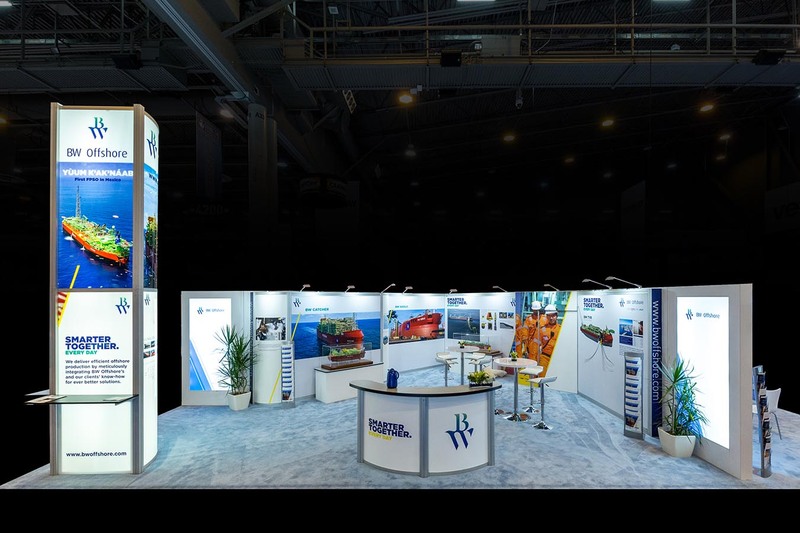 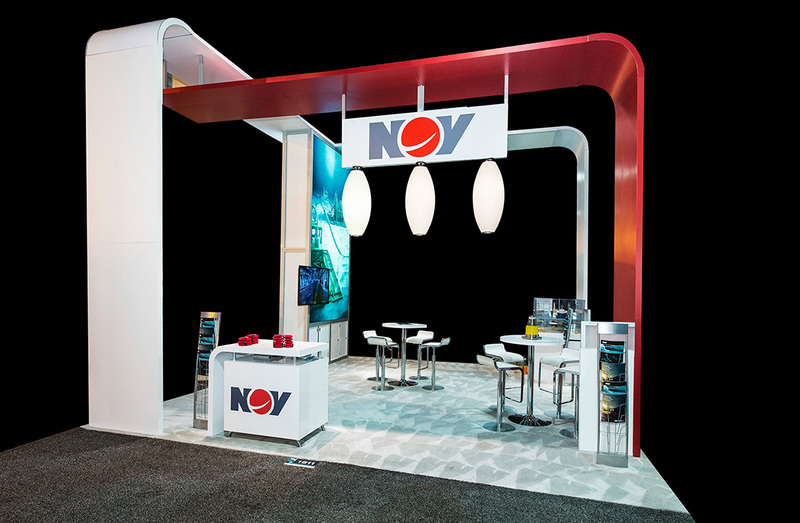 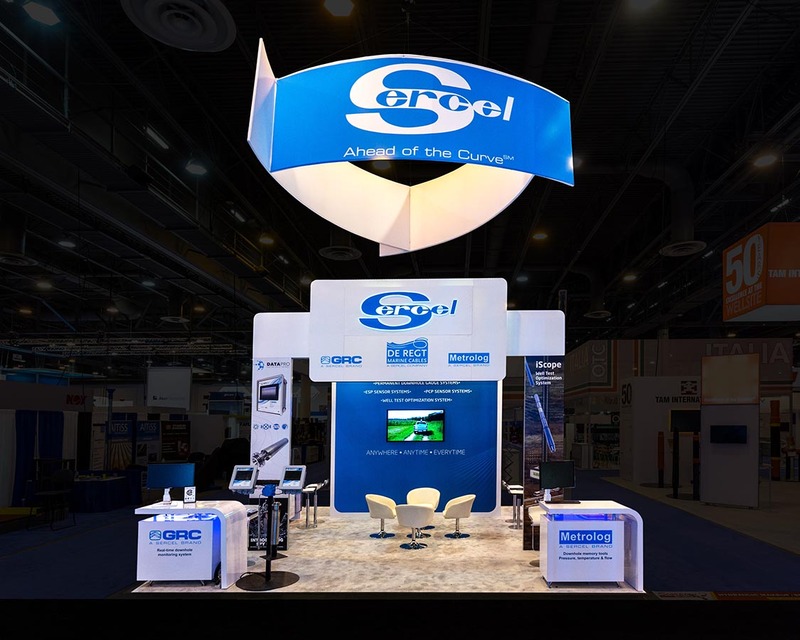 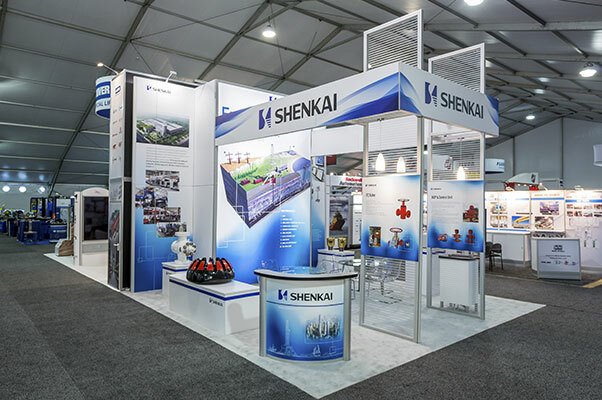 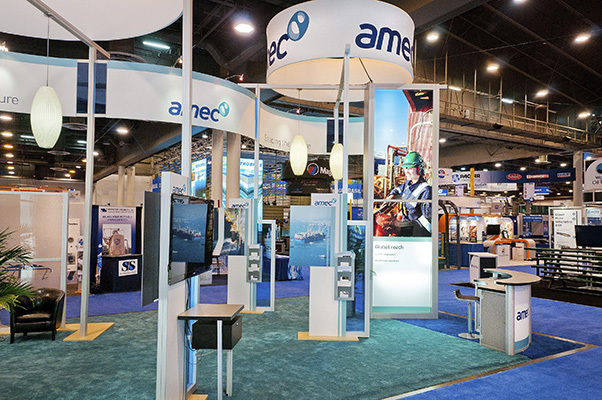 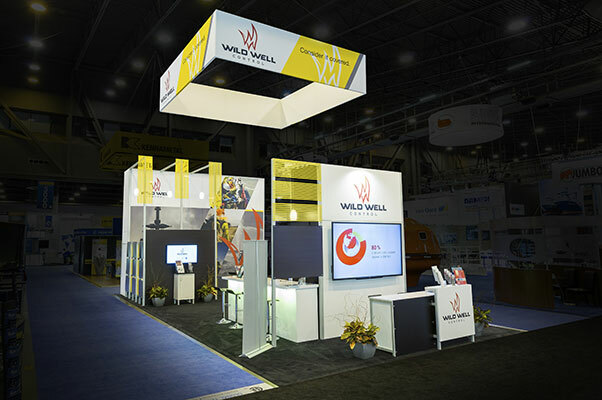 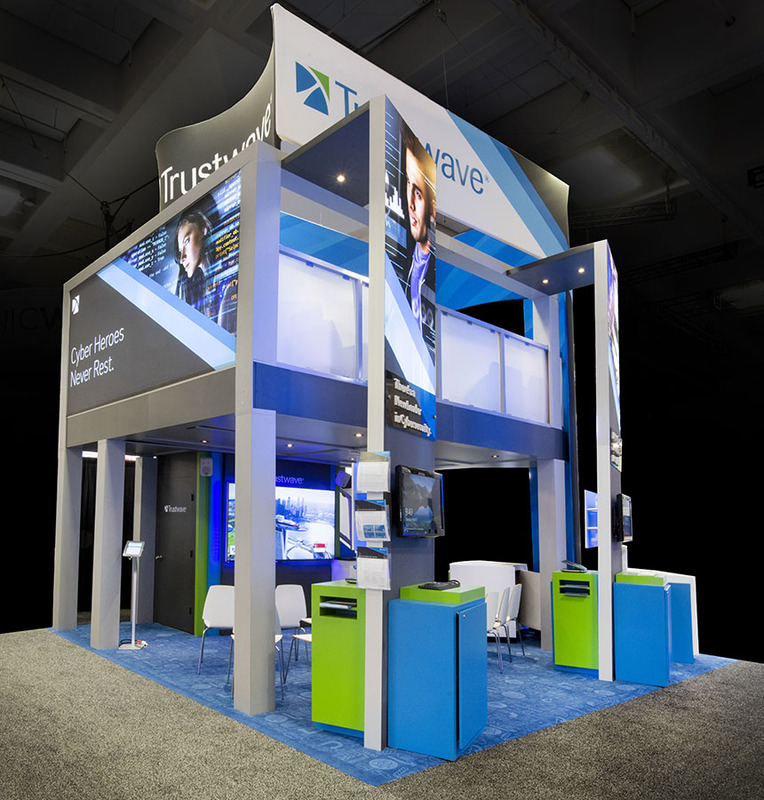 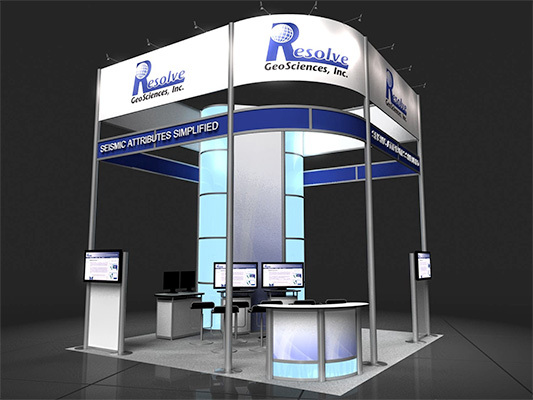 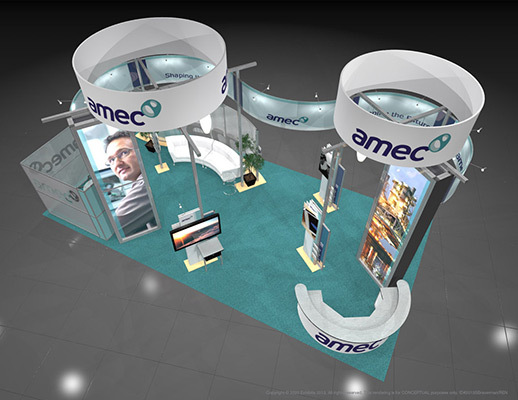 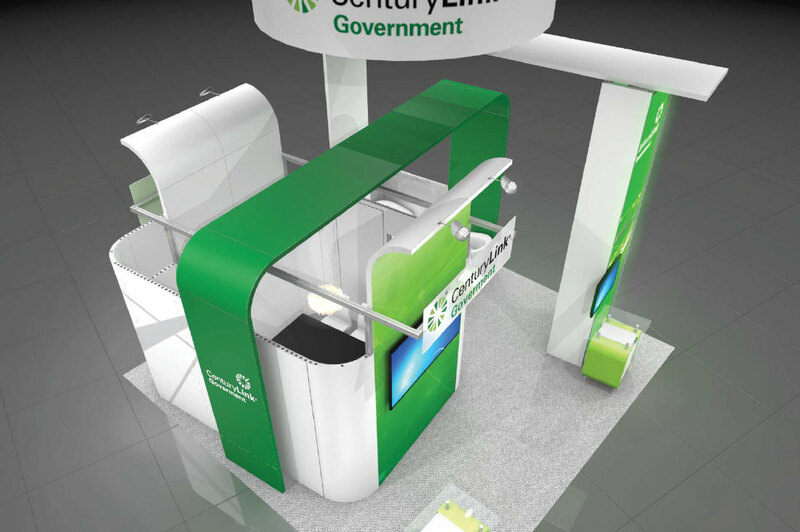 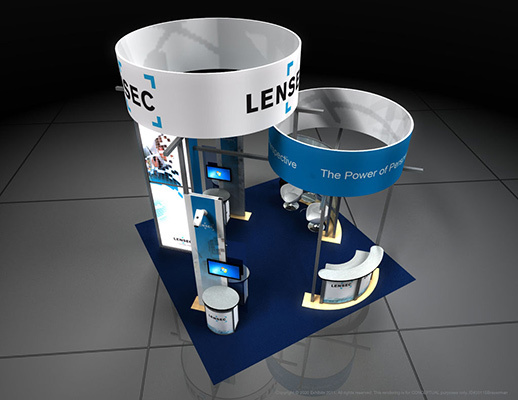 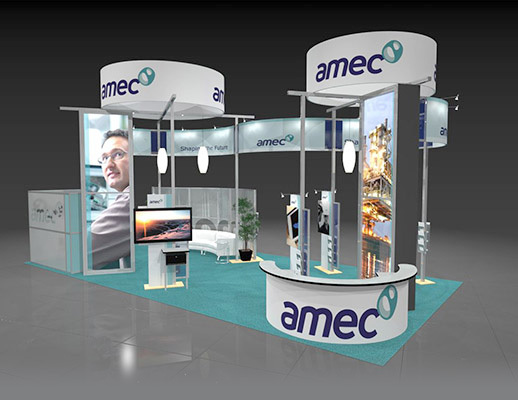 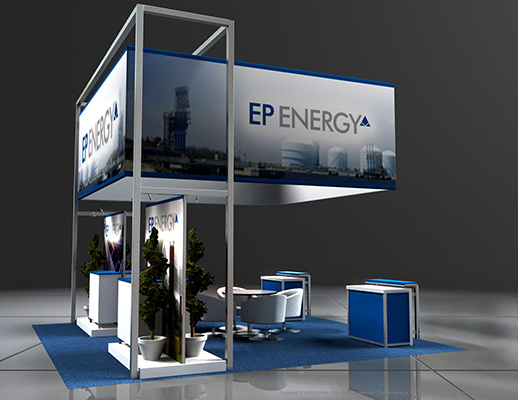 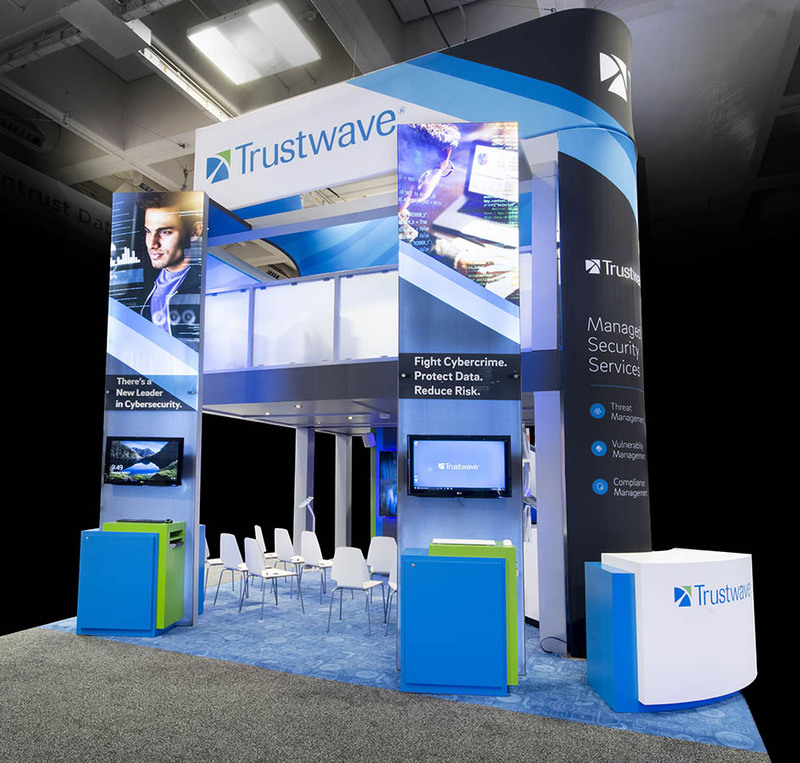 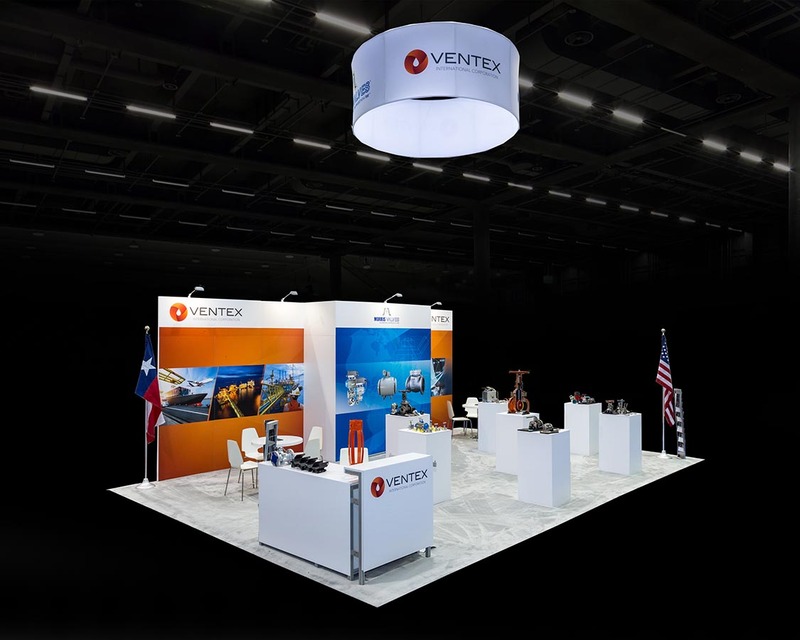 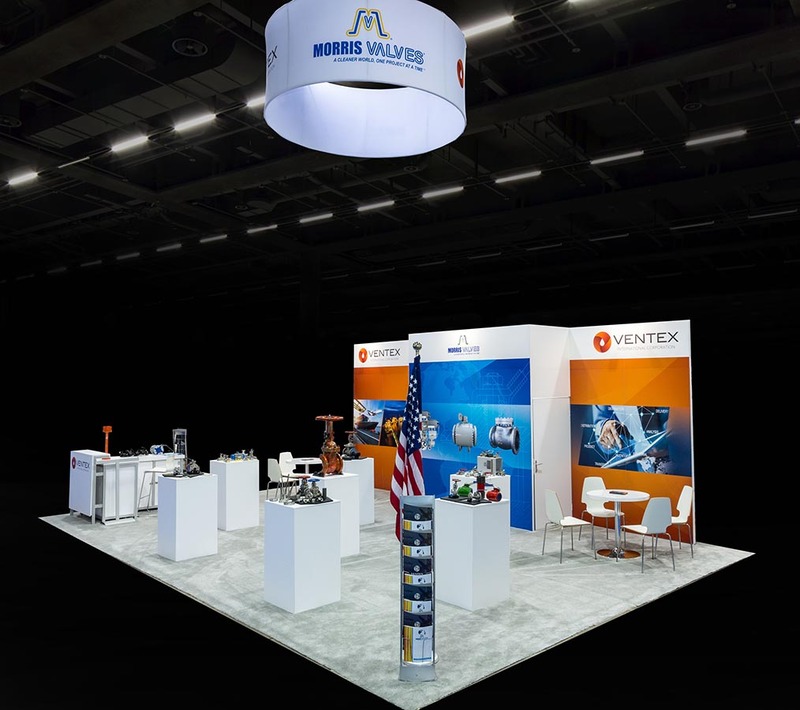 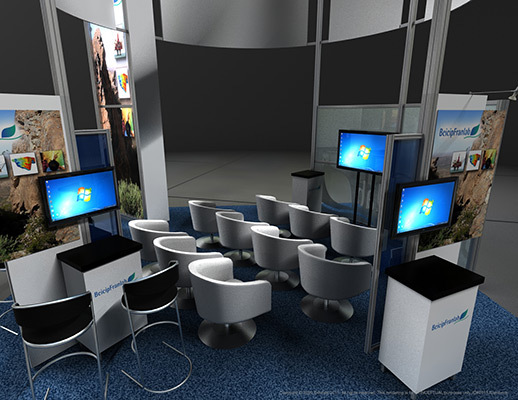 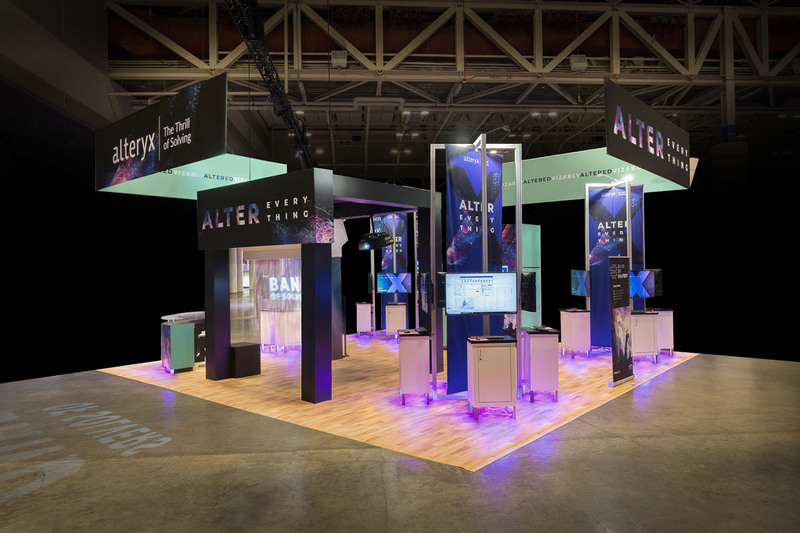 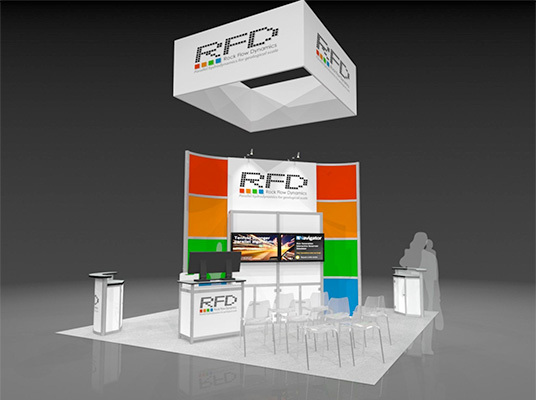 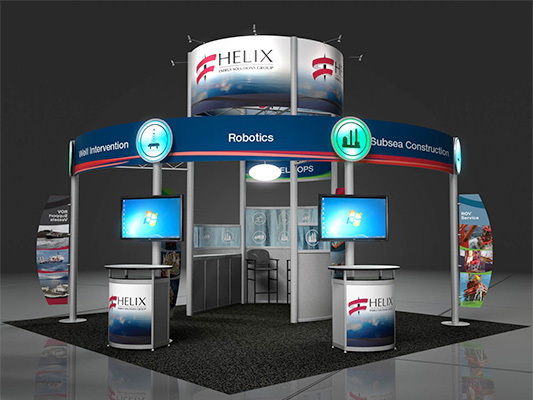 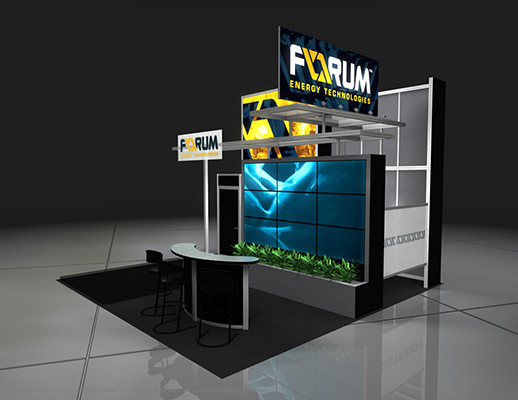 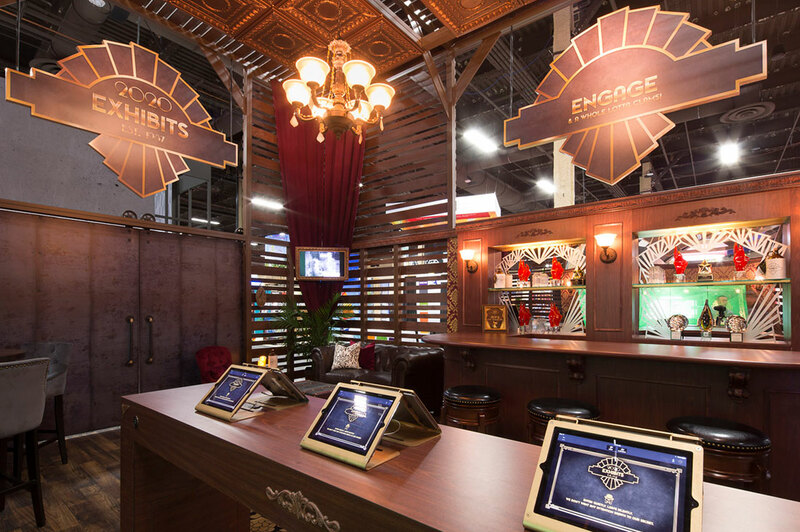 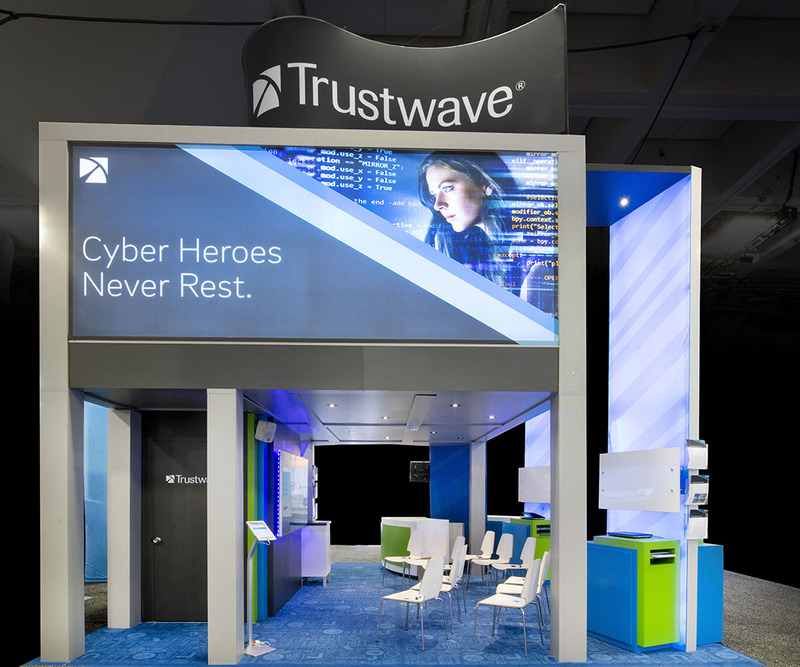 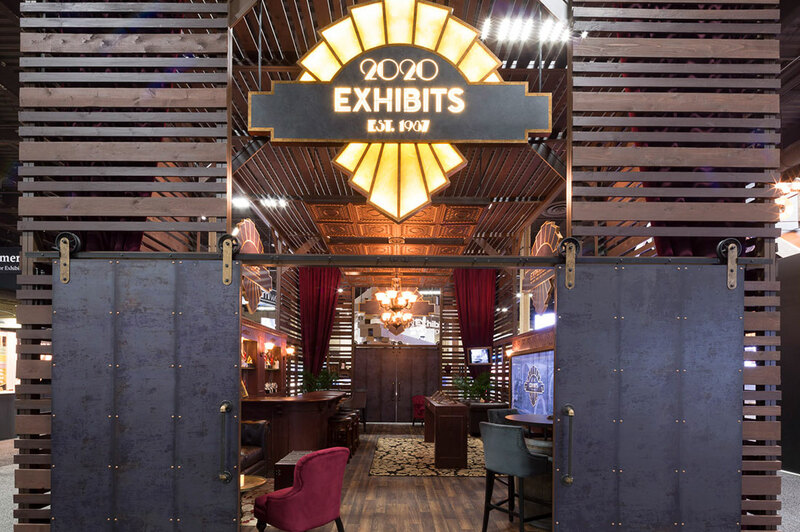 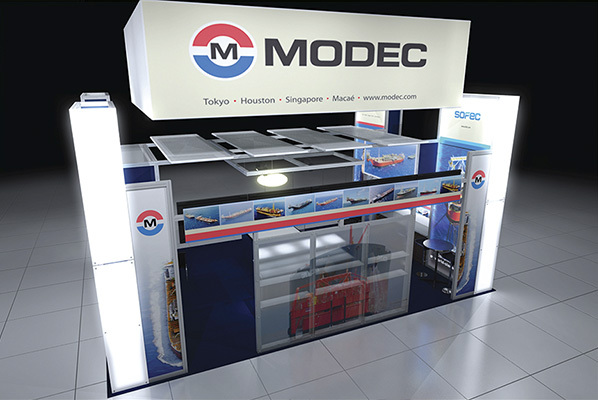 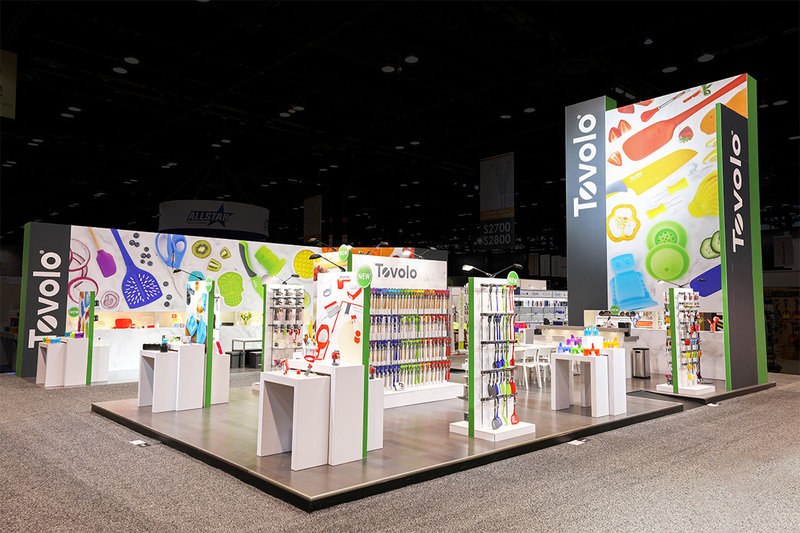 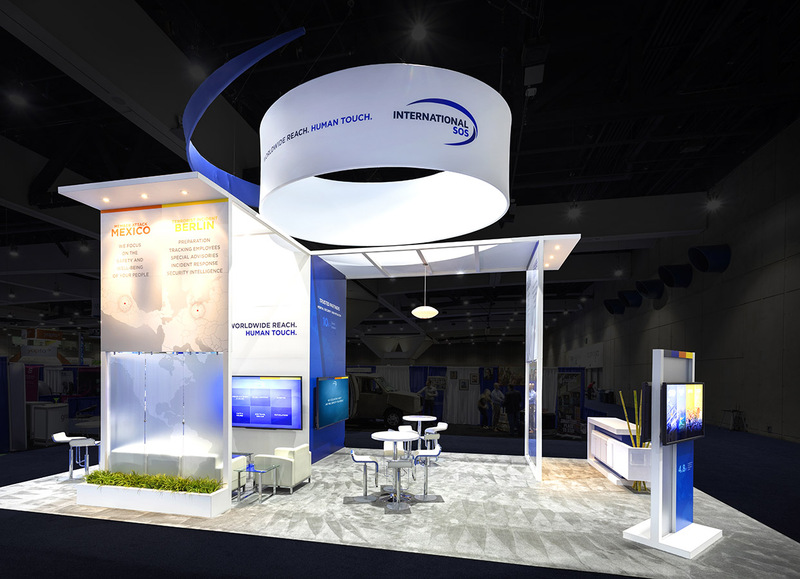 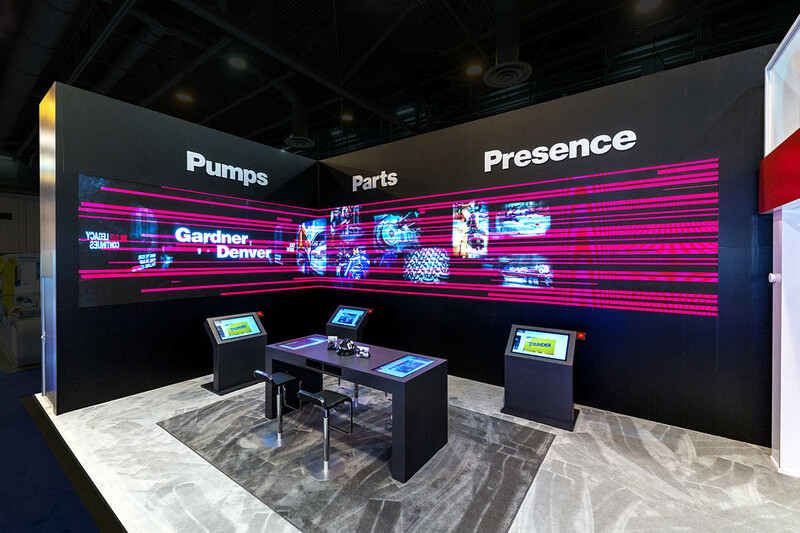 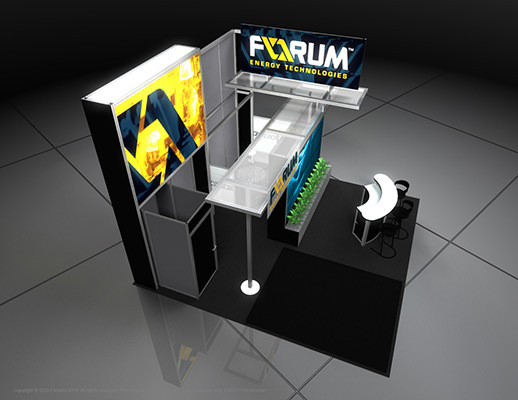 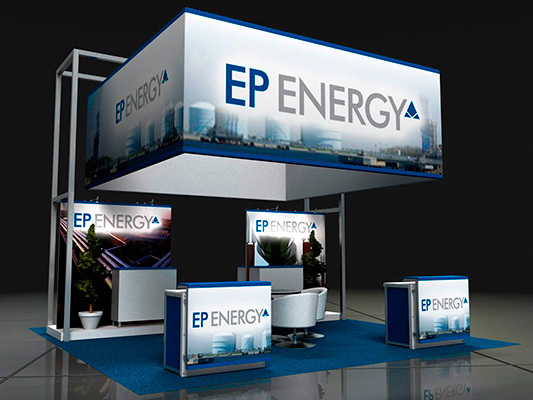 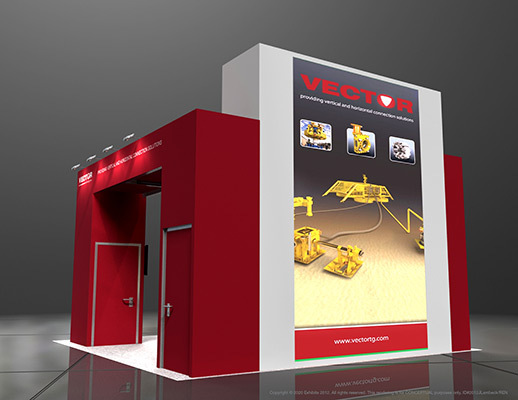 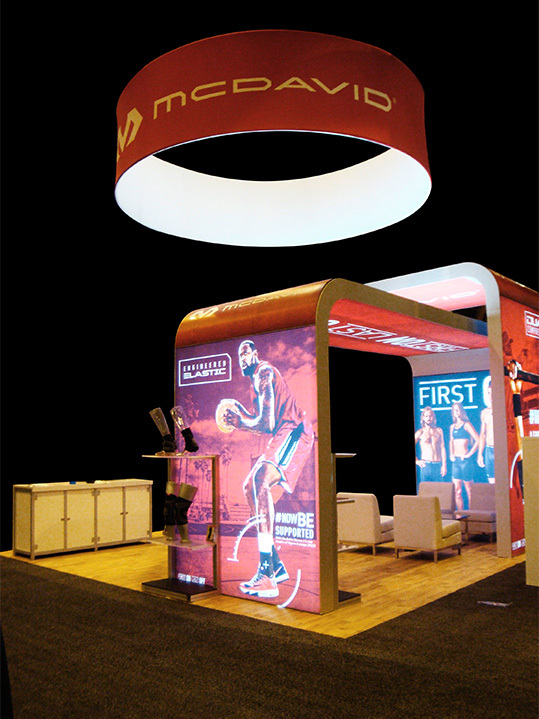 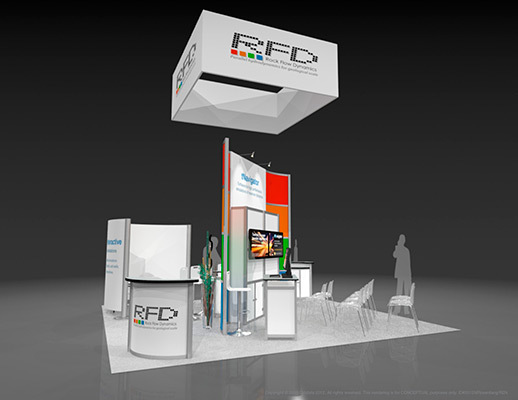 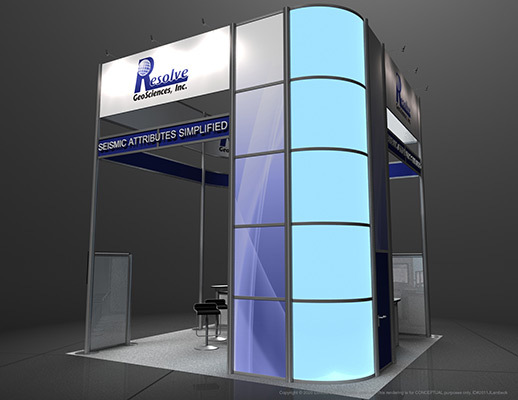 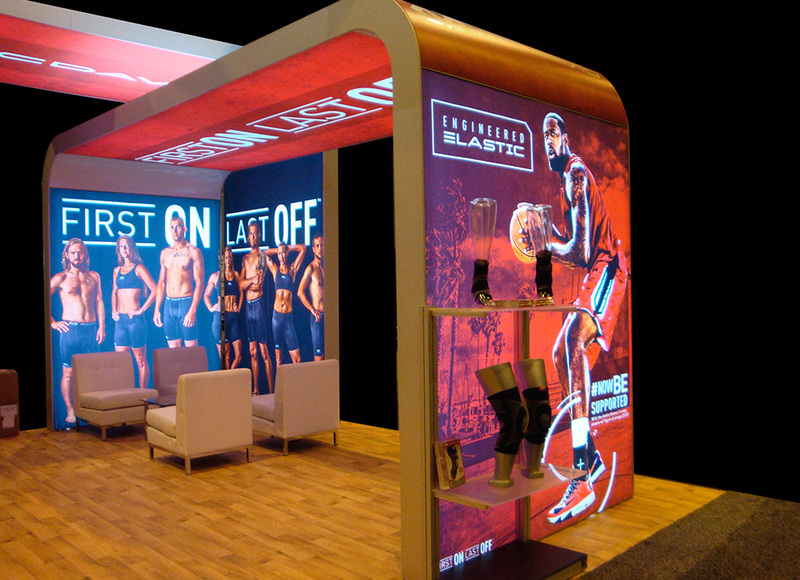 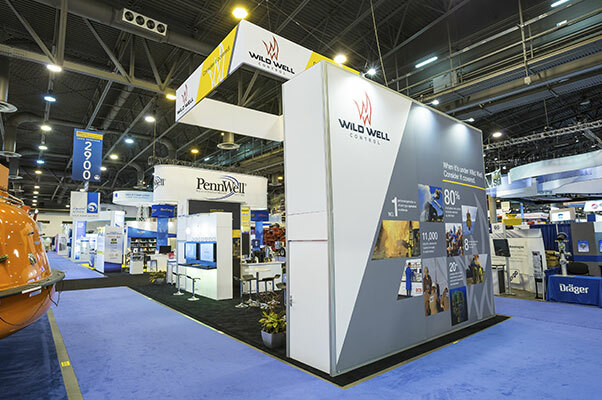 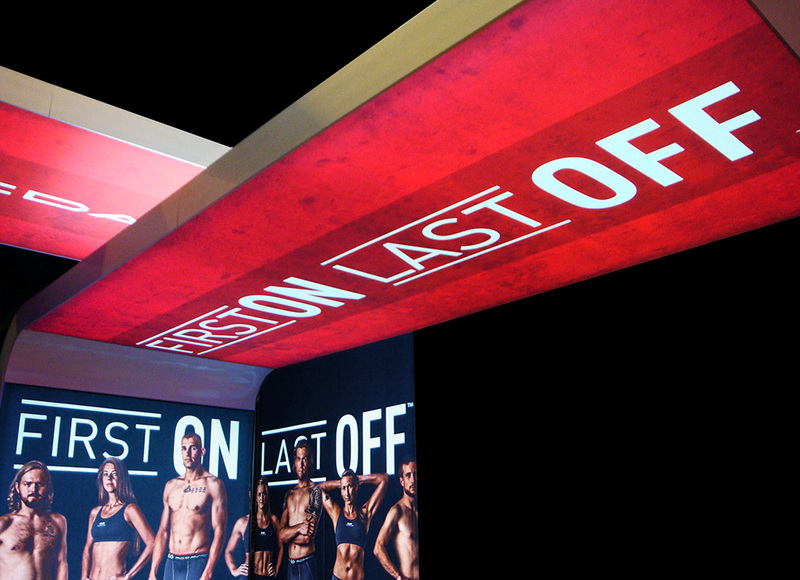 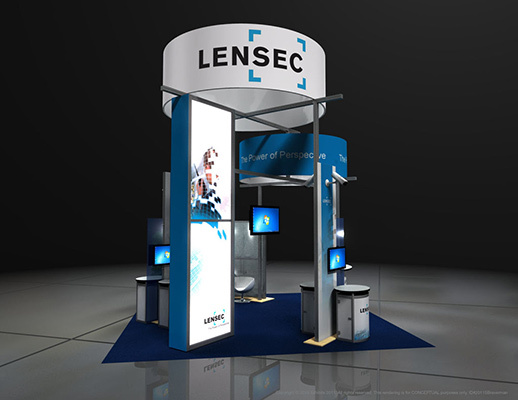 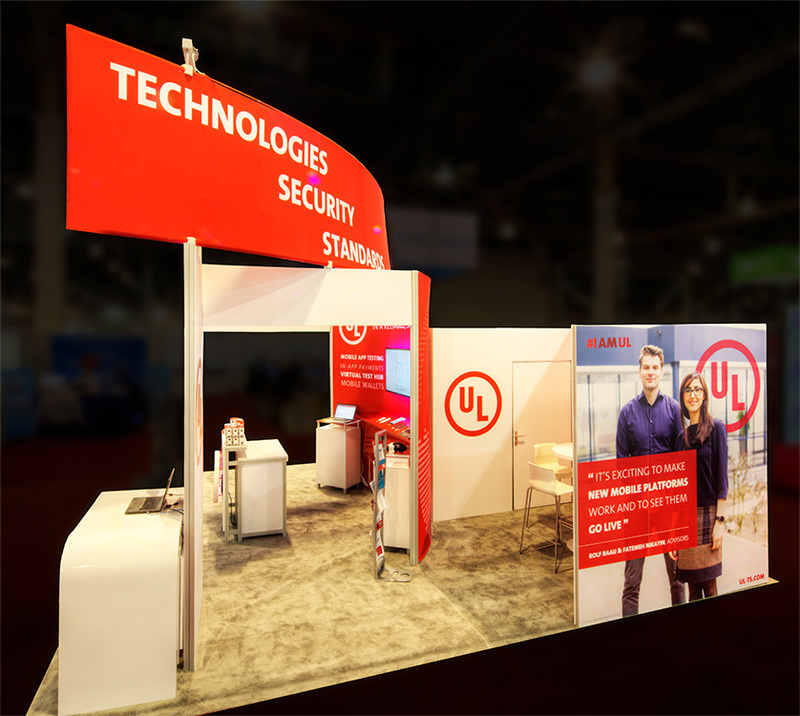 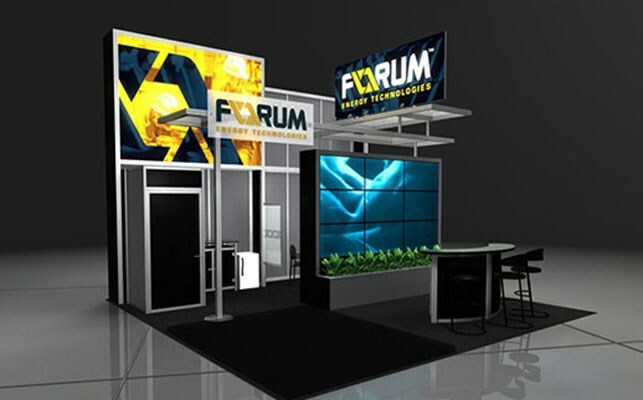 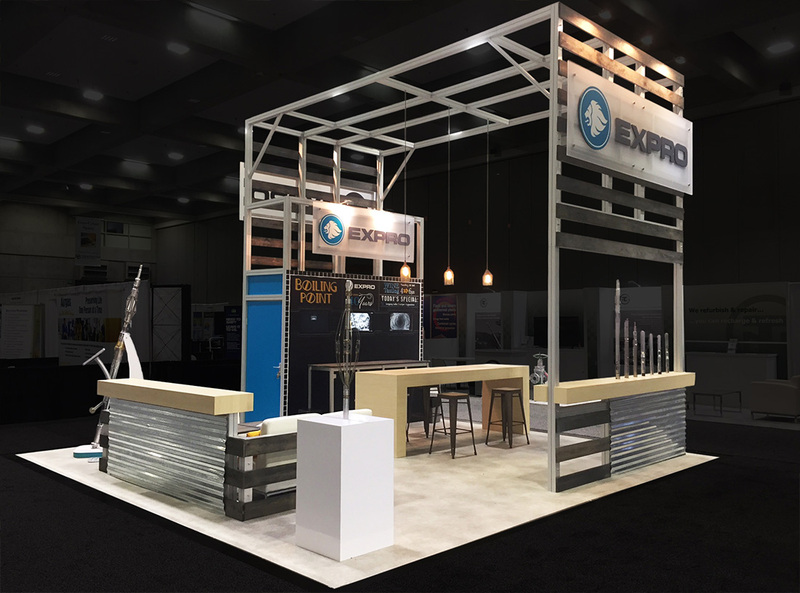 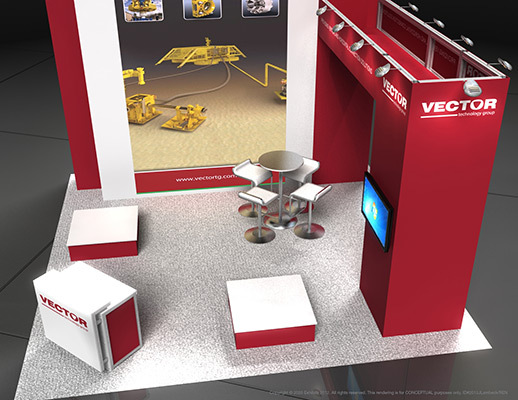 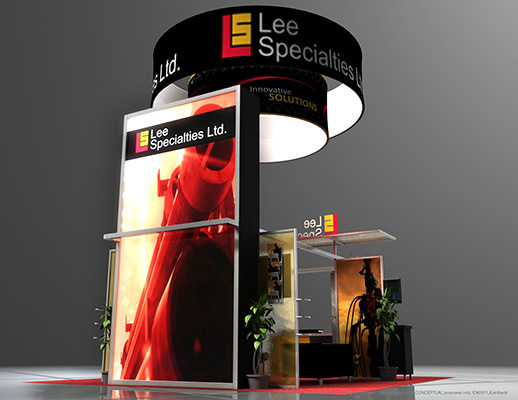 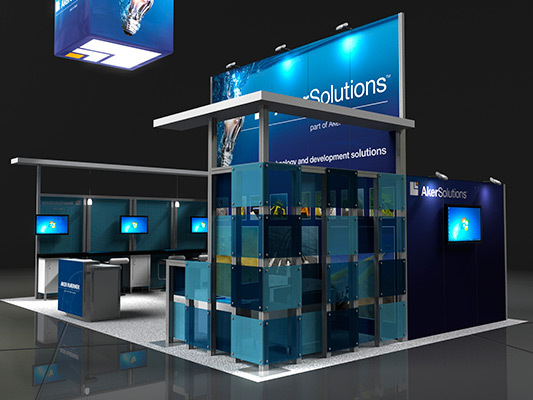 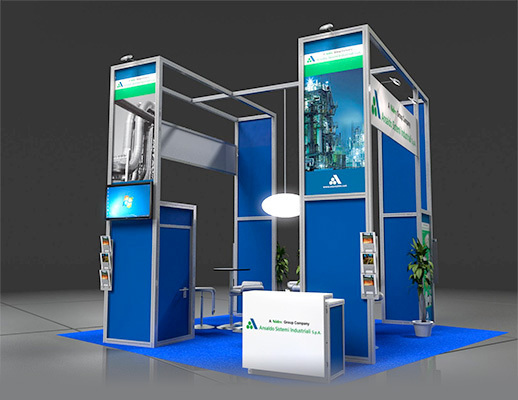 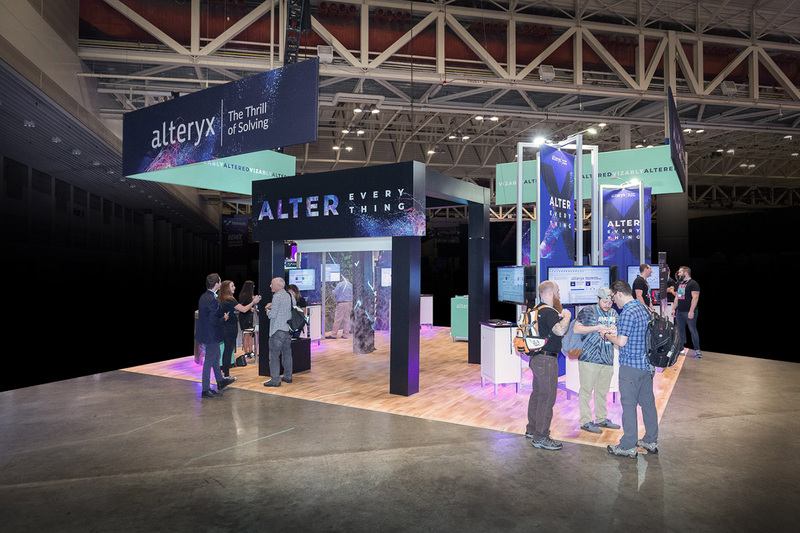 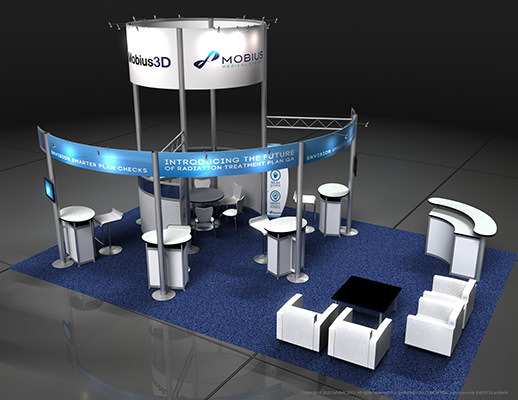 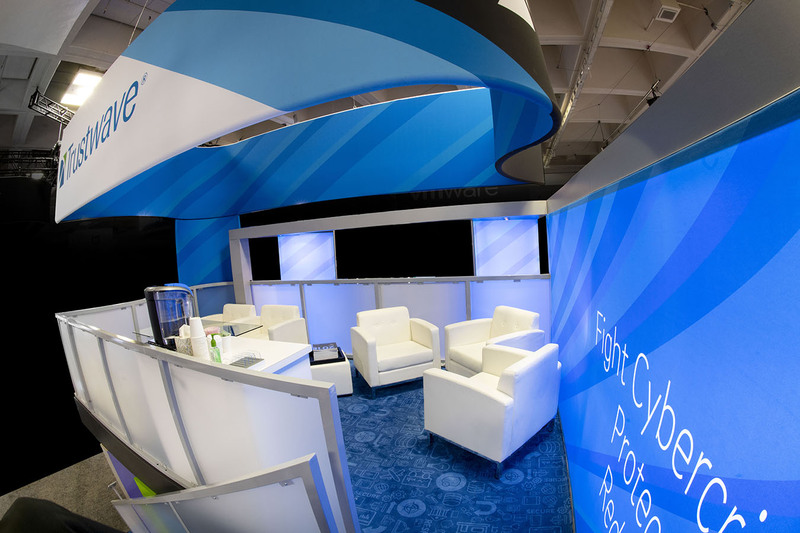 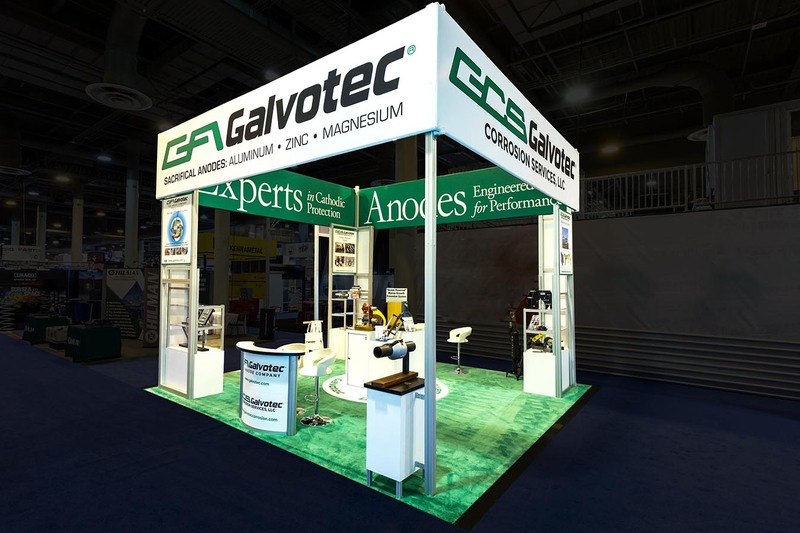 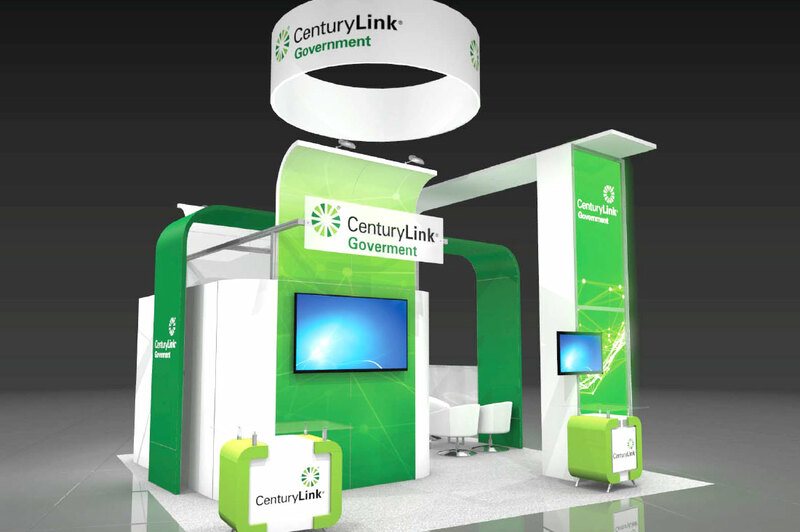 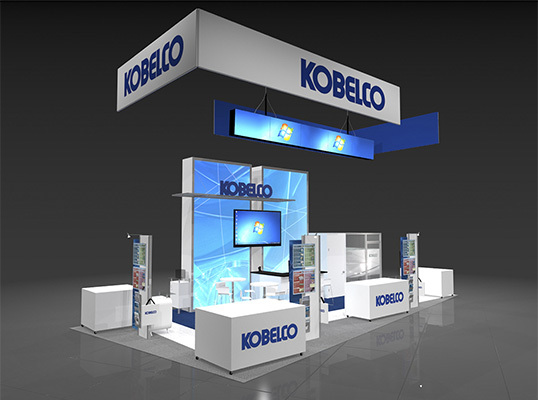 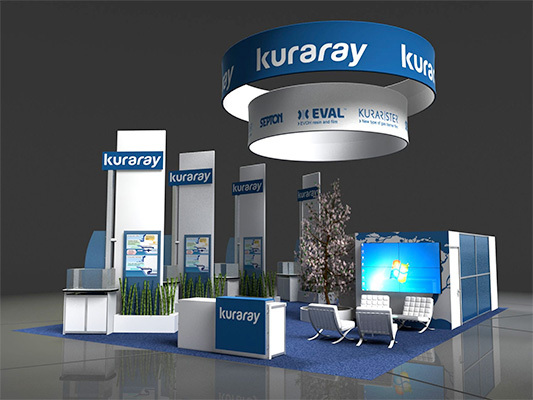 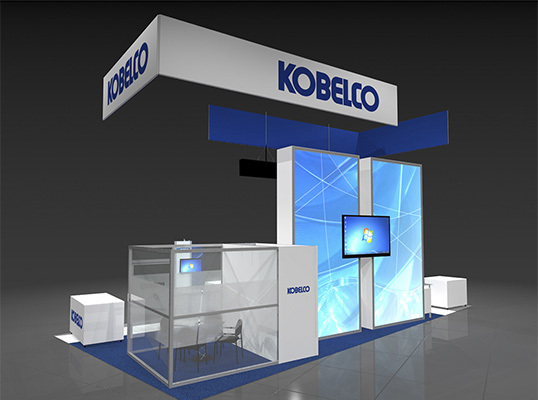 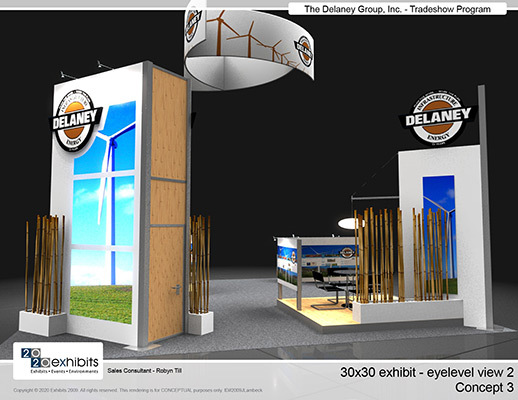 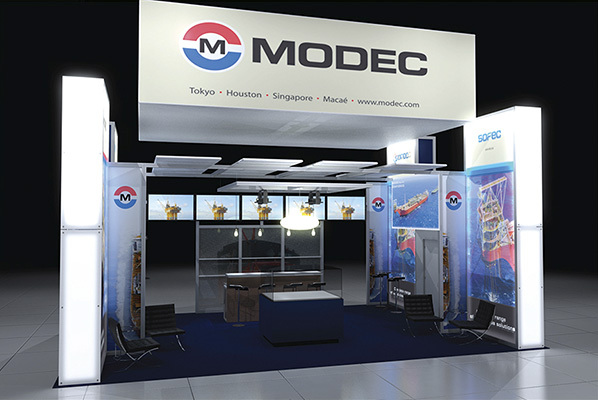 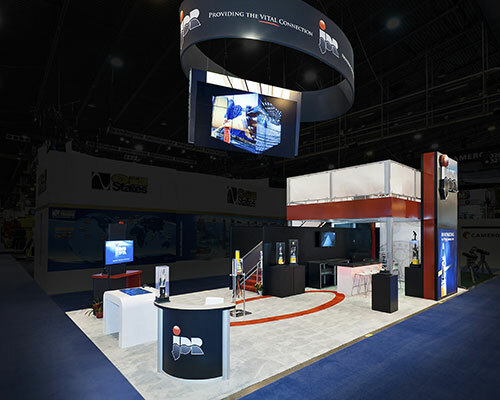 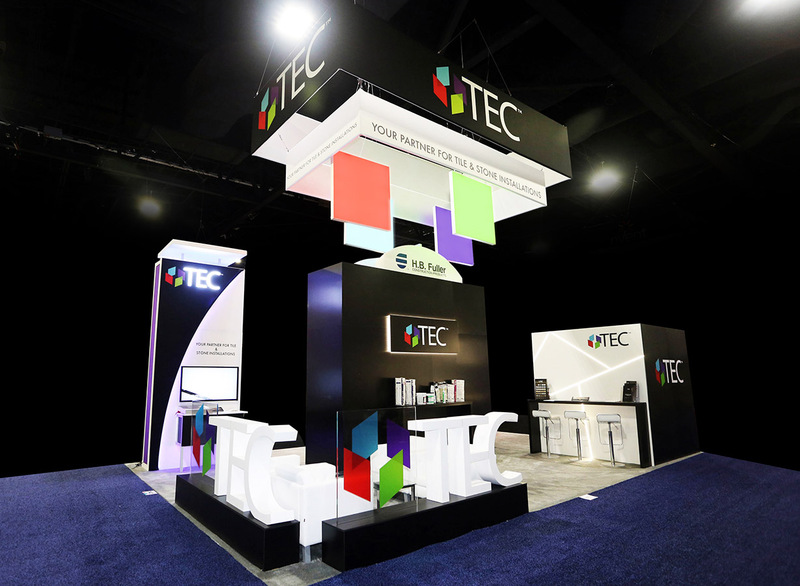 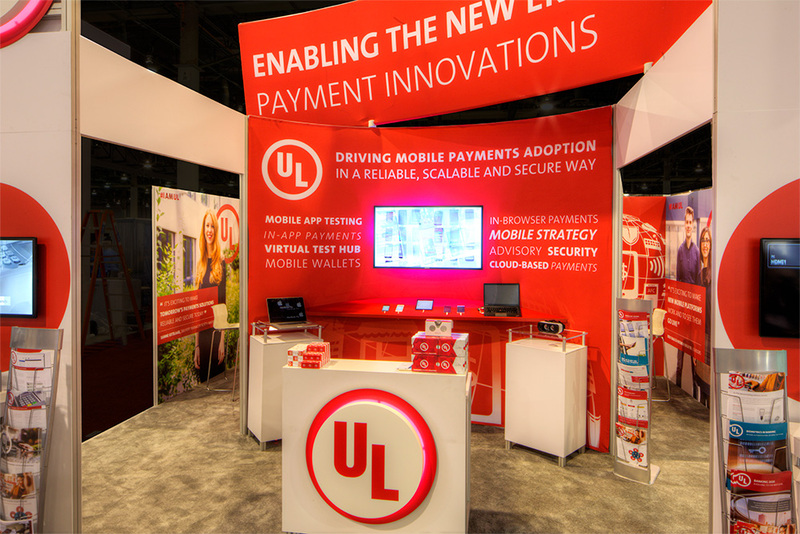 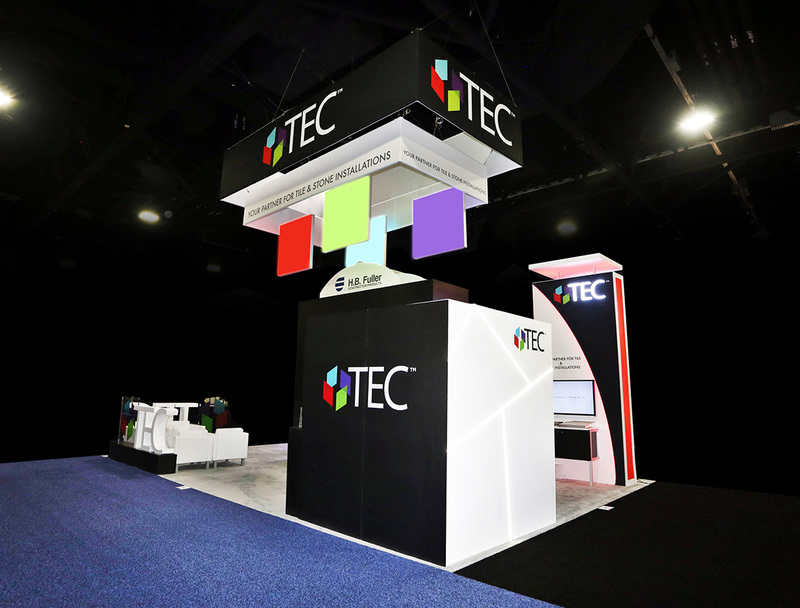 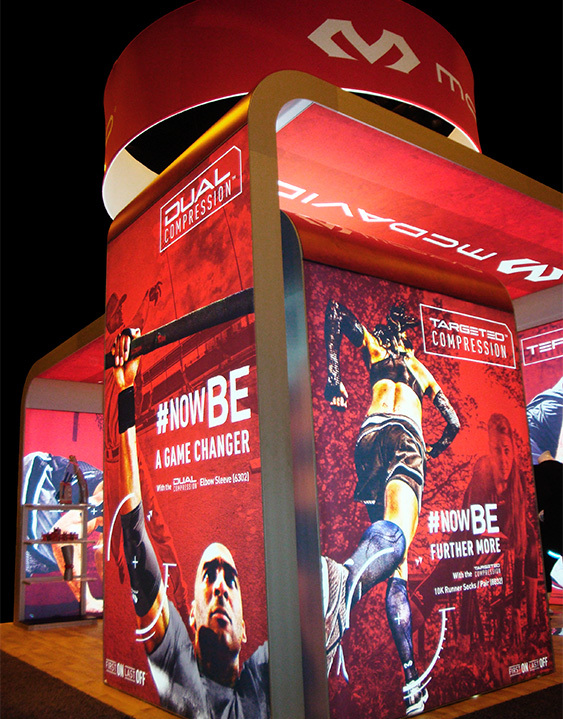 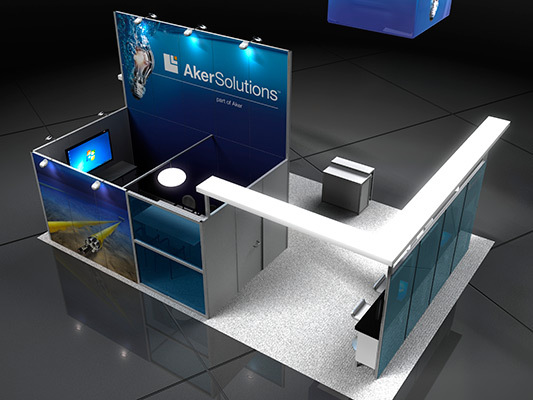 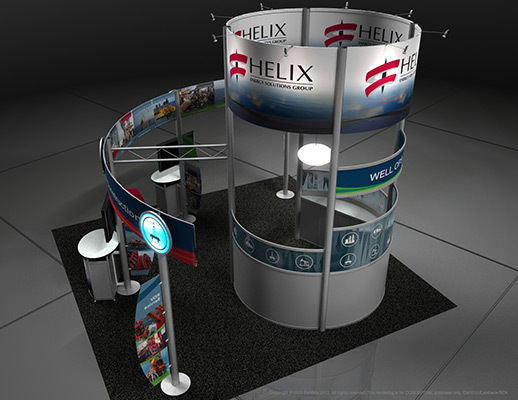 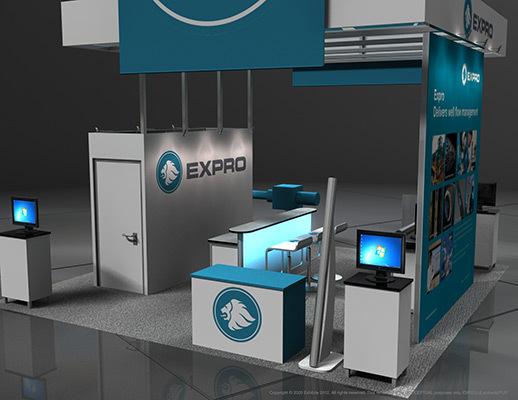 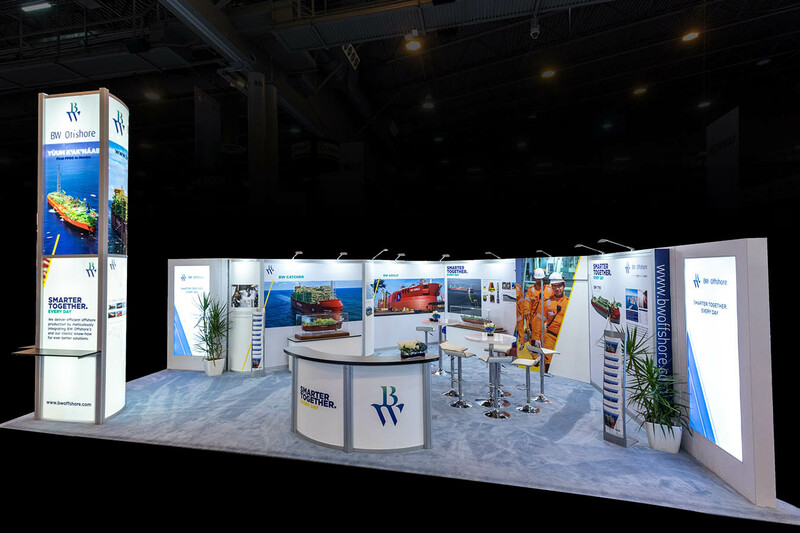 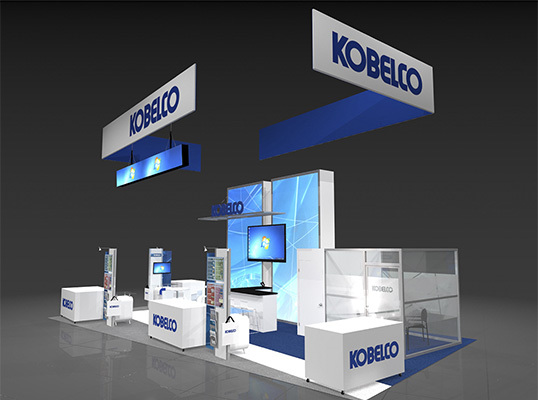 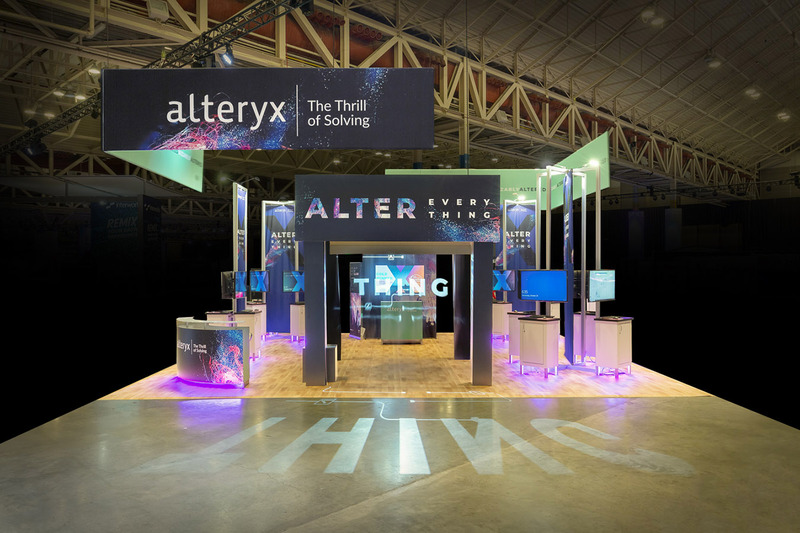 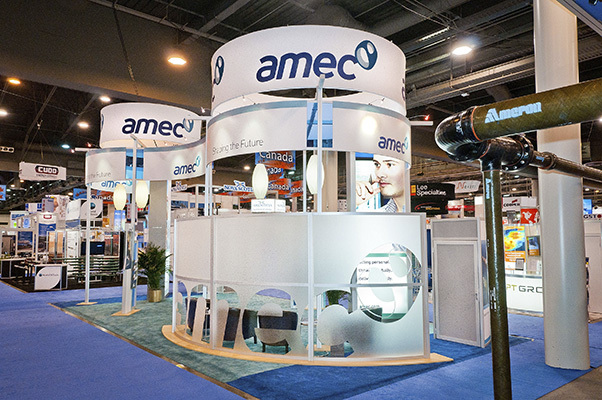 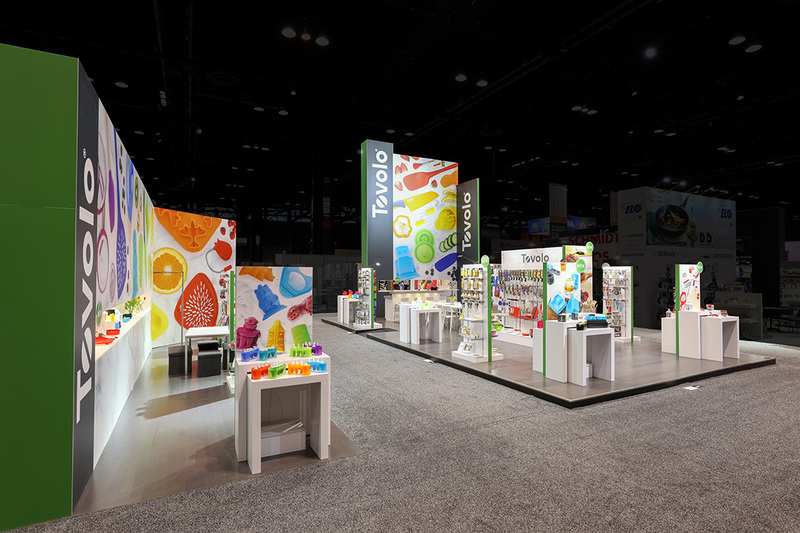 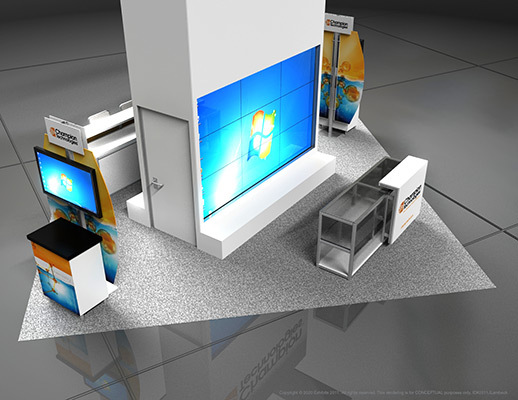 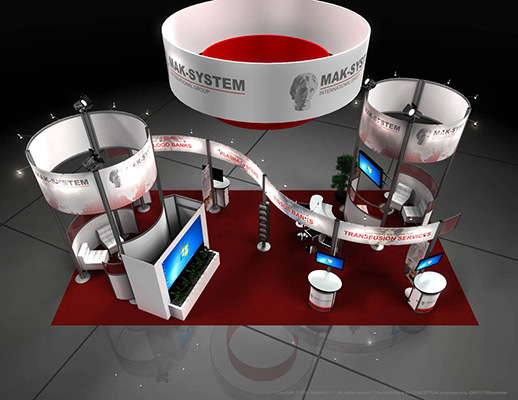 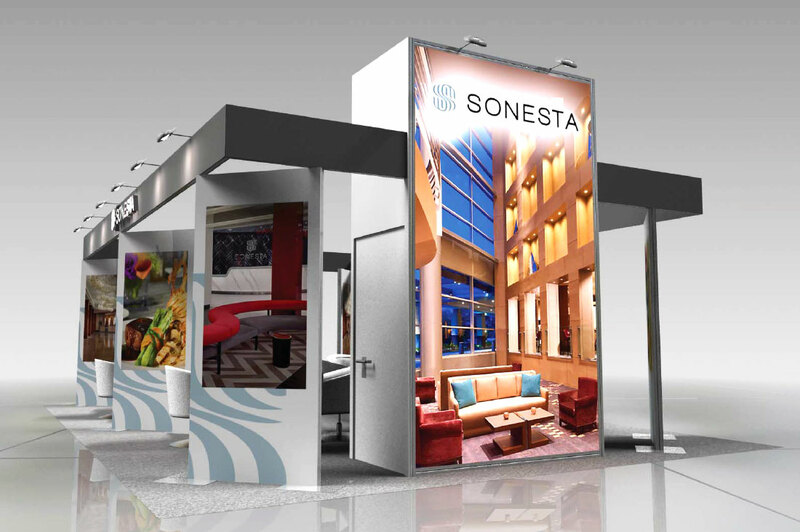 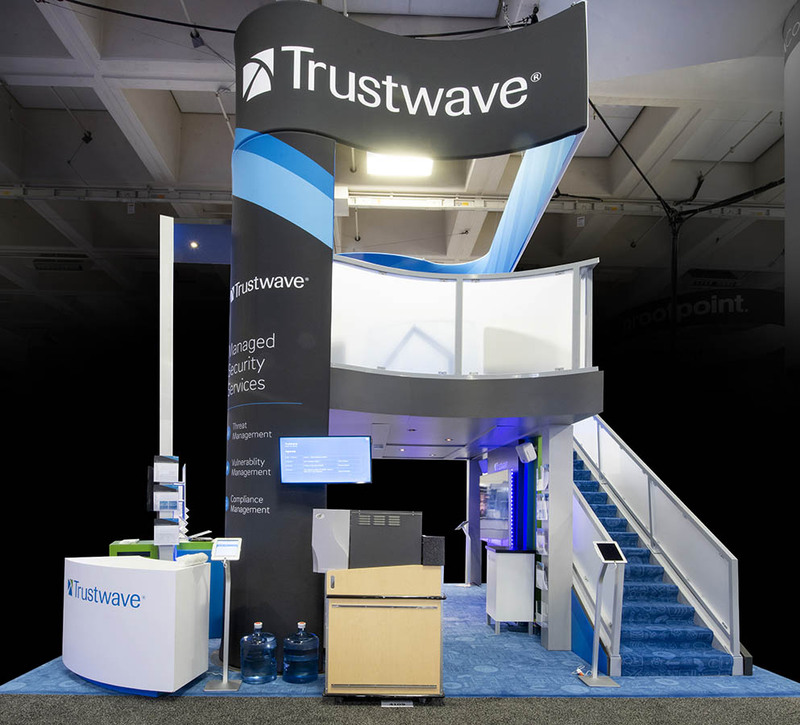 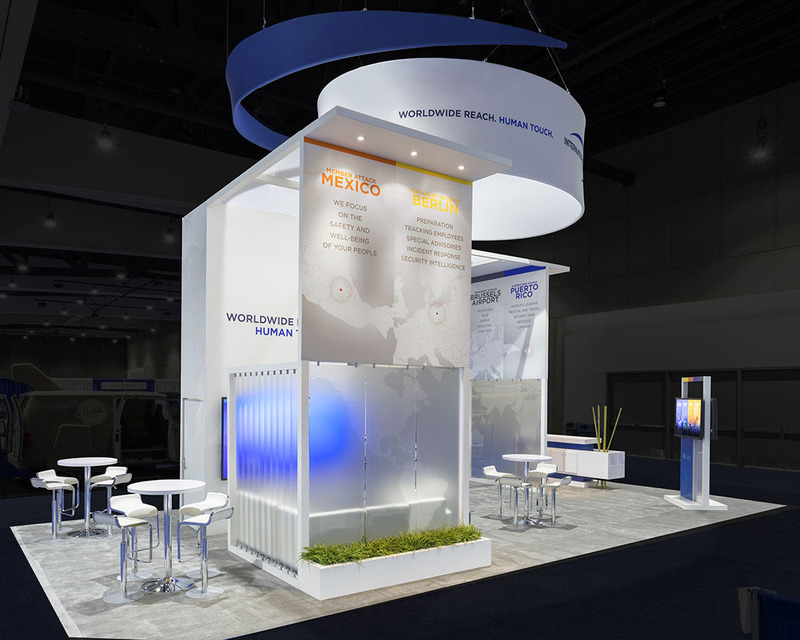 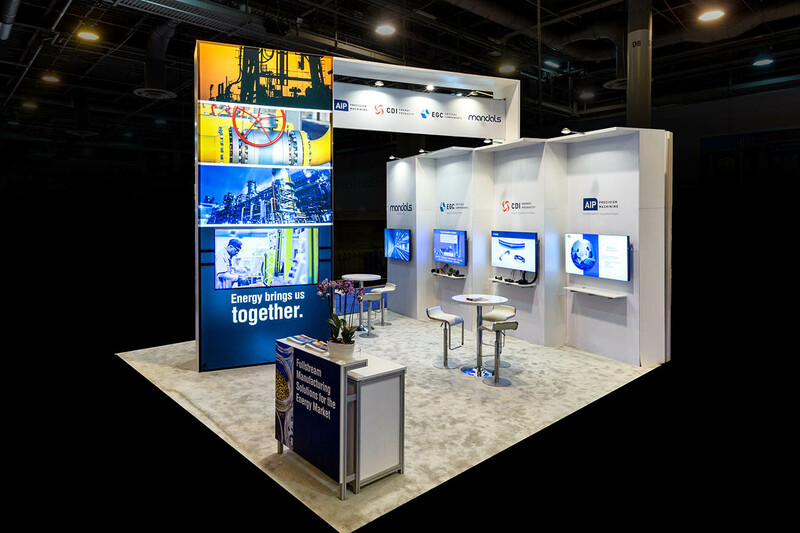 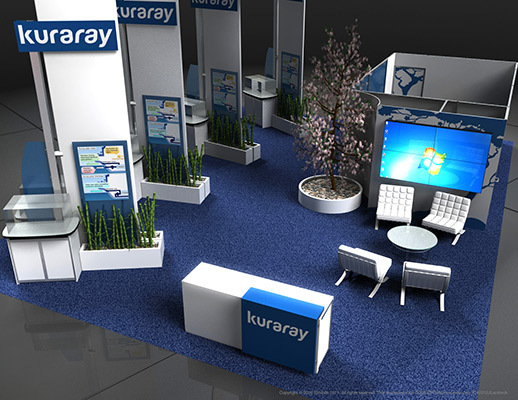 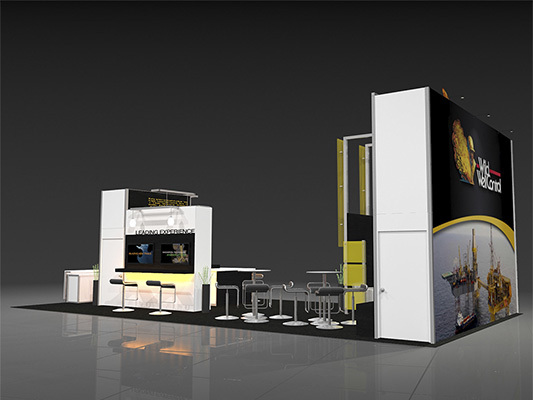 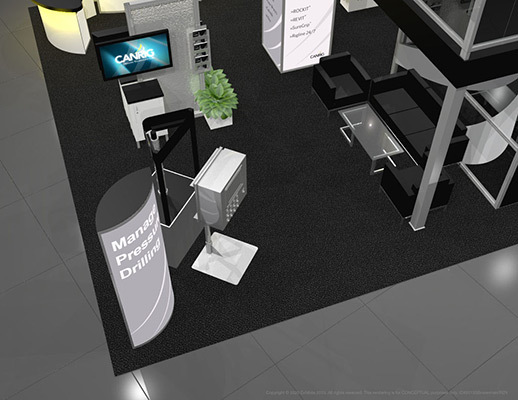 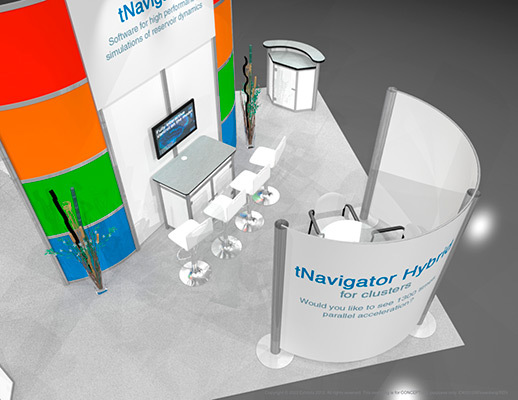 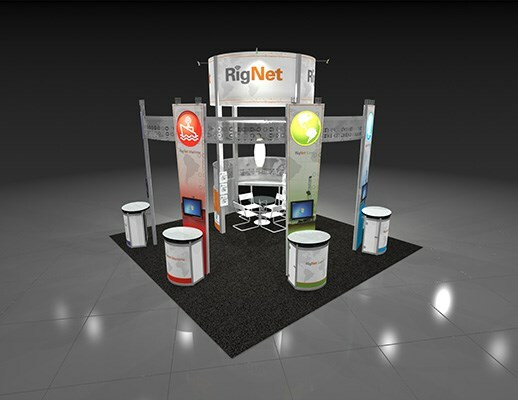 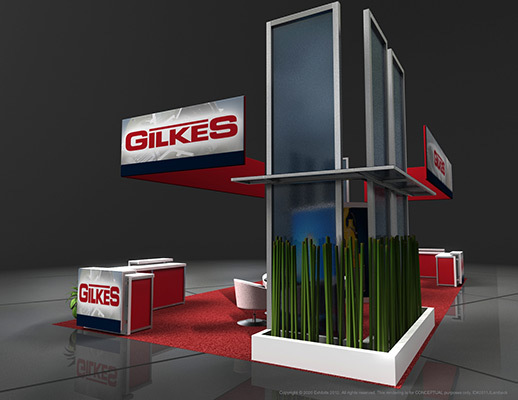 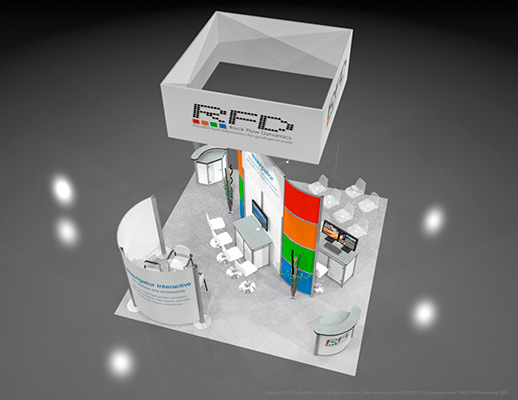 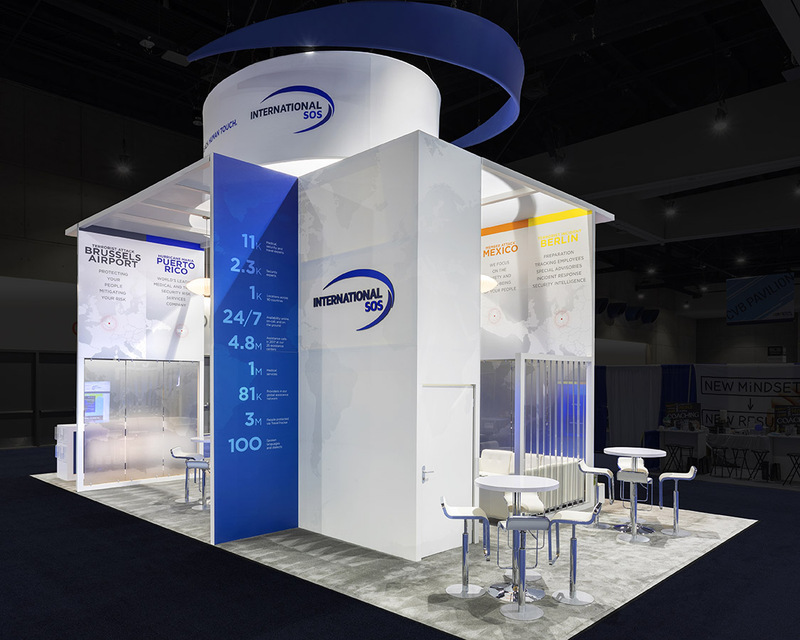 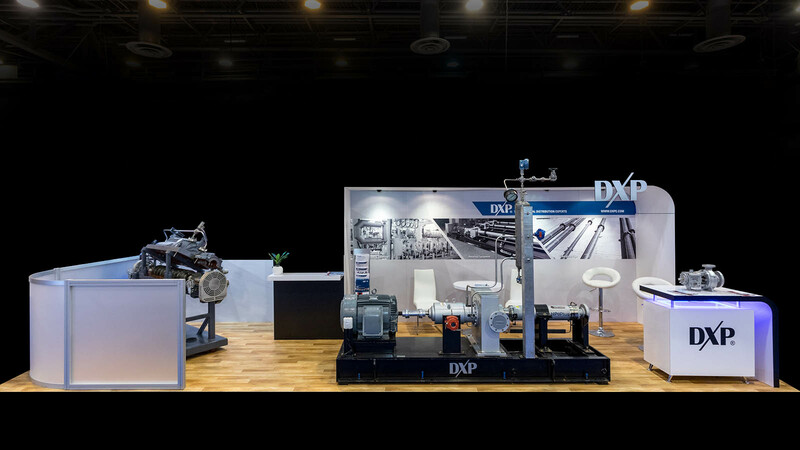 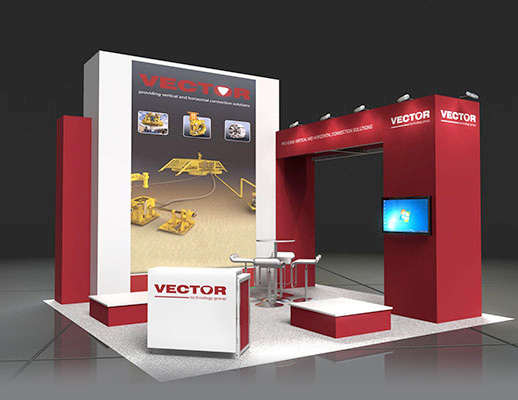 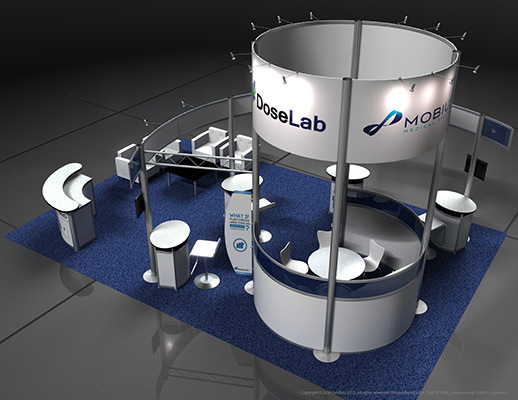 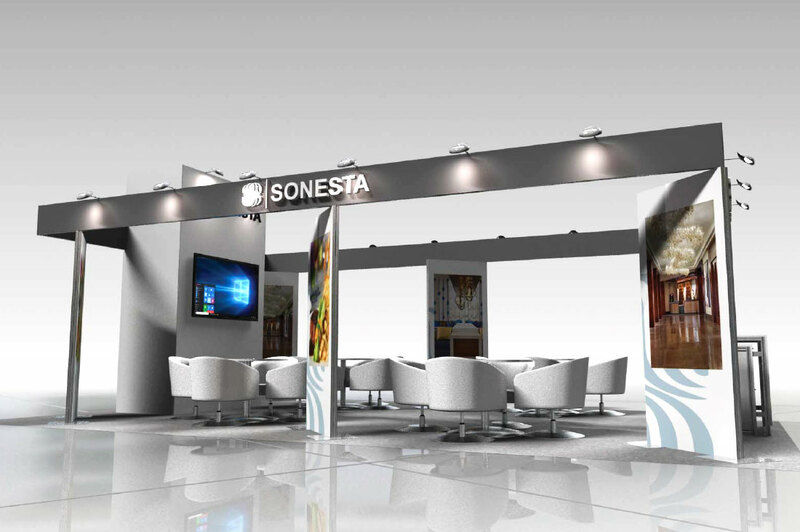 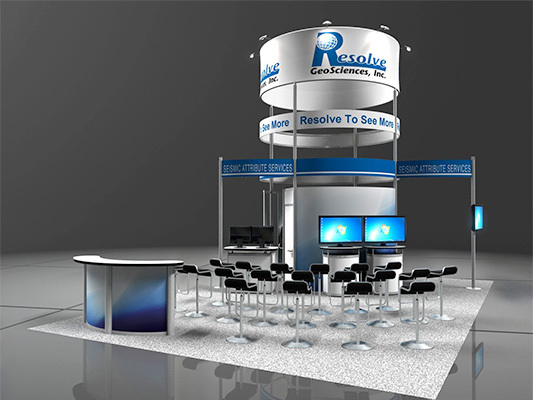 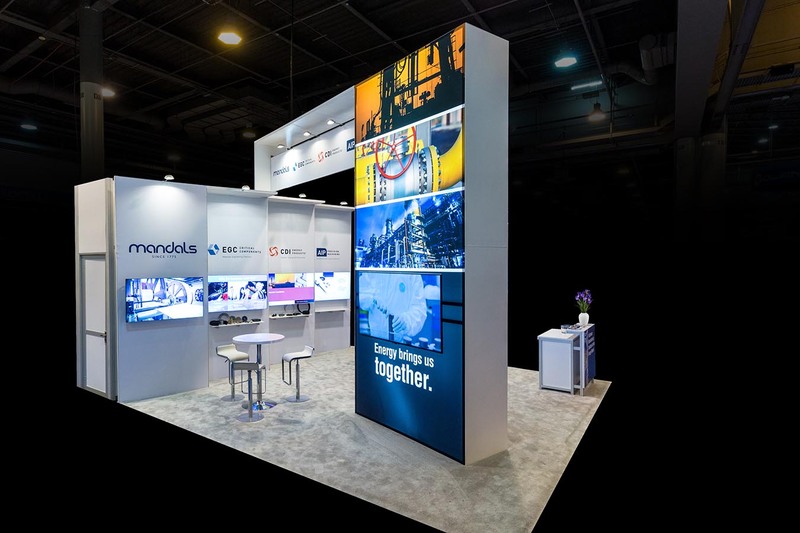 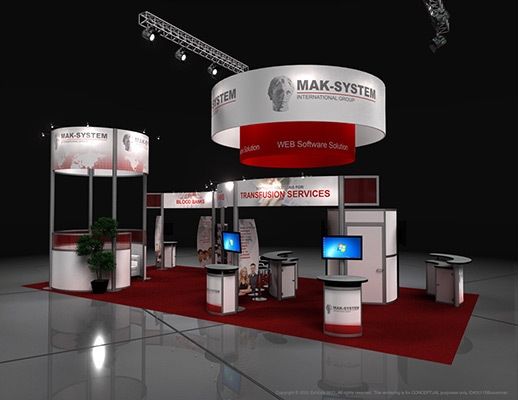 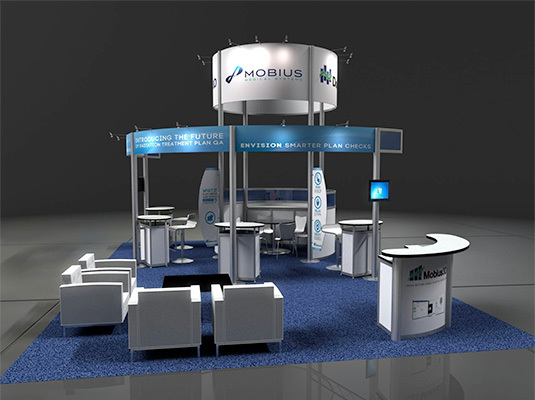 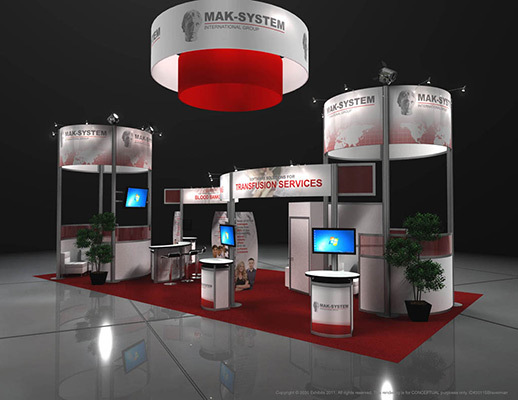 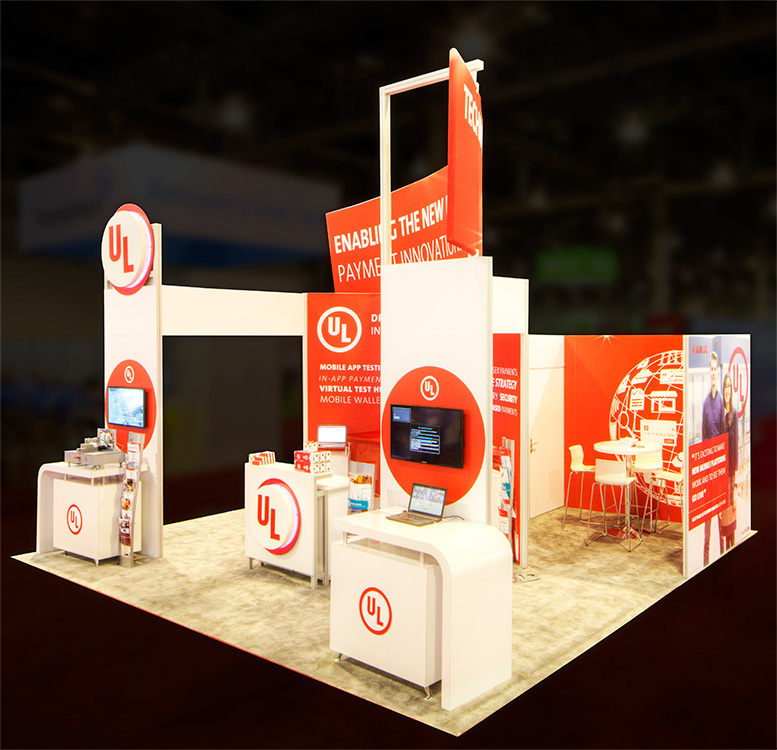 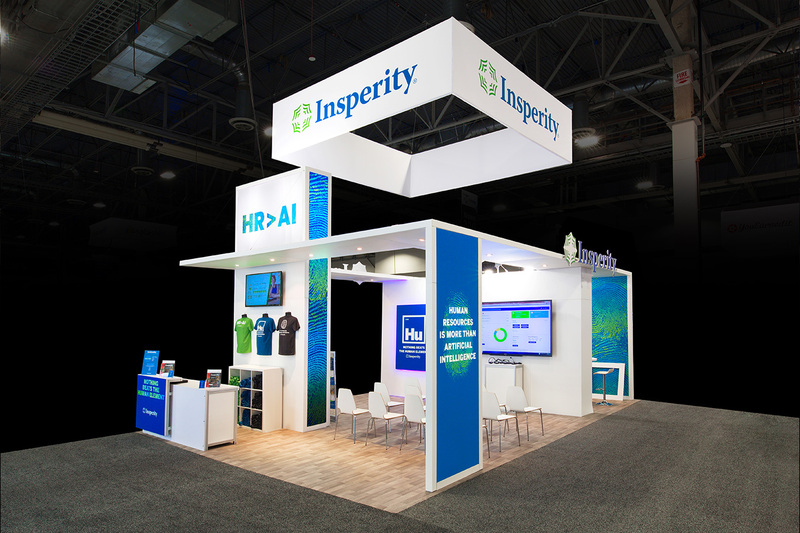 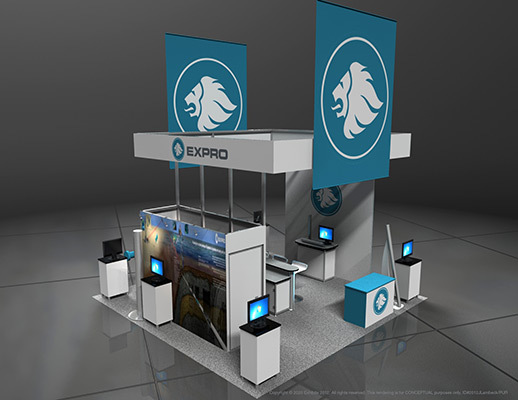 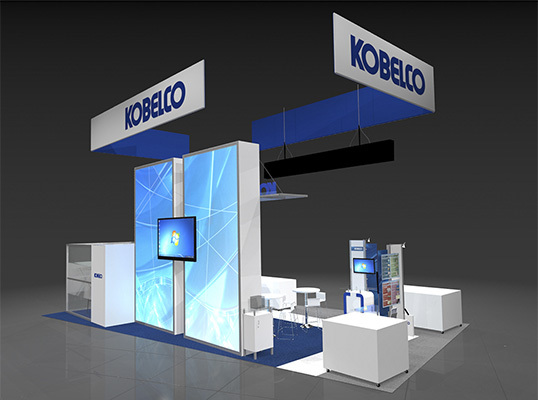 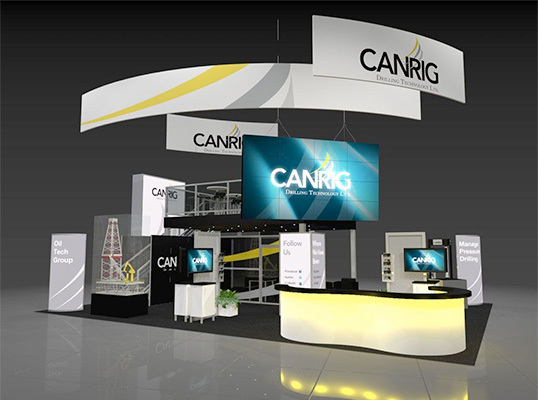 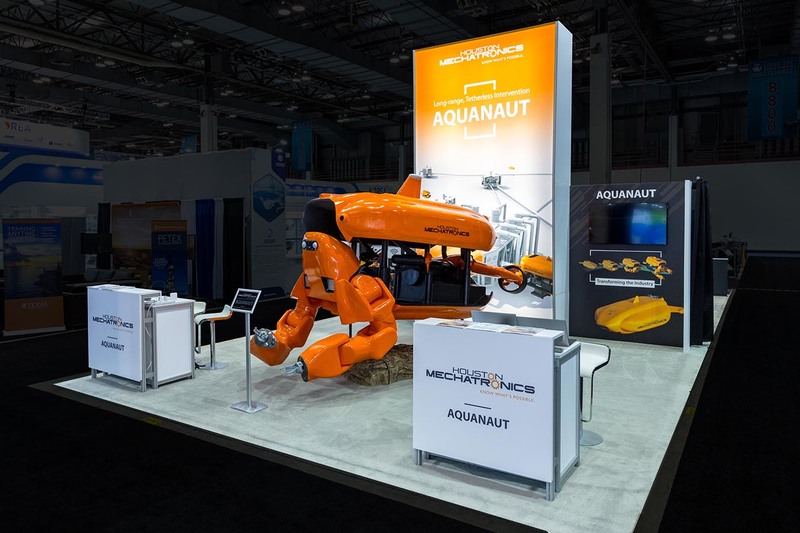 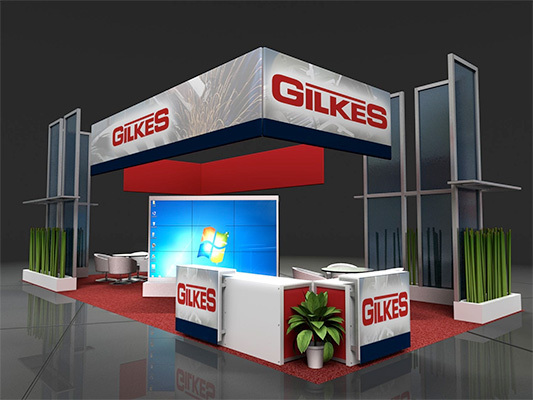 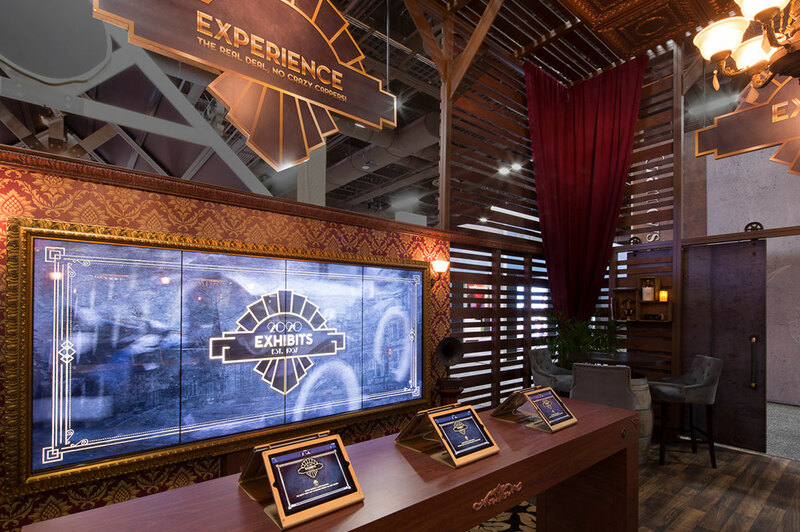 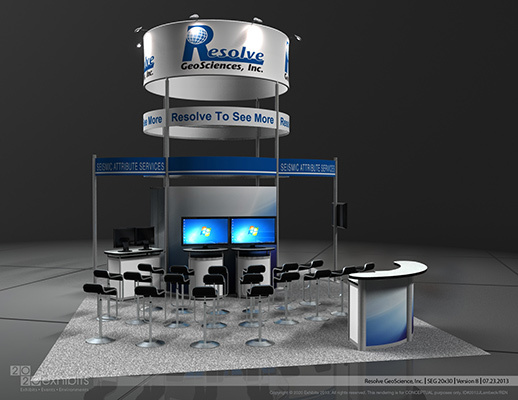 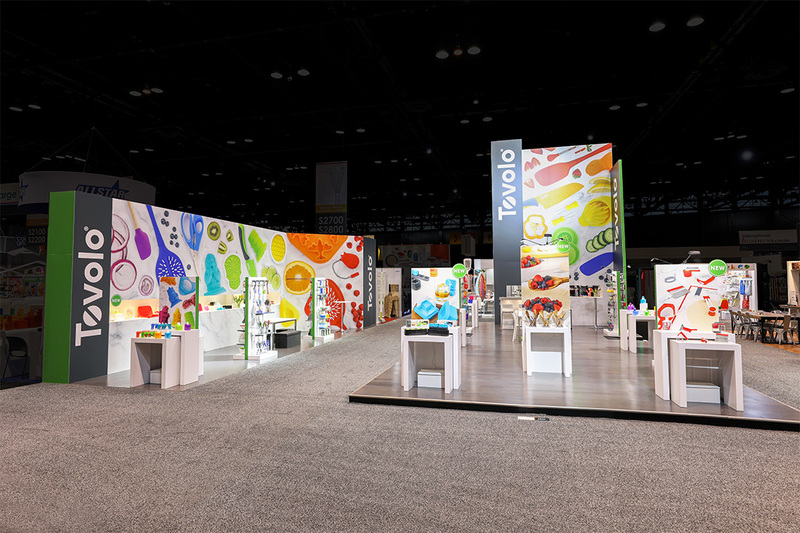 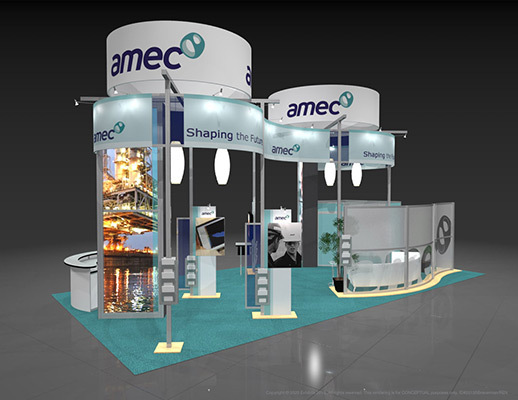 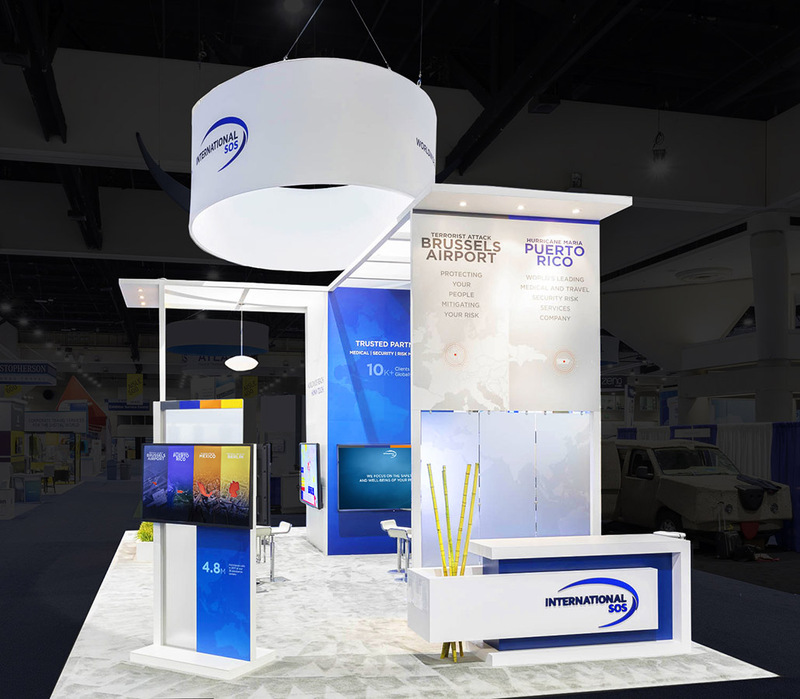 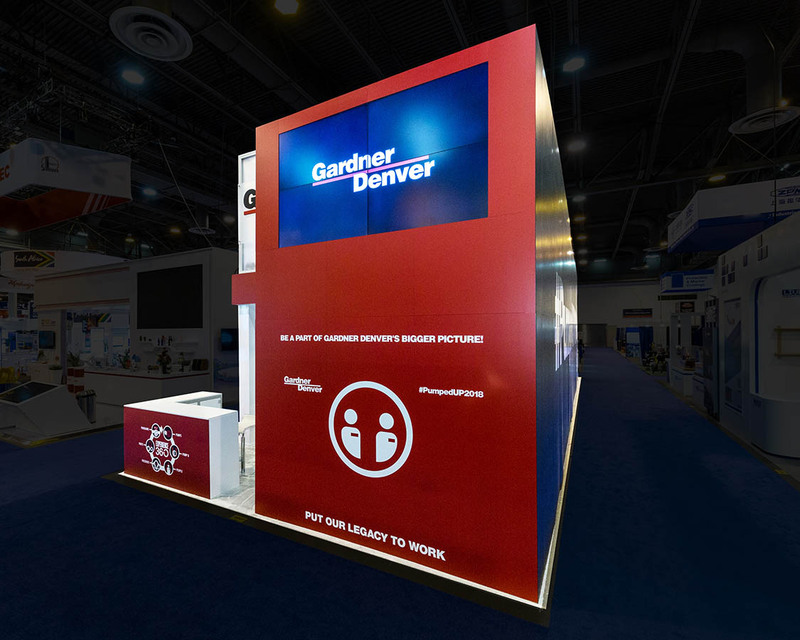 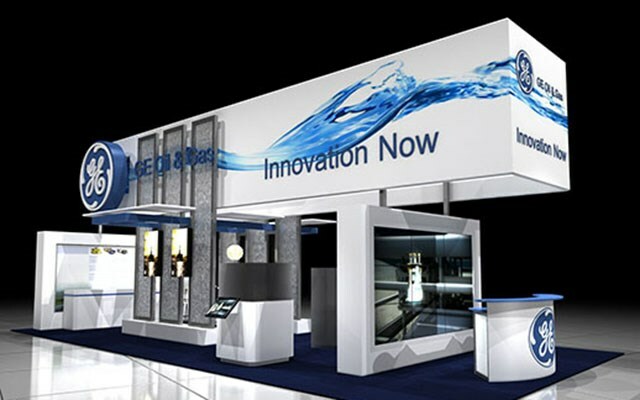 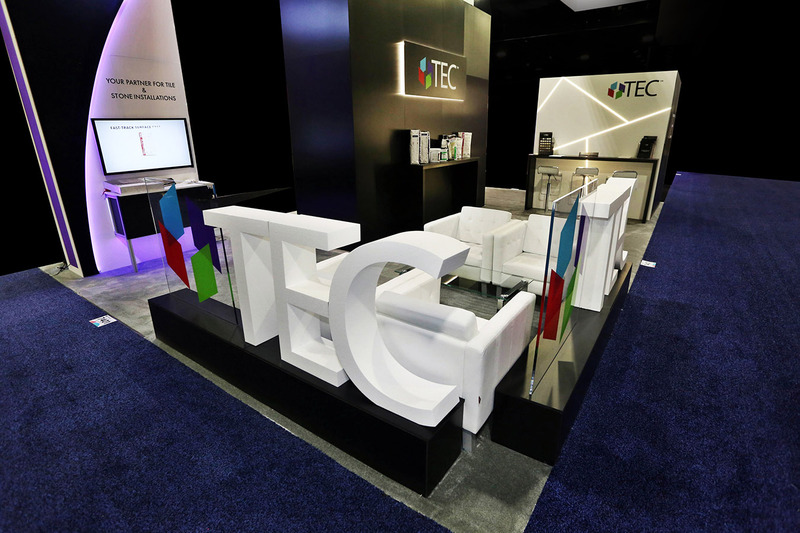 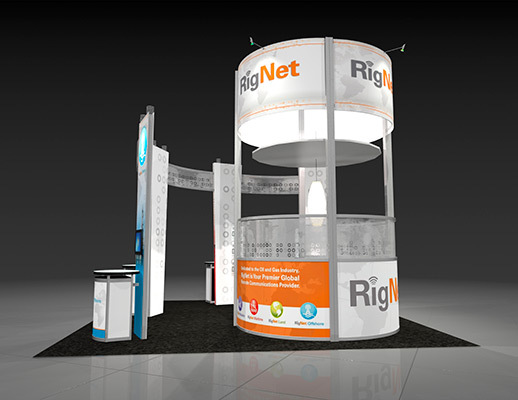 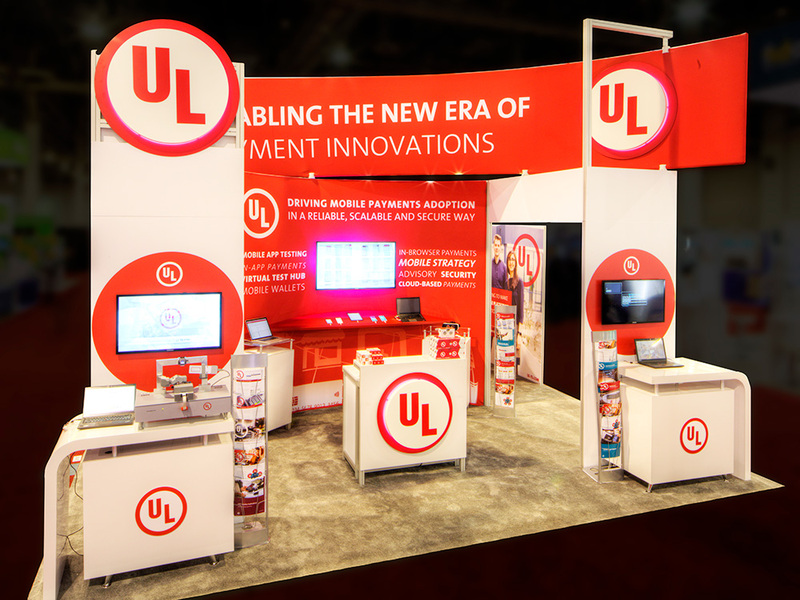 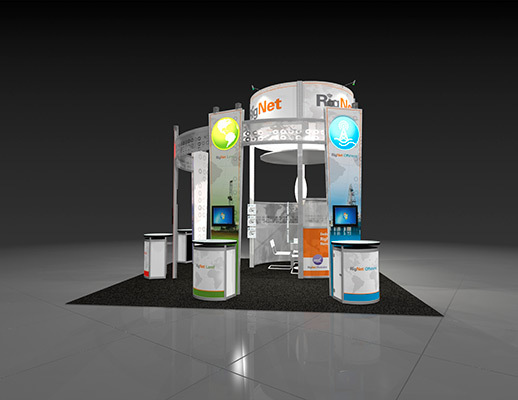 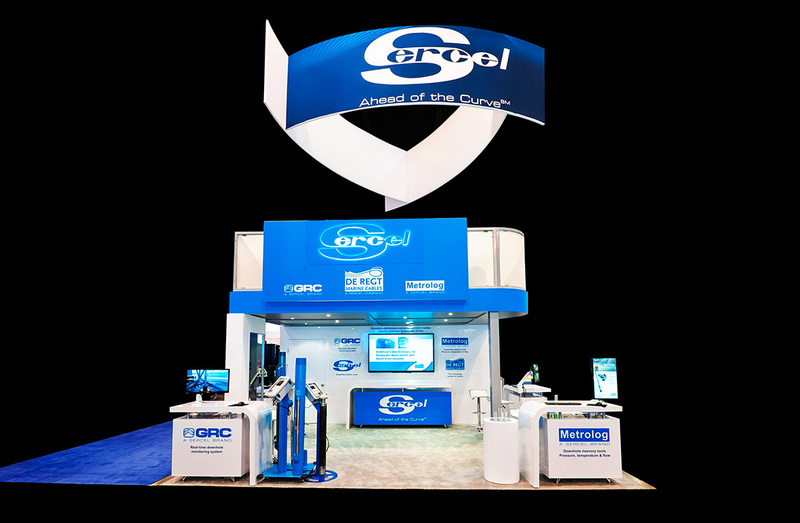 The backlit graphic and simple logo signage attract attendees to this clean space. 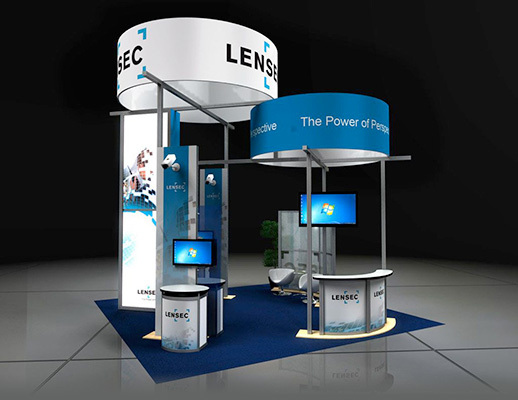 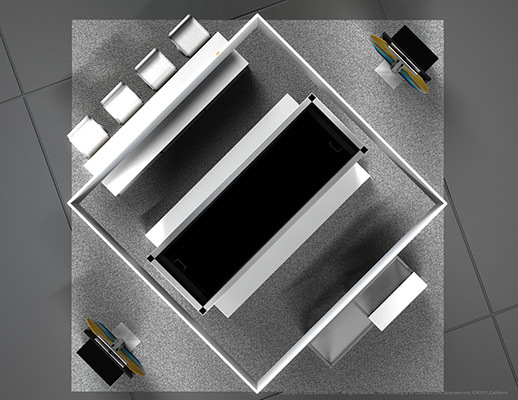 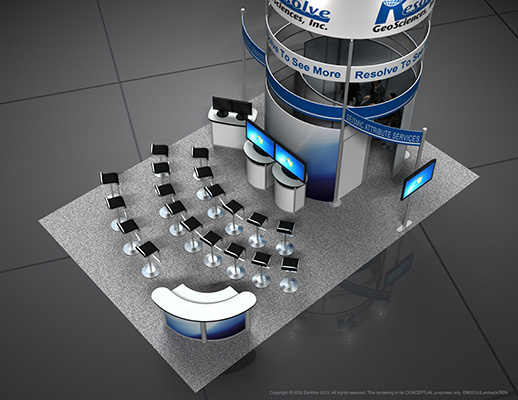 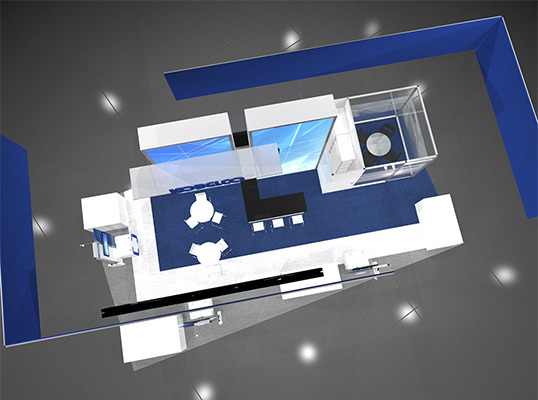 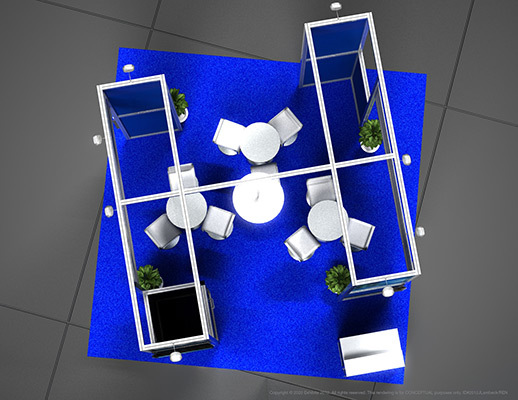 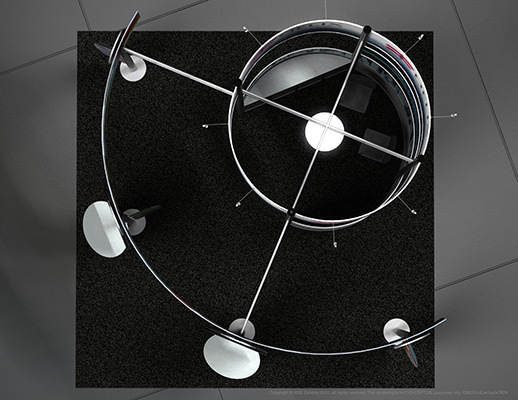 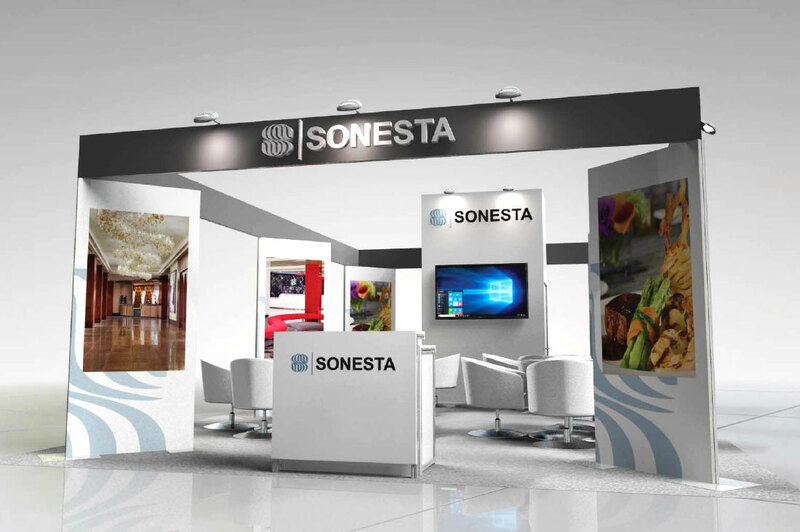 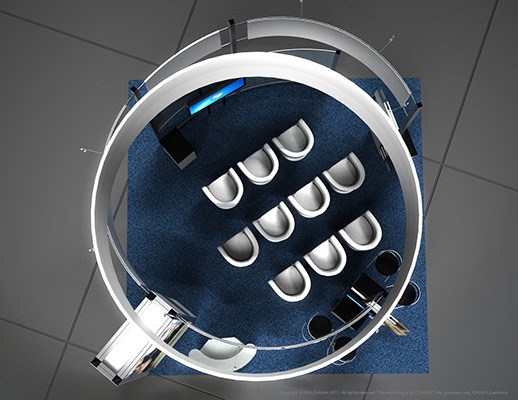 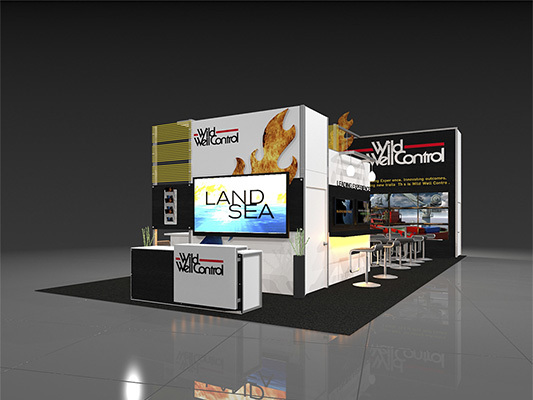 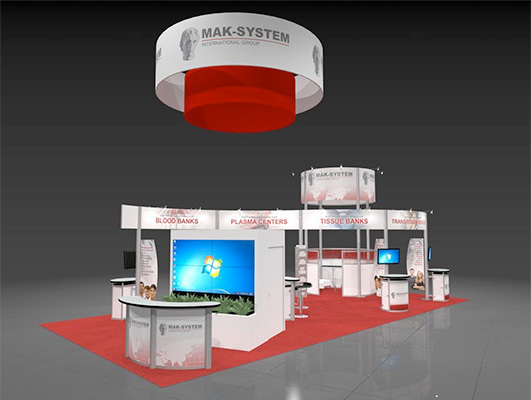 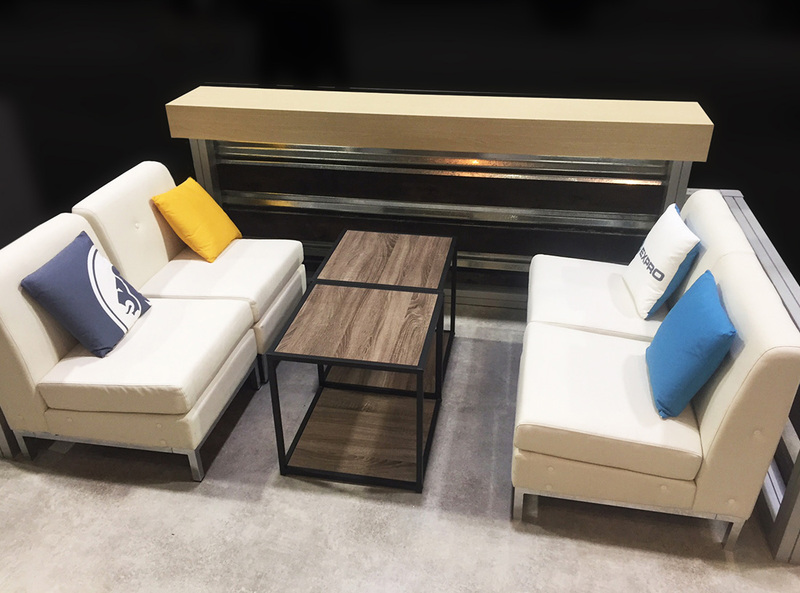 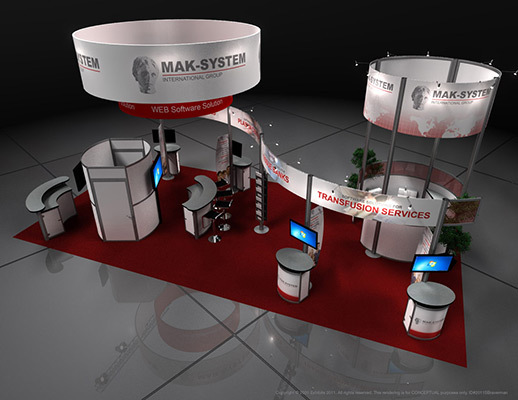 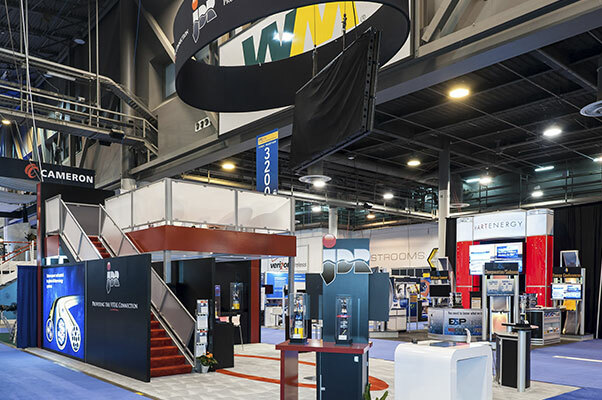 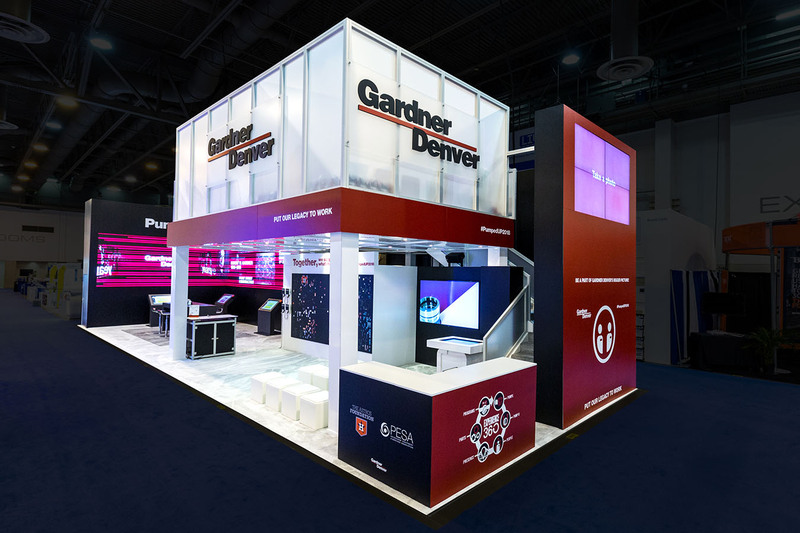 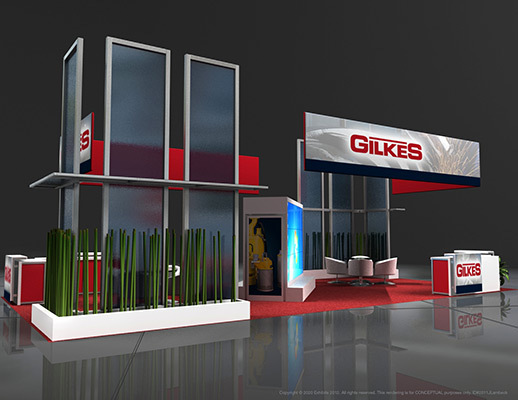 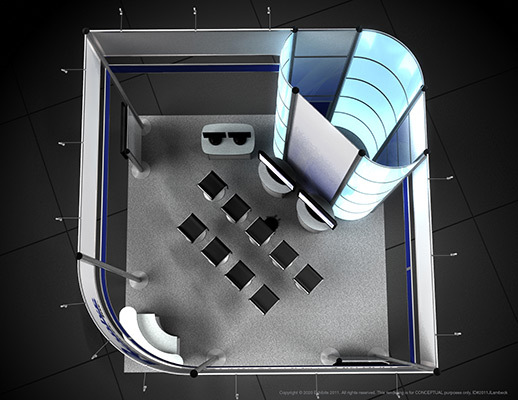 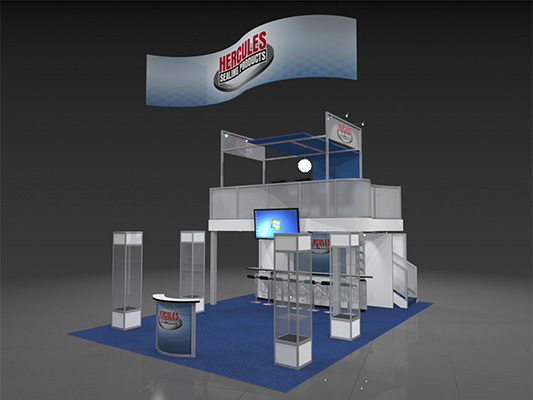 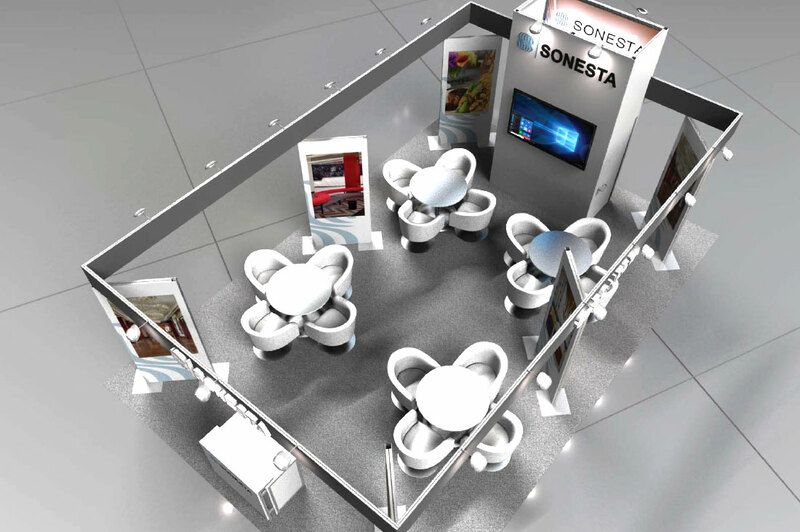 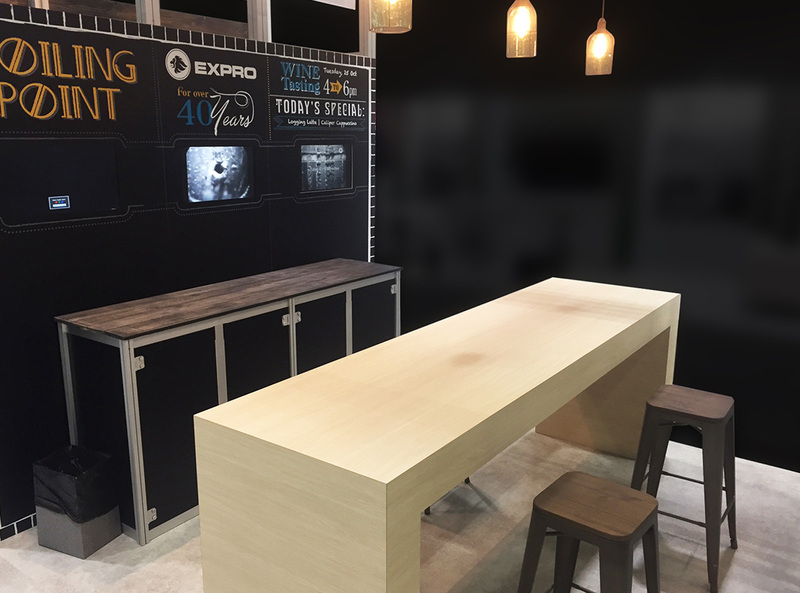 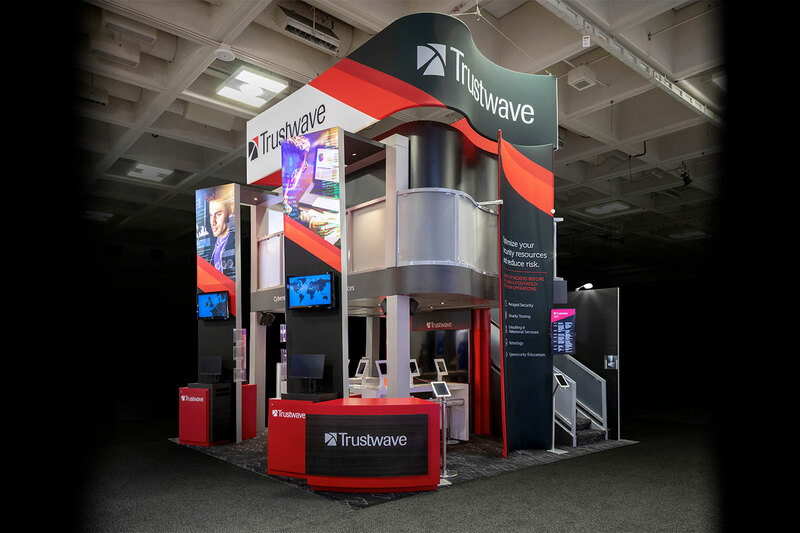 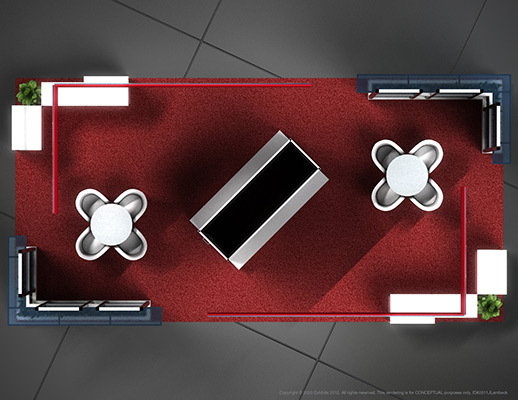 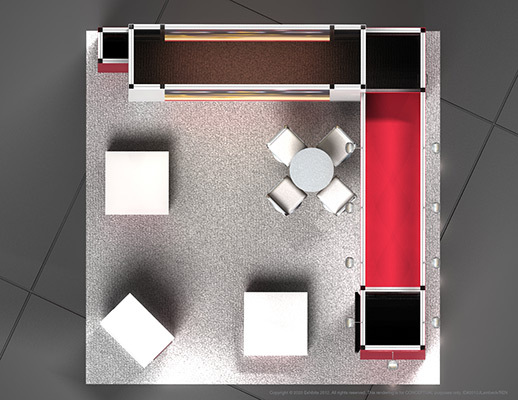 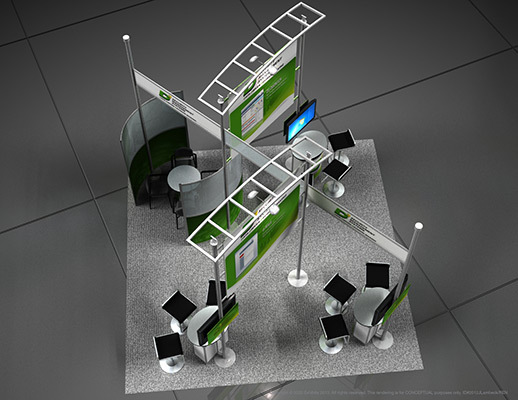 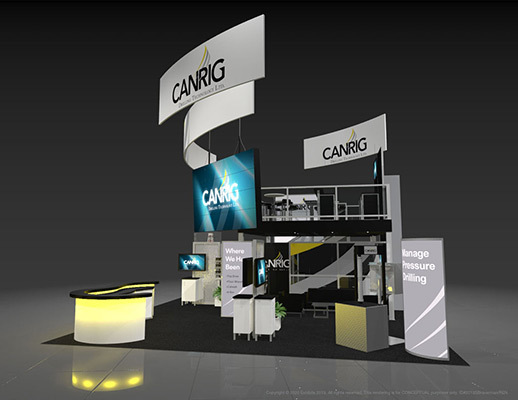 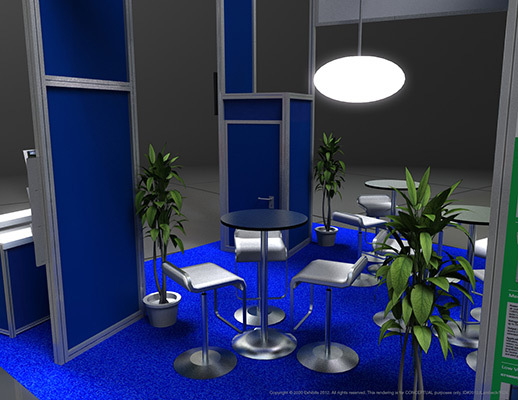 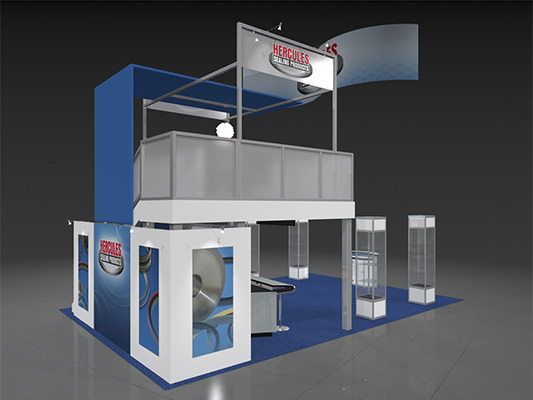 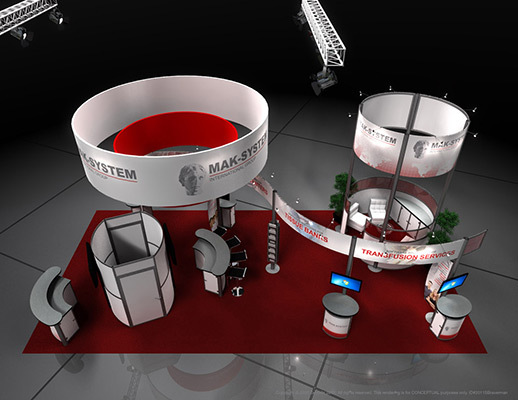 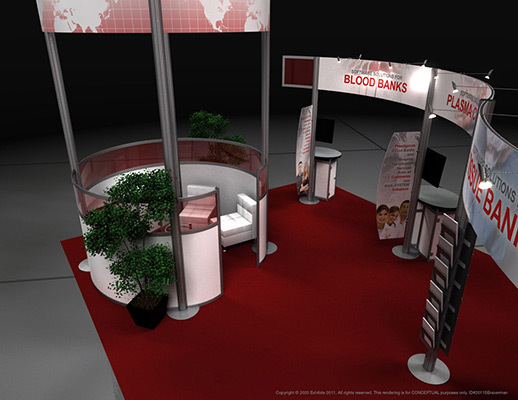 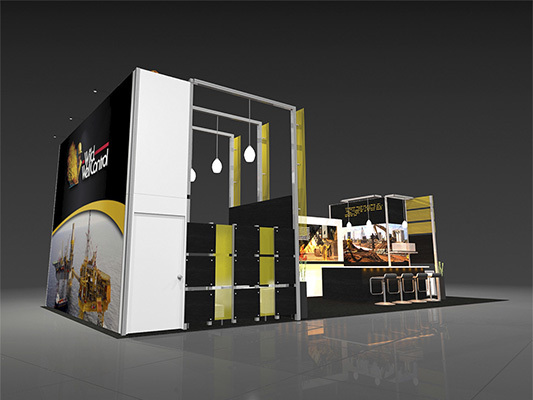 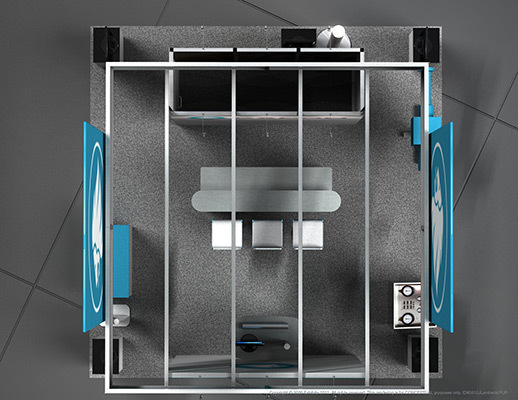 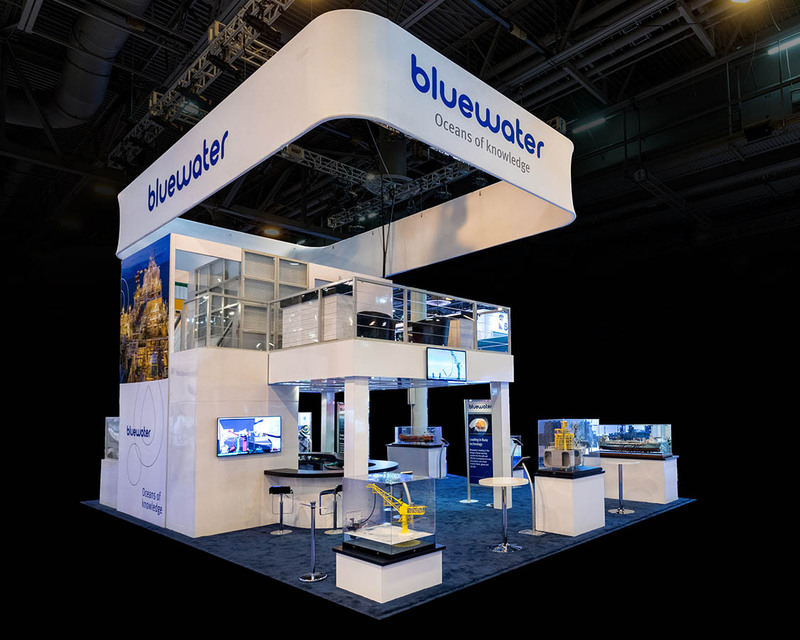 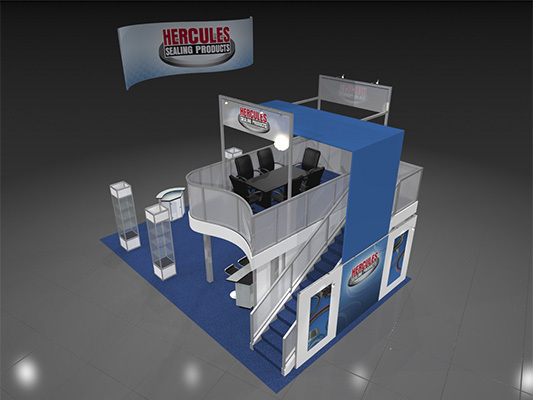 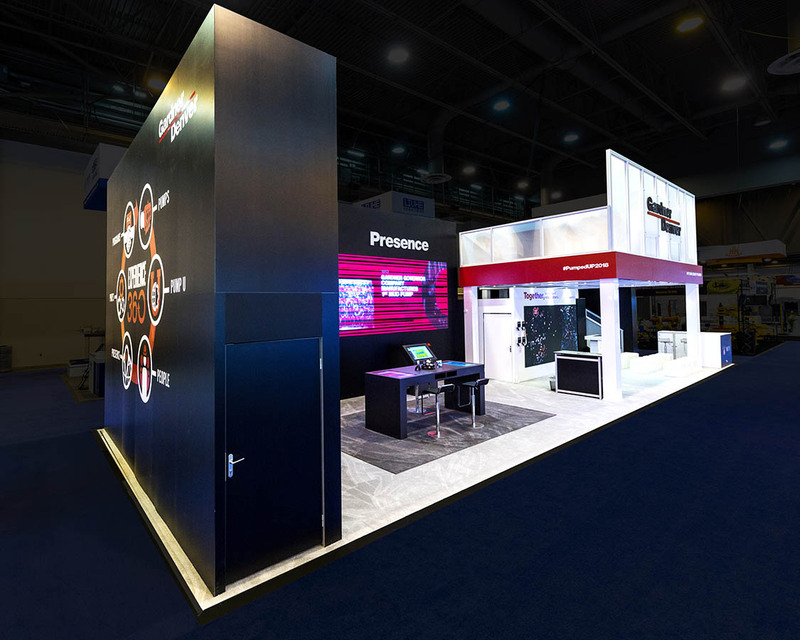 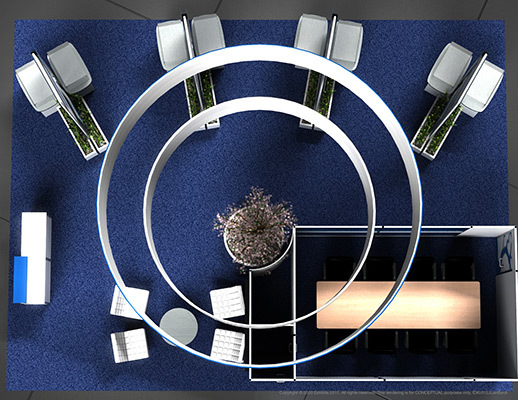 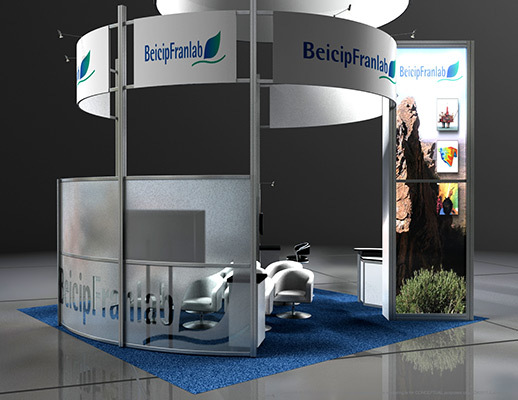 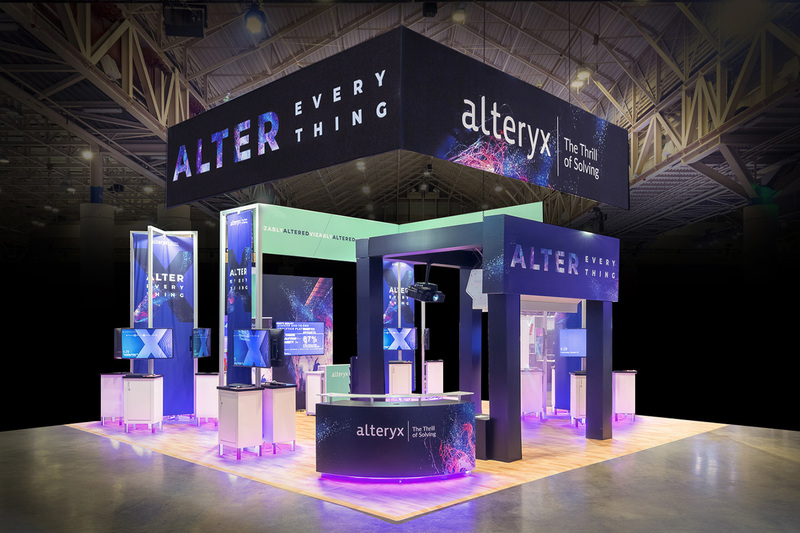 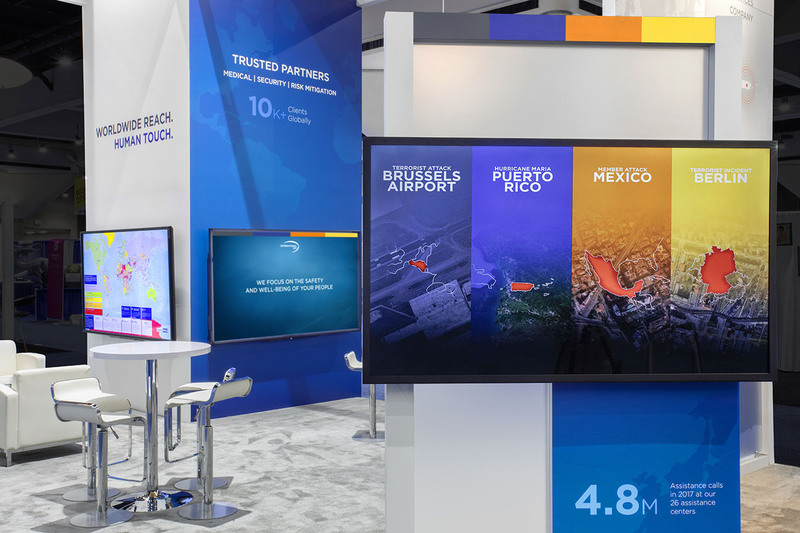 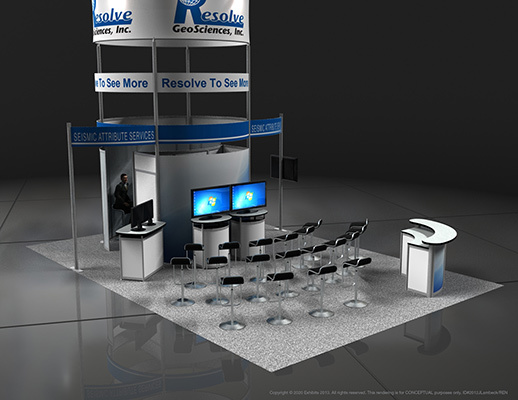 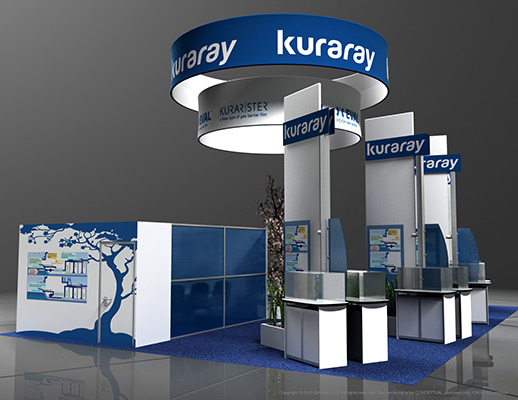 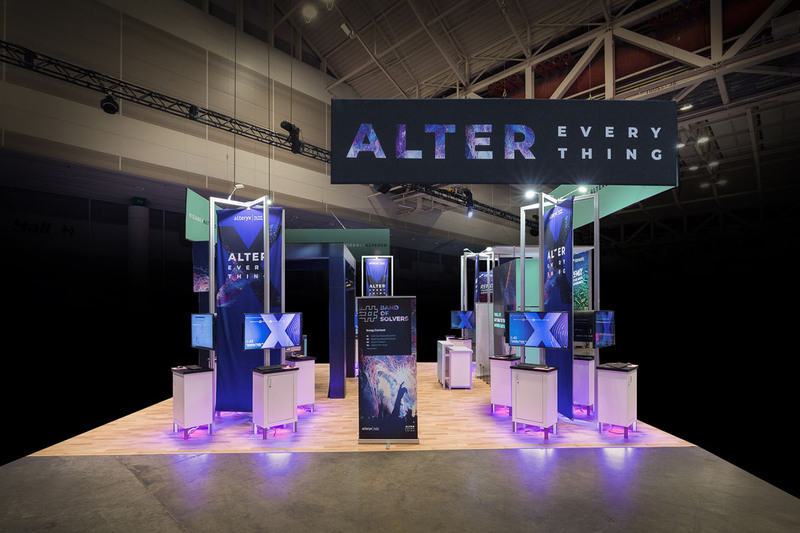 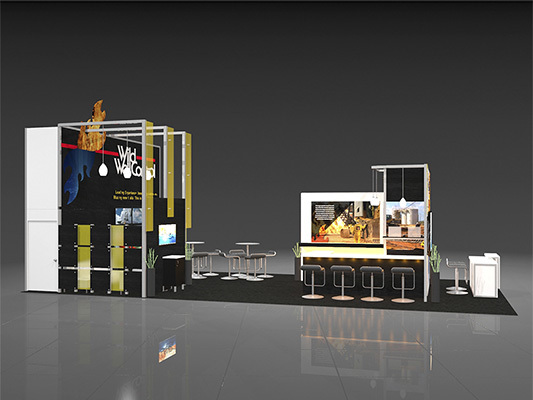 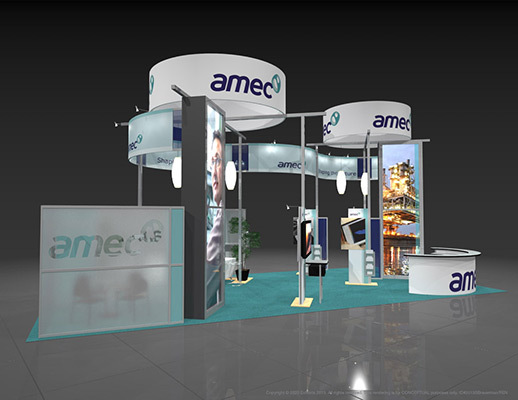 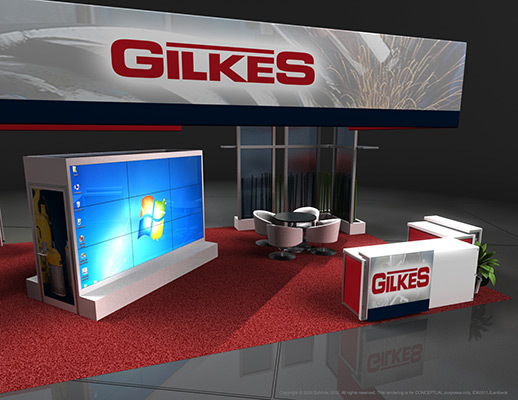 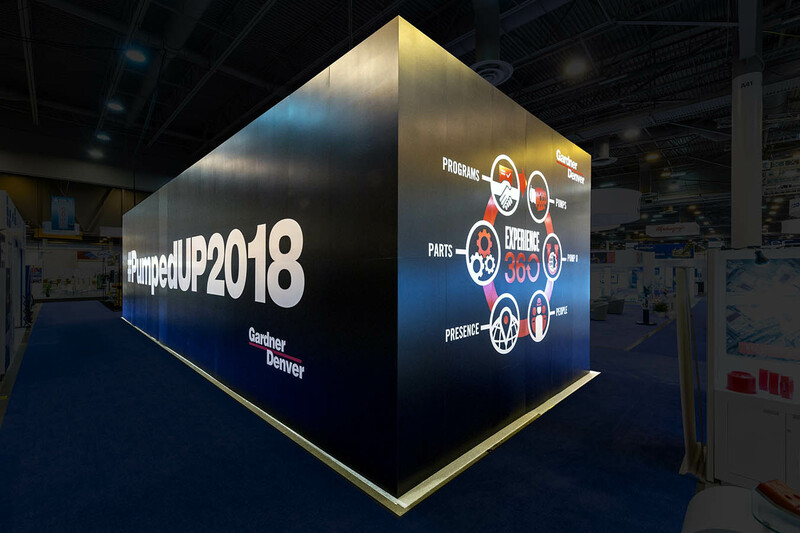 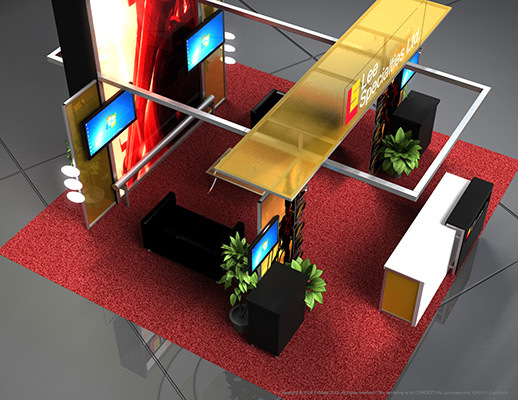 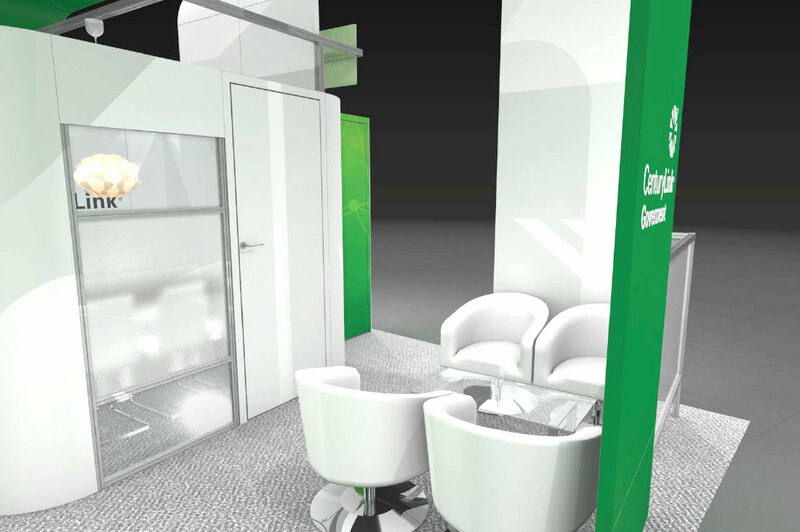 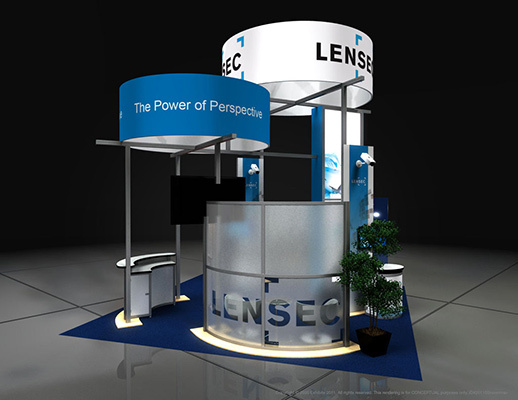 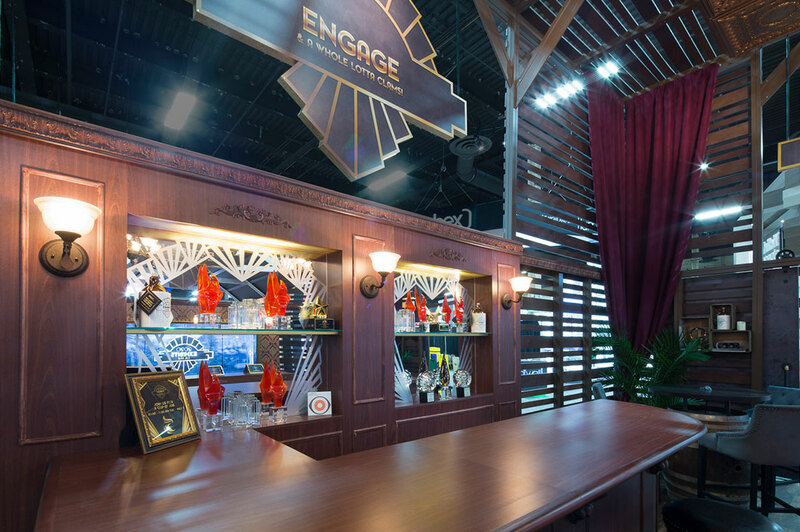 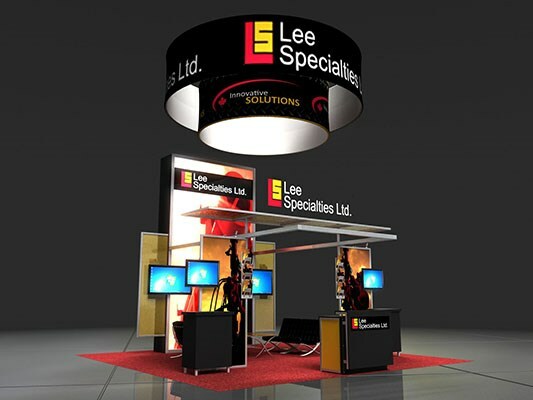 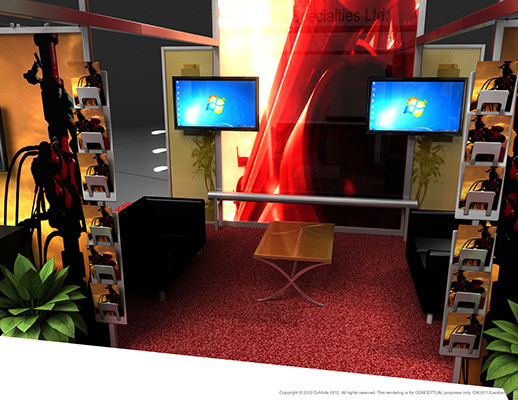 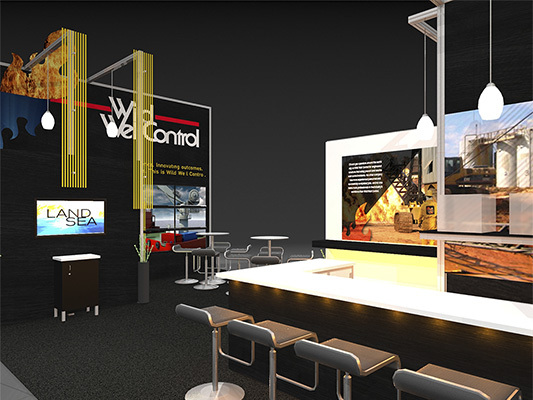 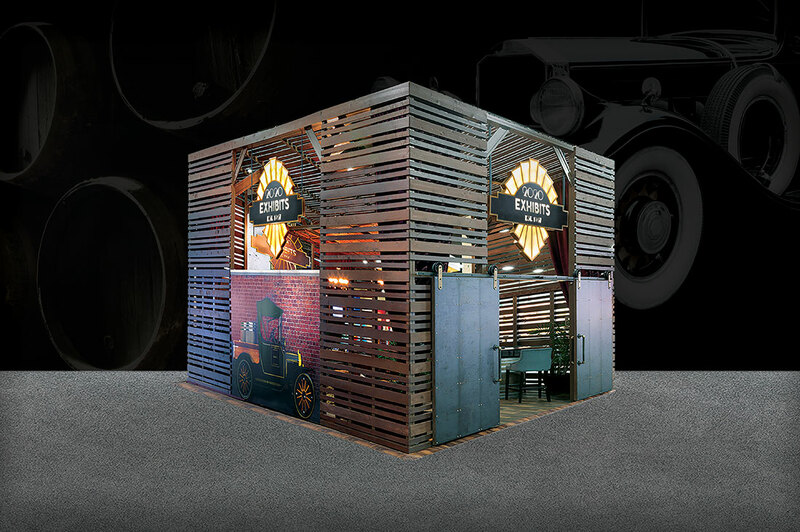 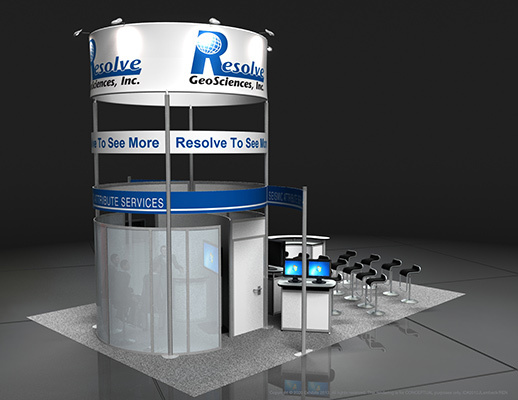 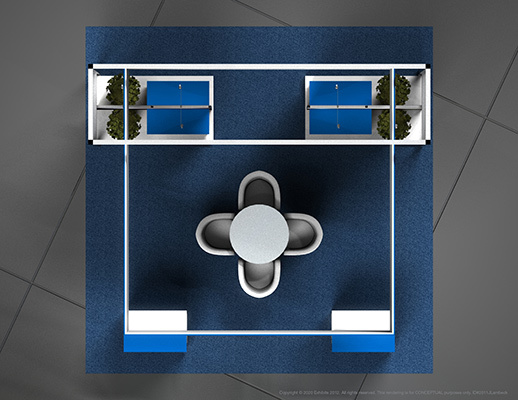 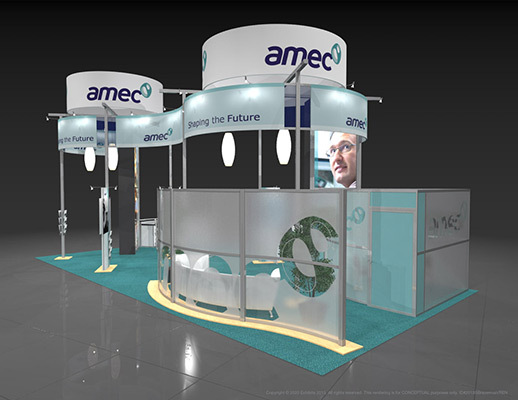 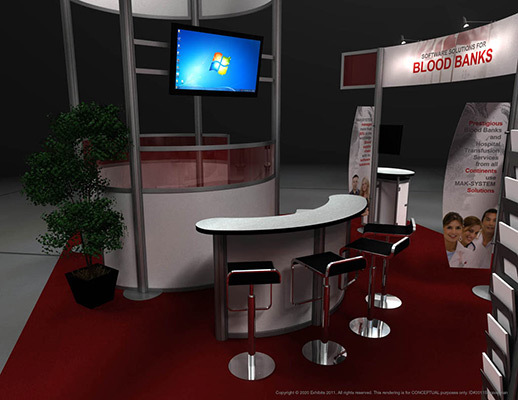 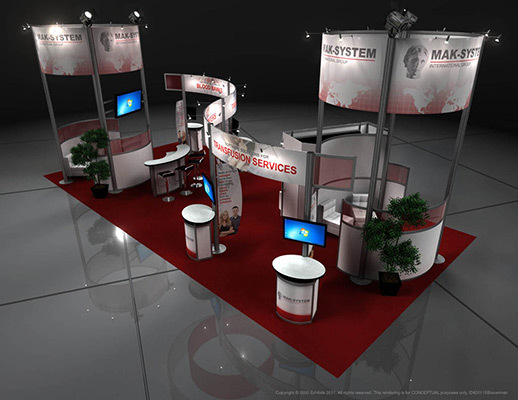 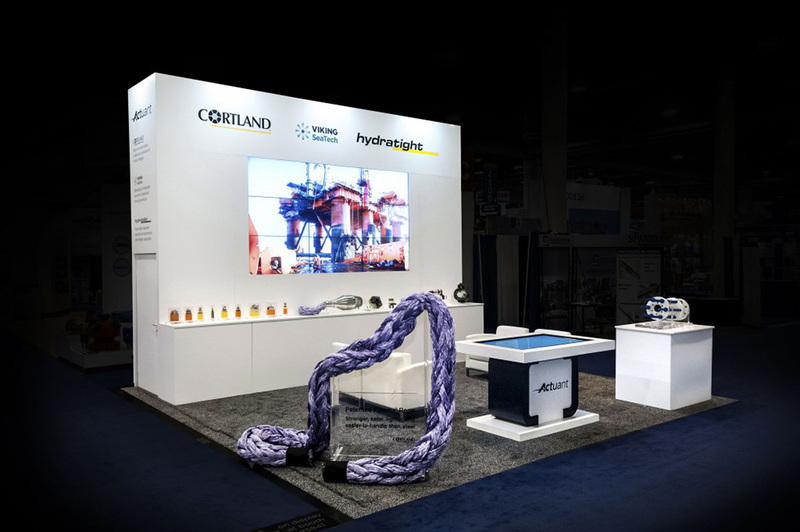 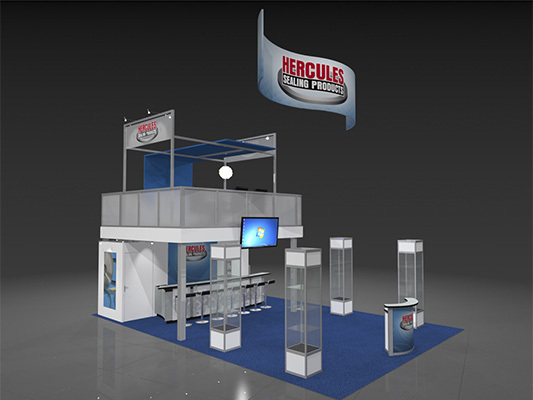 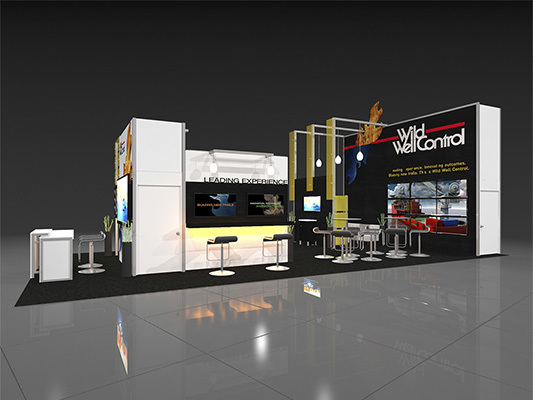 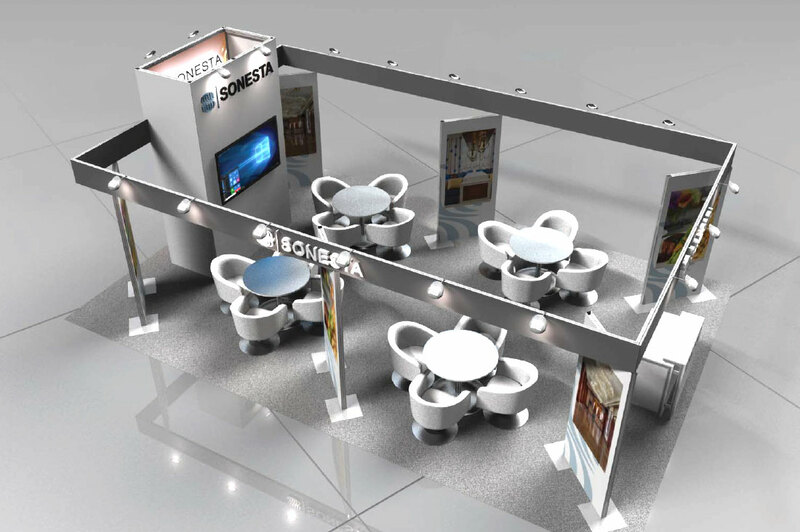 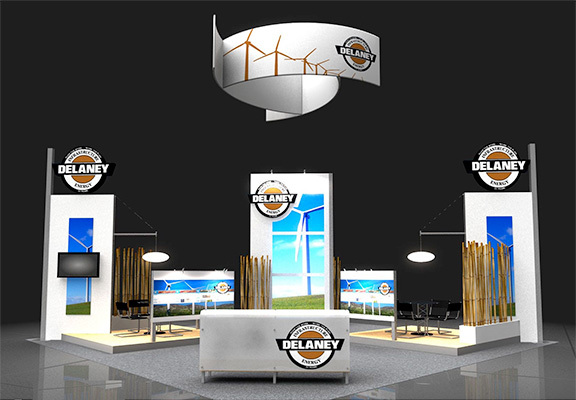 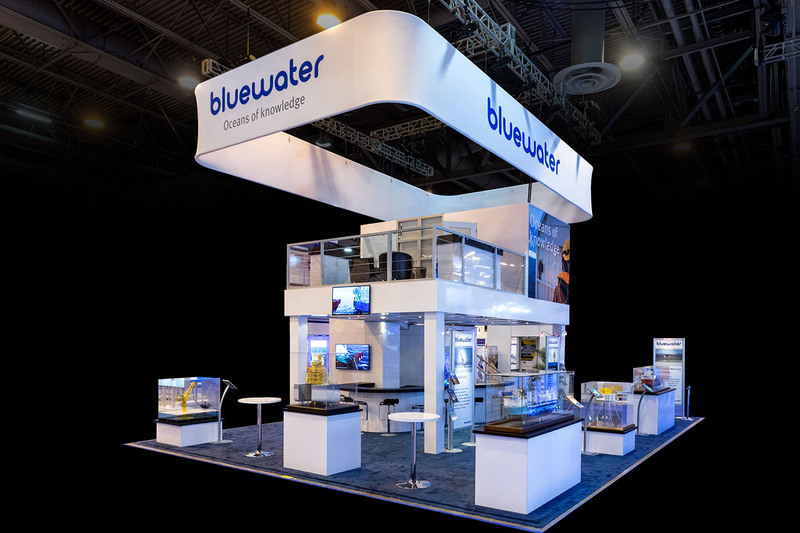 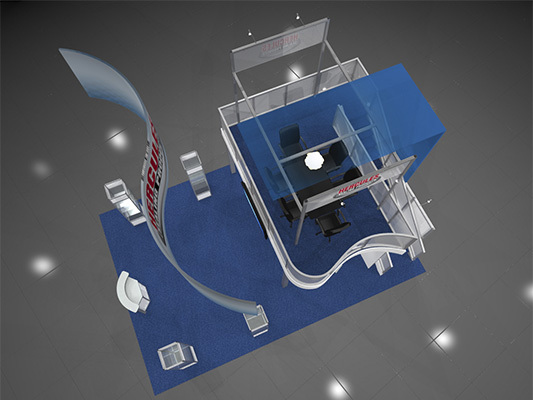 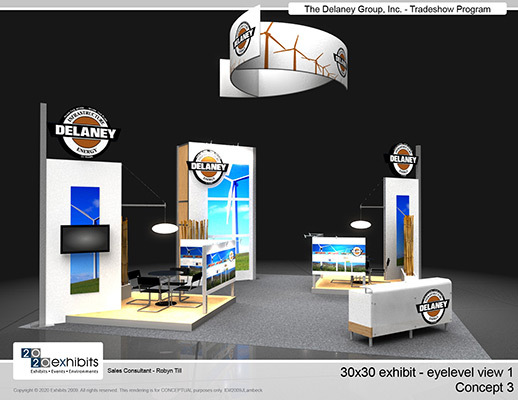 Features include: backlighting, product display, reception desk, pendant lighting, monitor, tower, backlit fabric graphics, re-configurable, open conference seating and literature display.